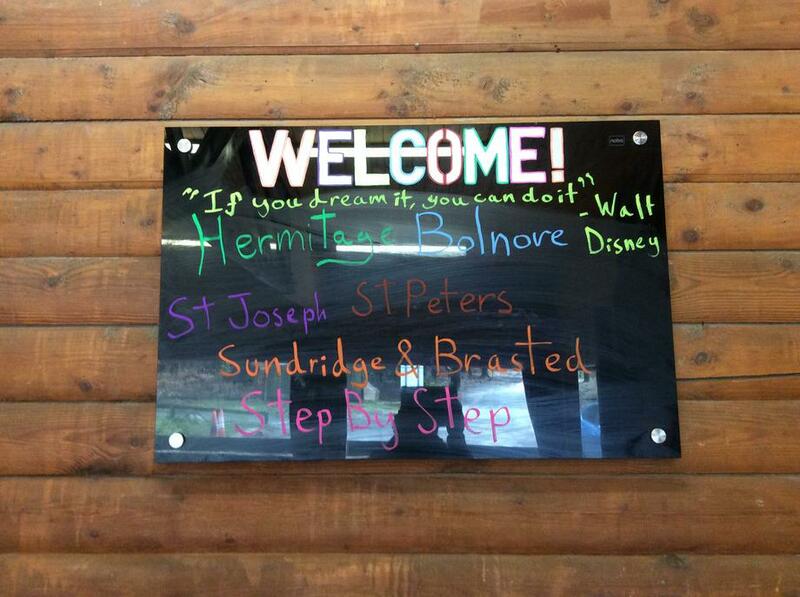 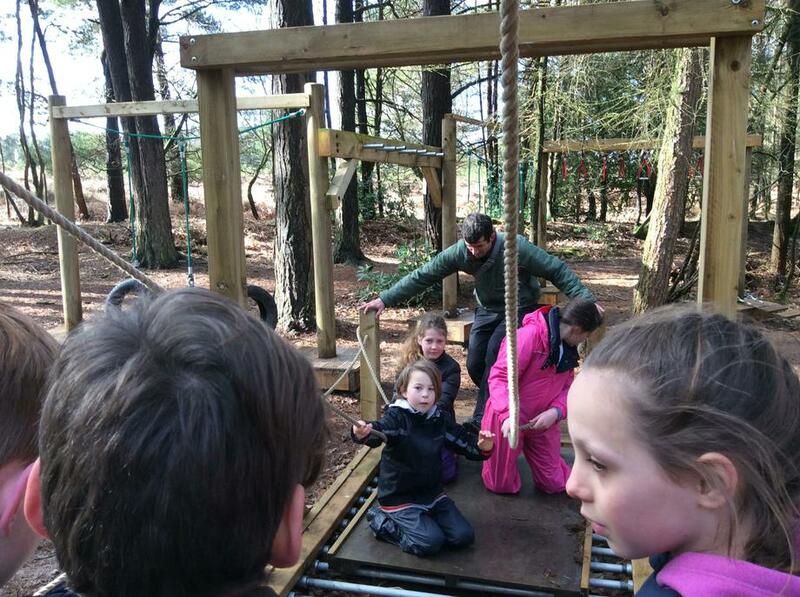 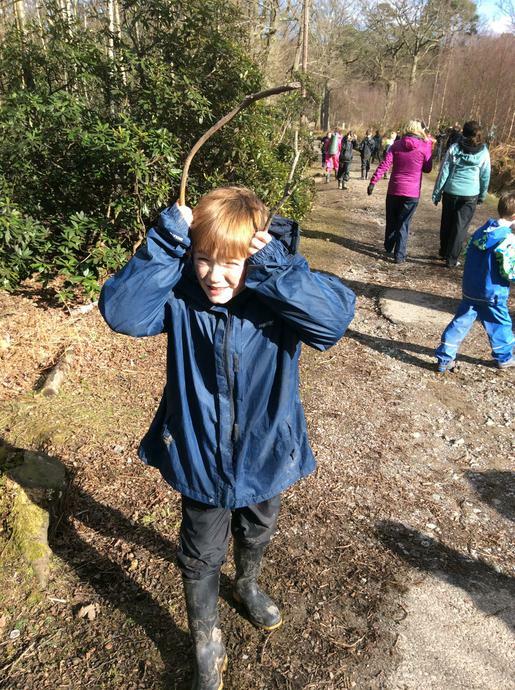 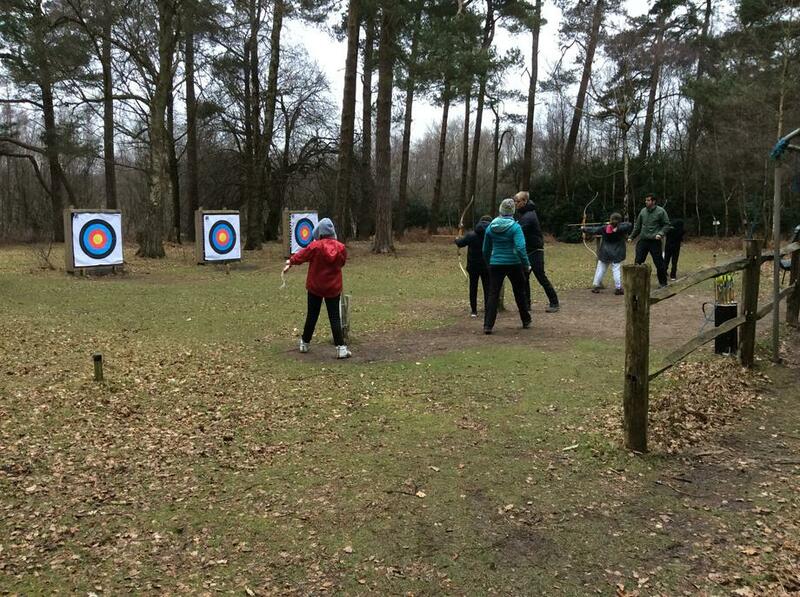 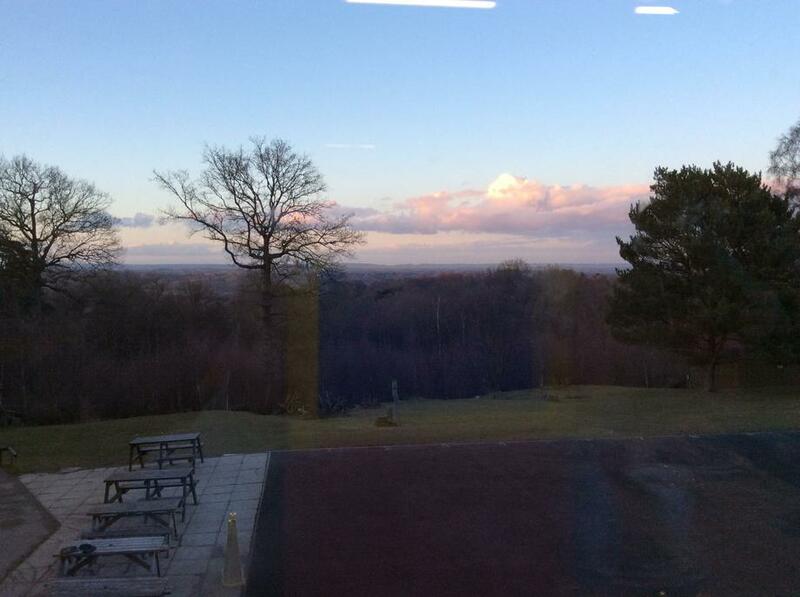 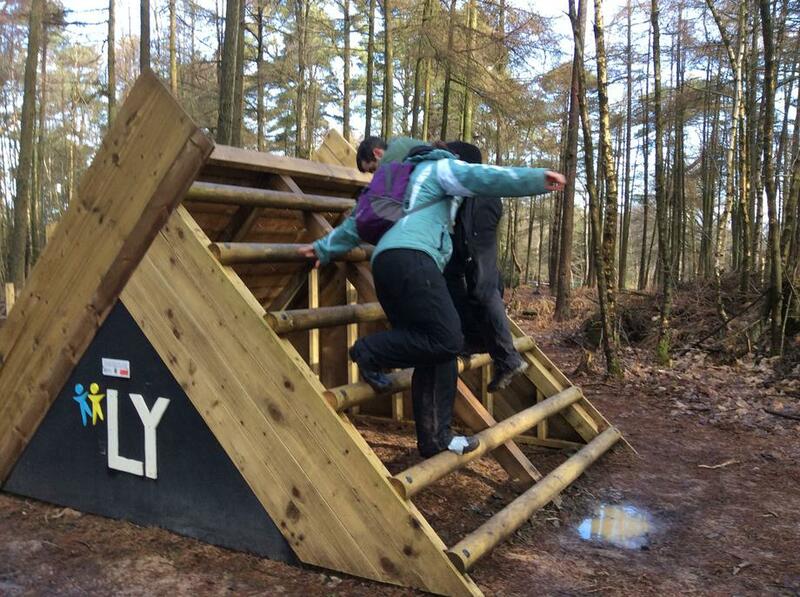 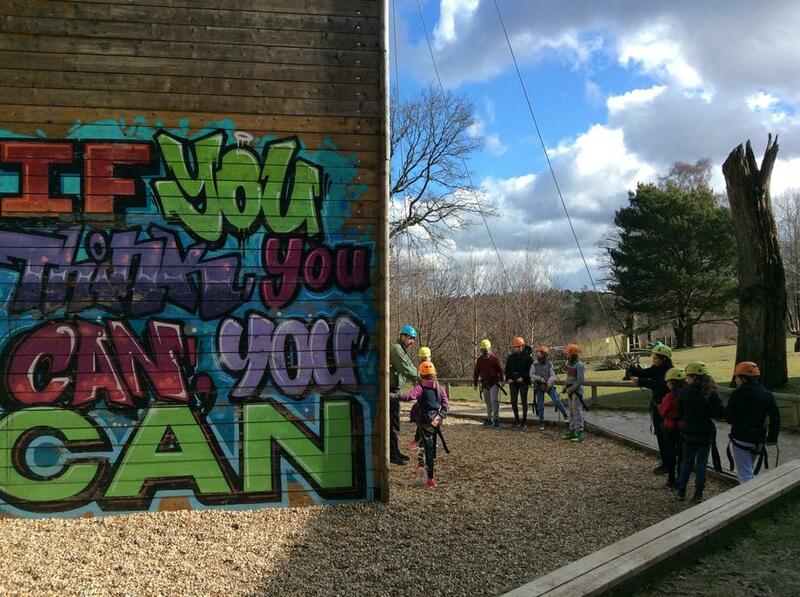 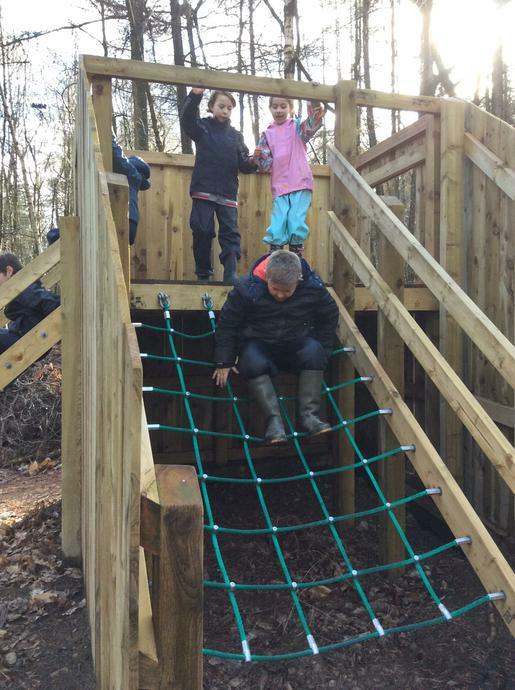 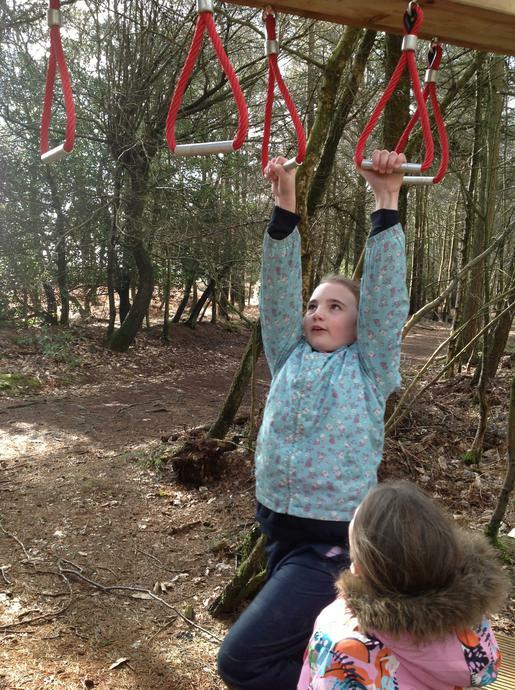 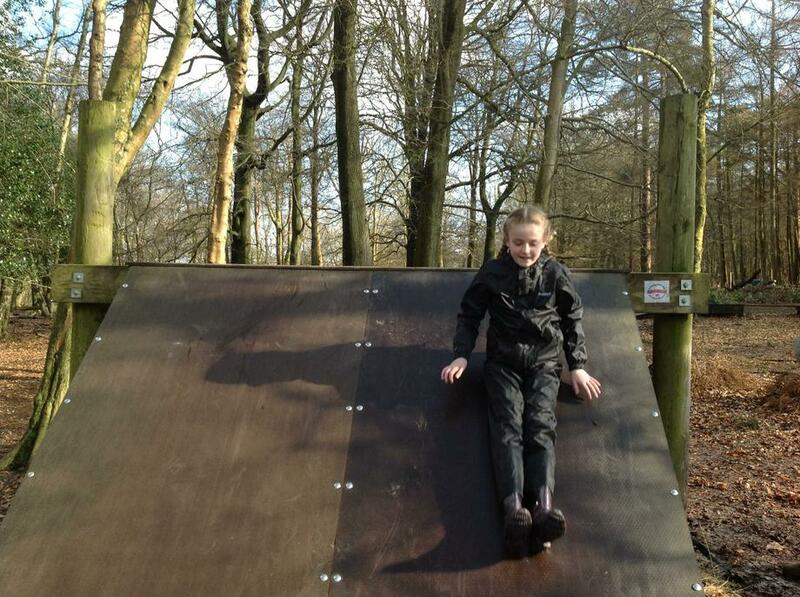 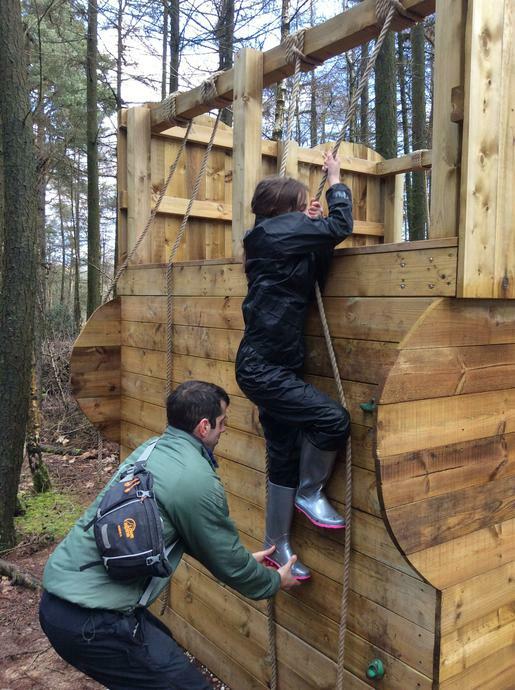 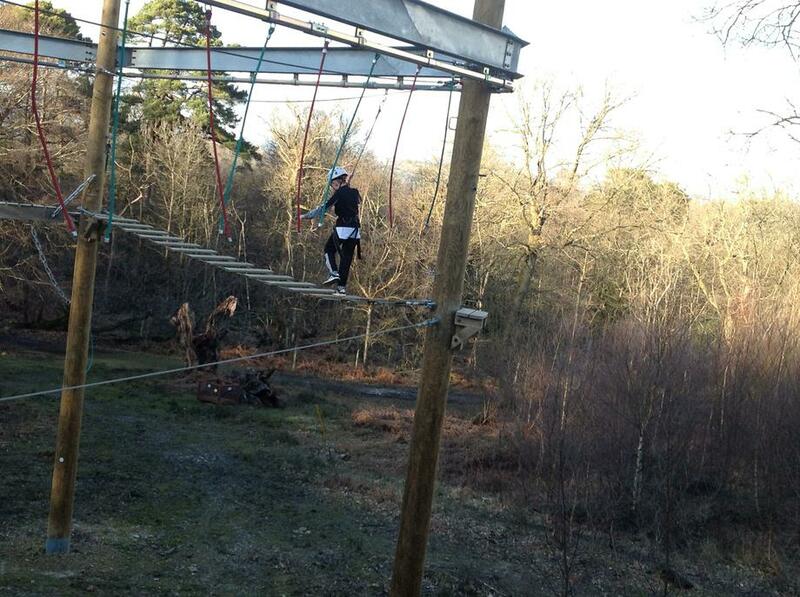 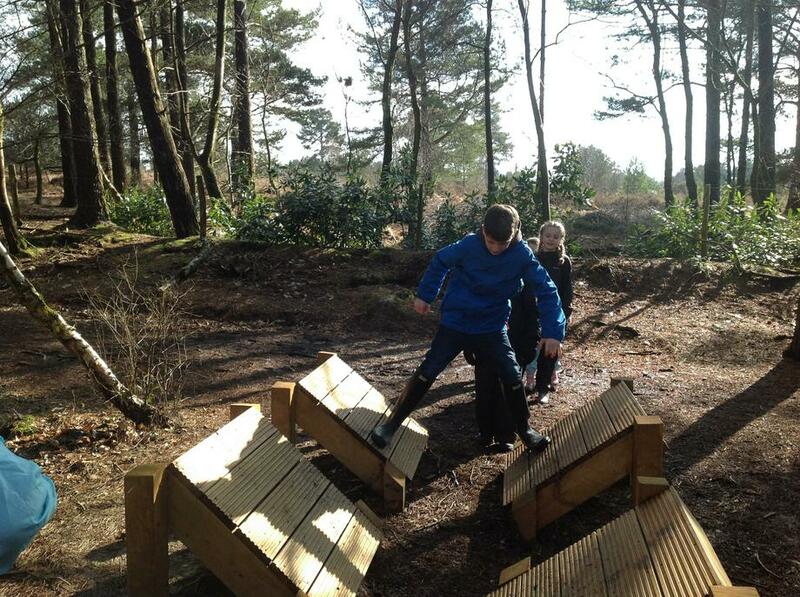 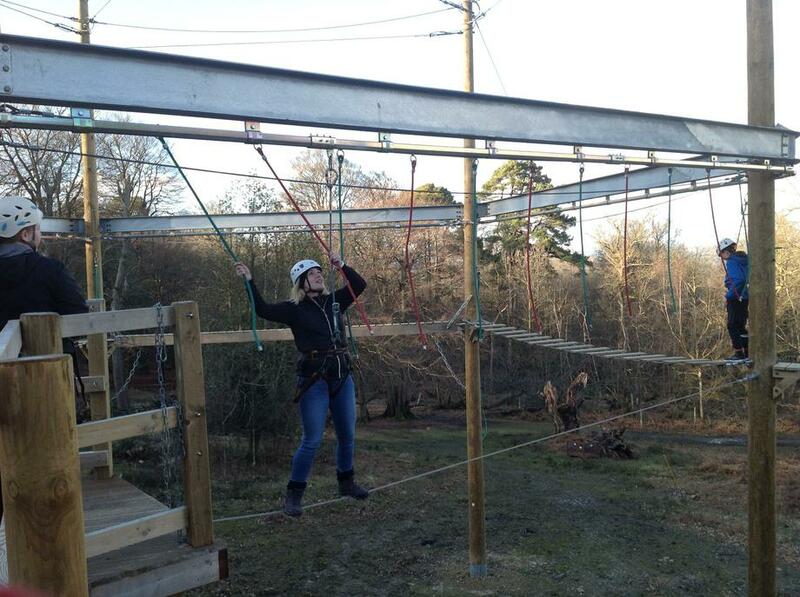 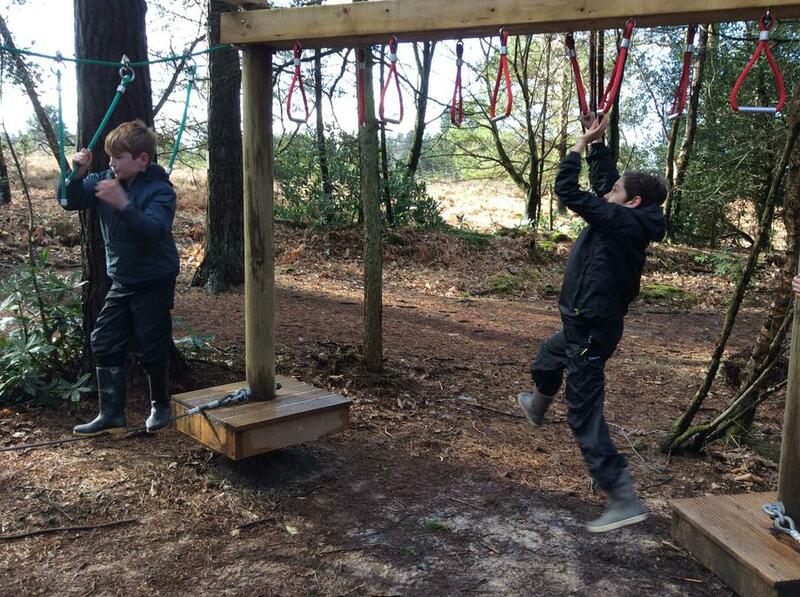 This year we travel to Hindleap Warren - a local outdoor activity centre. 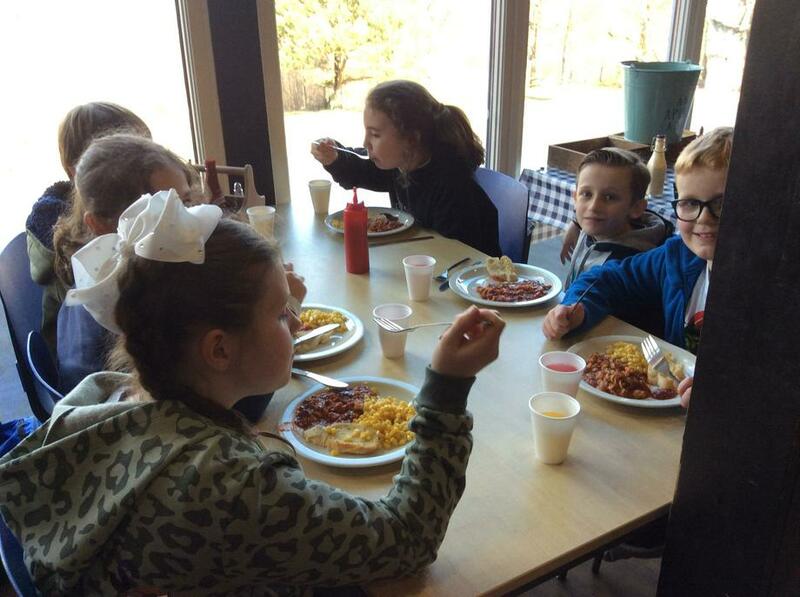 This morning we were treated to an American style breakfast - pancakes, bacon and maple syrup! 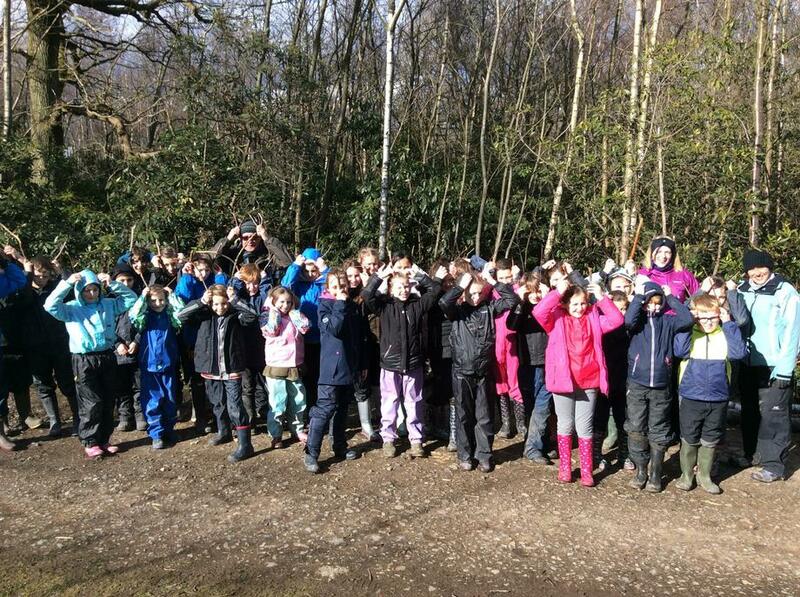 After this we all headed to the woods for a bush craft session. 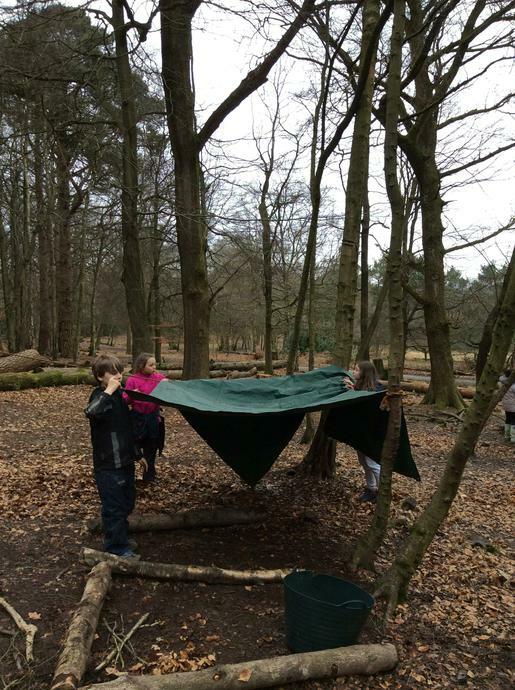 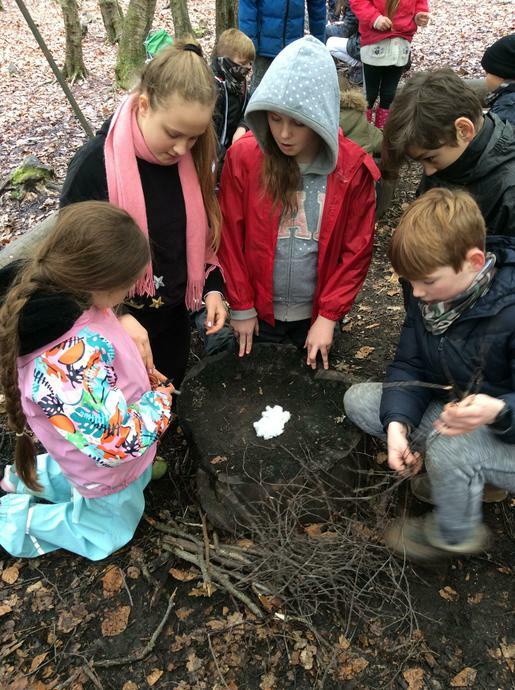 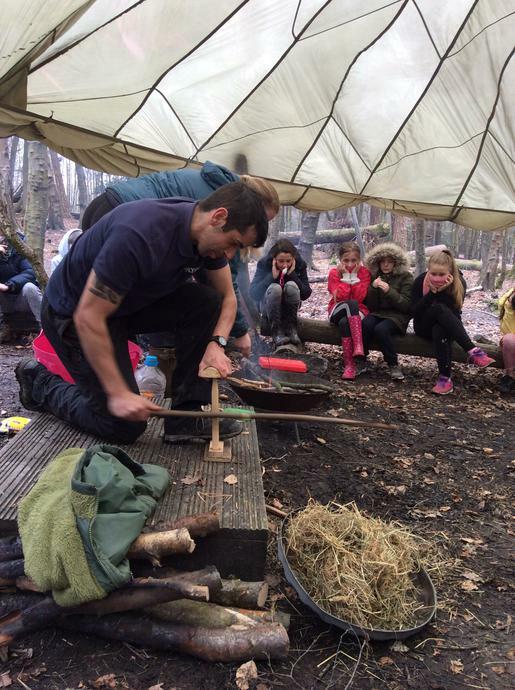 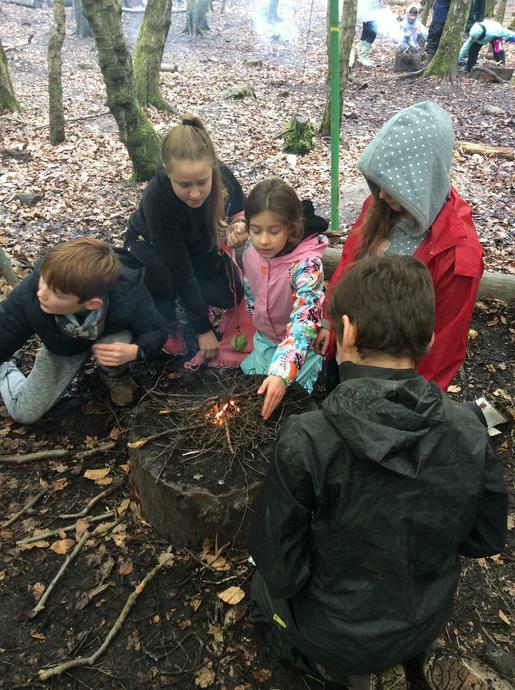 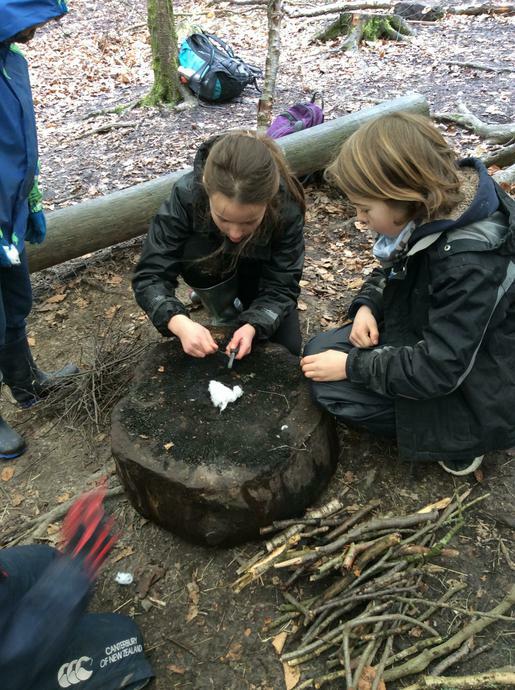 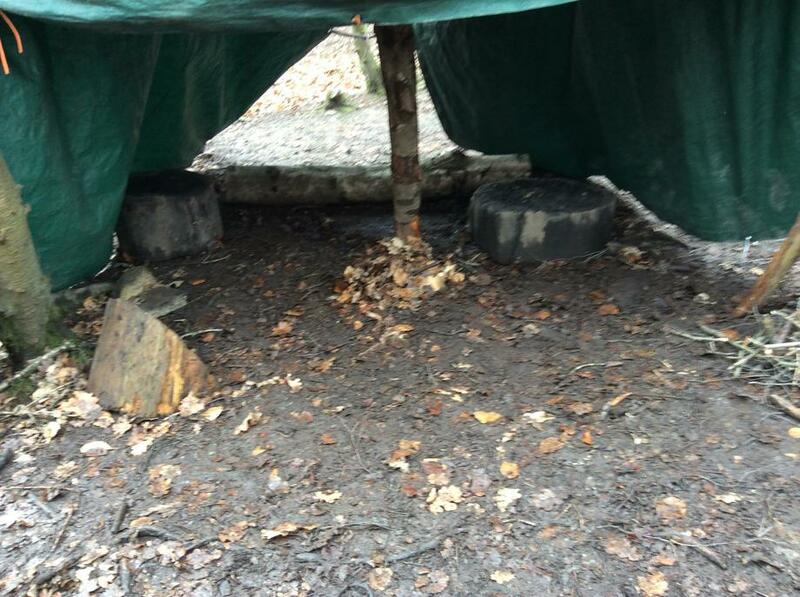 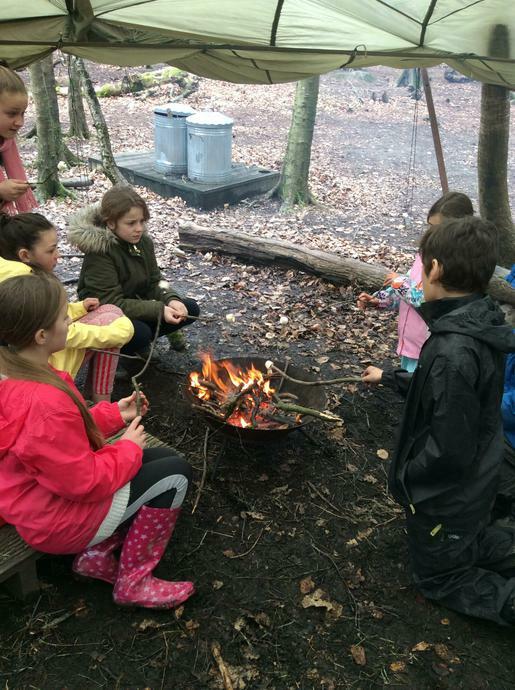 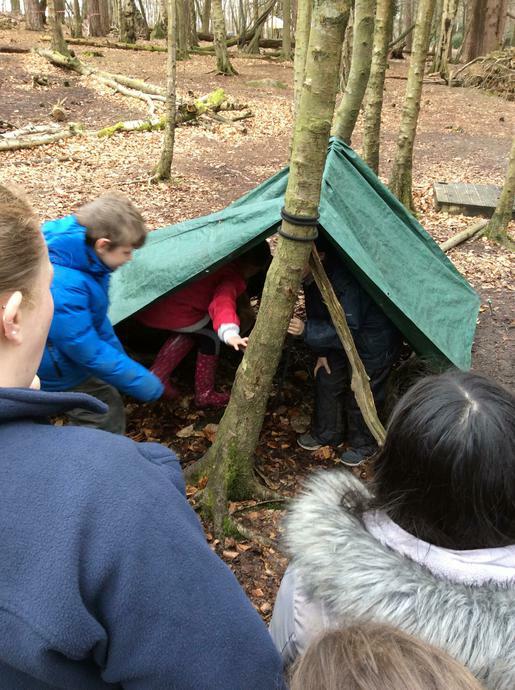 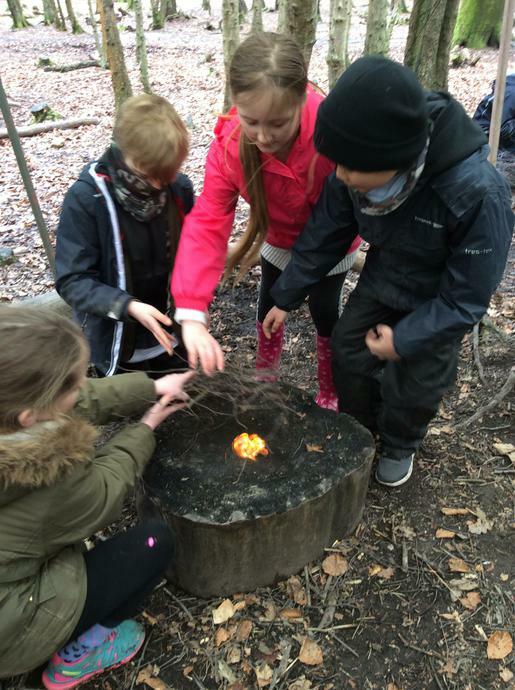 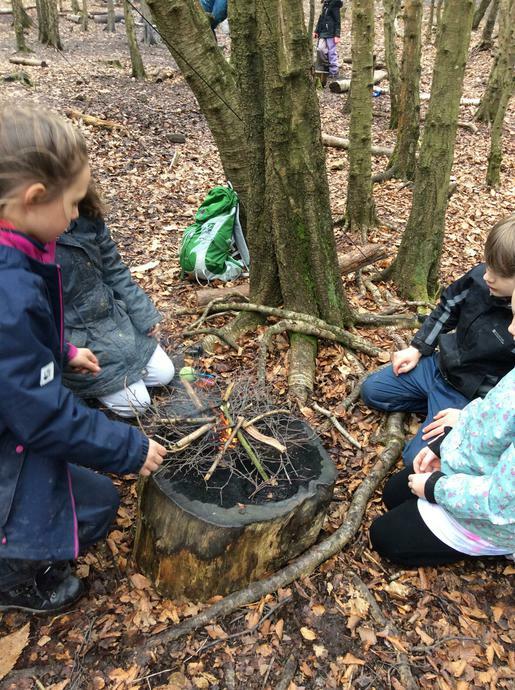 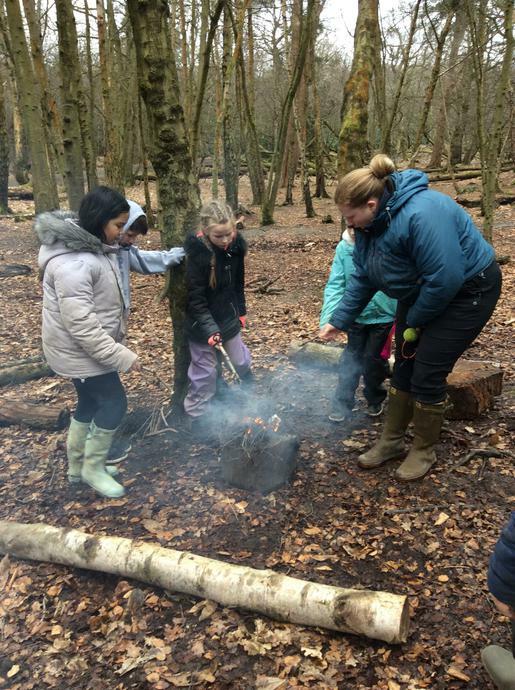 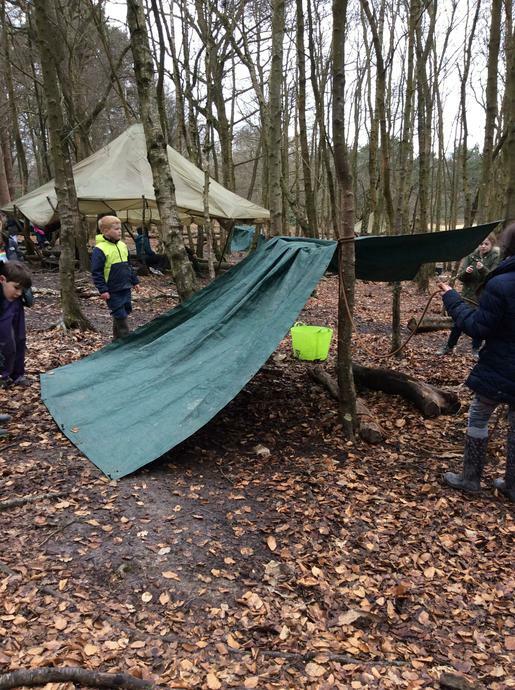 This included shelter building, building fires, eating marshmallows and playing games. 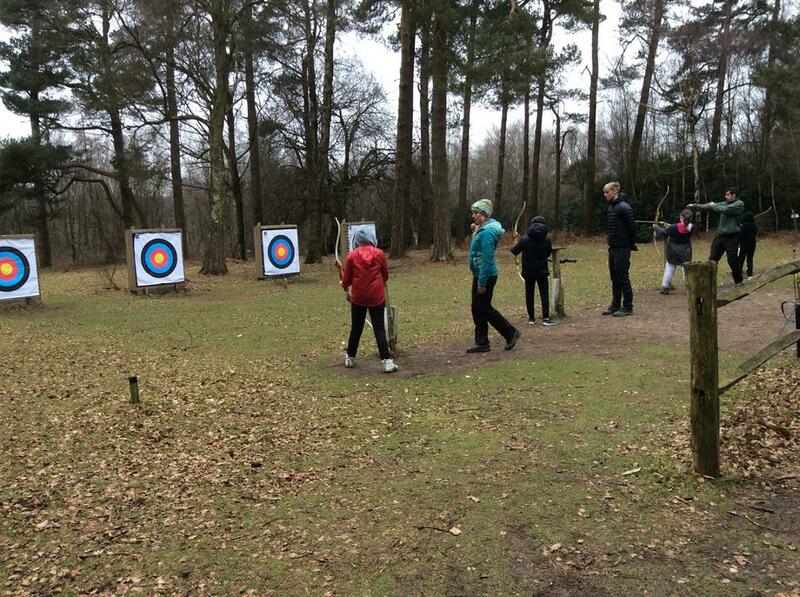 For lunch it was fish and chips, and this afternoon we are off to complete some archery. 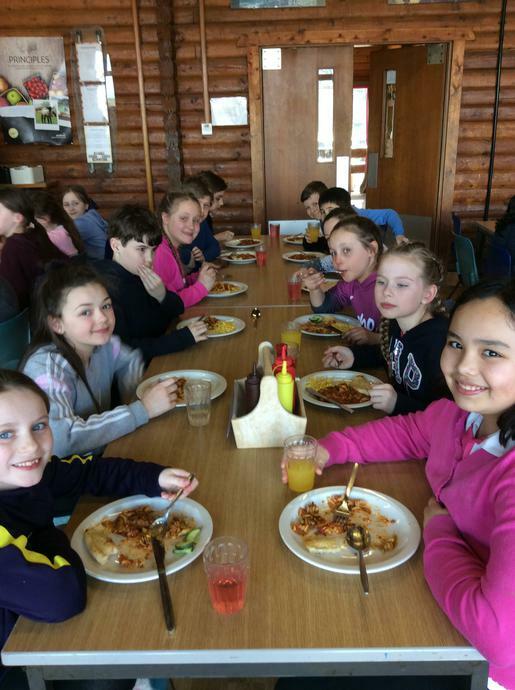 We started our second day with another very tasty meal - a continental breakfast! 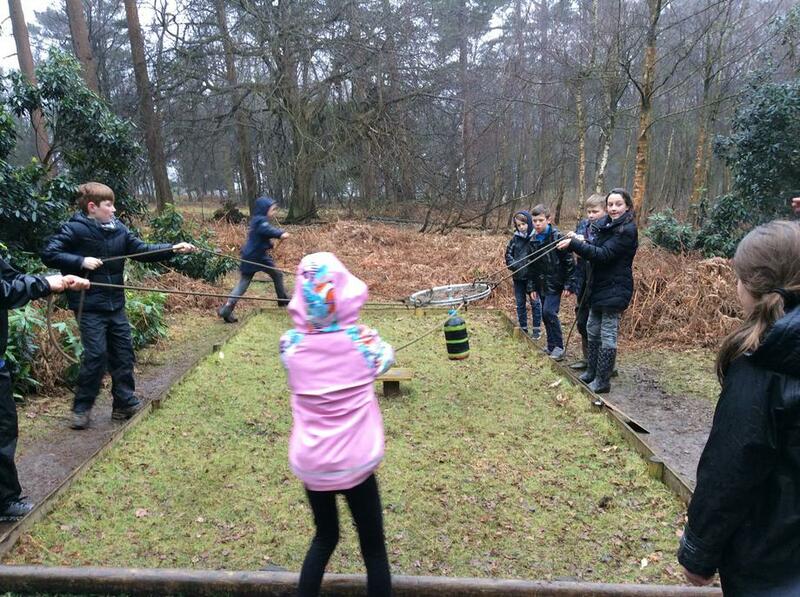 This was also the first time one of our groups was on duty, and they did an excellent job tidying up. 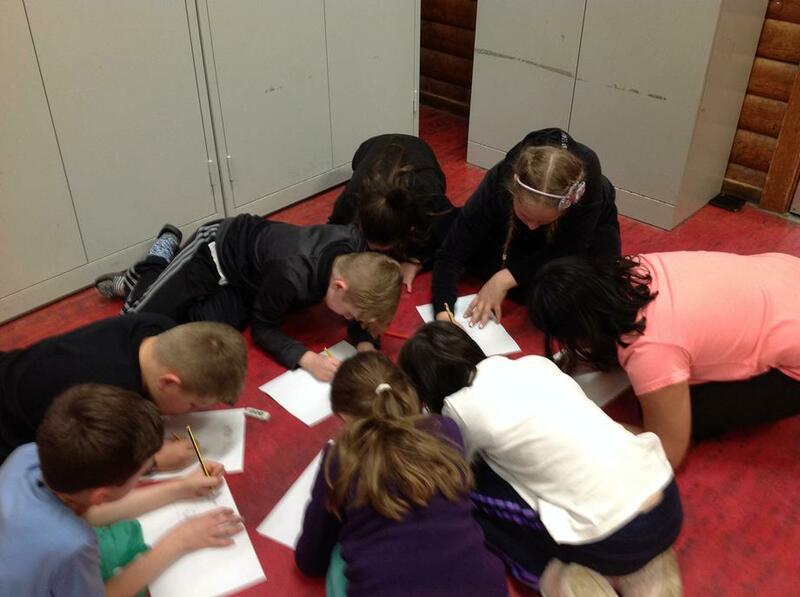 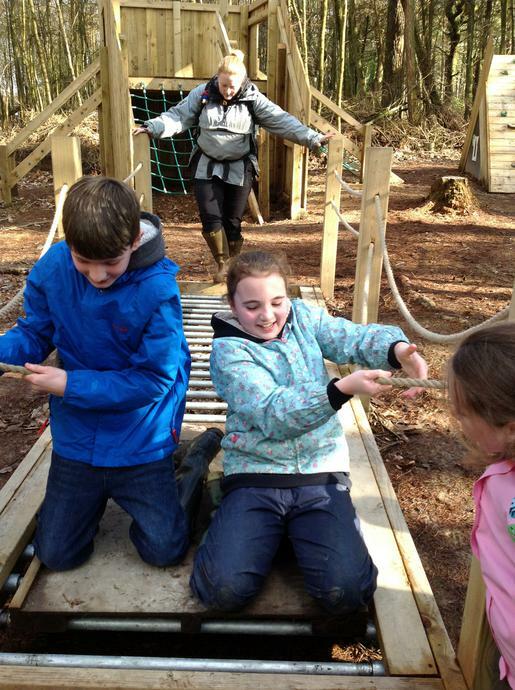 After this, we split into our groups to complete the activities we didn’t get a chance to do yesterday. 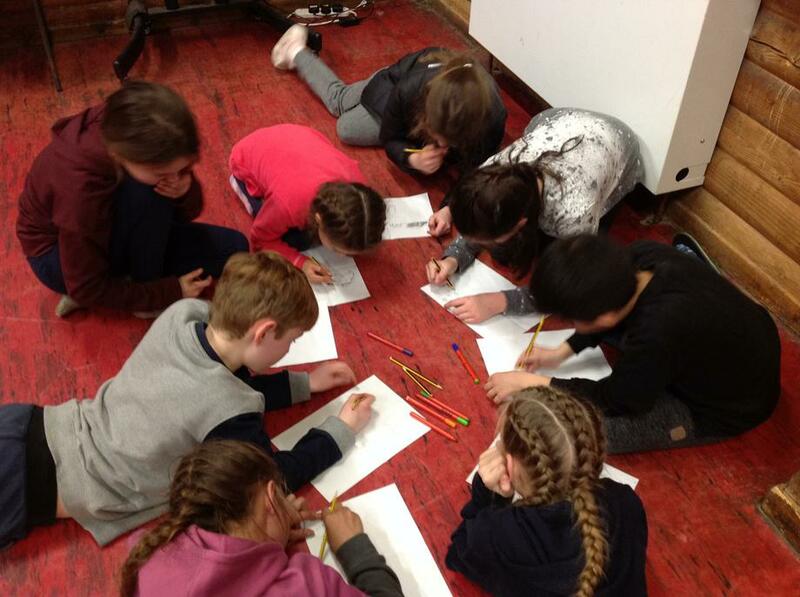 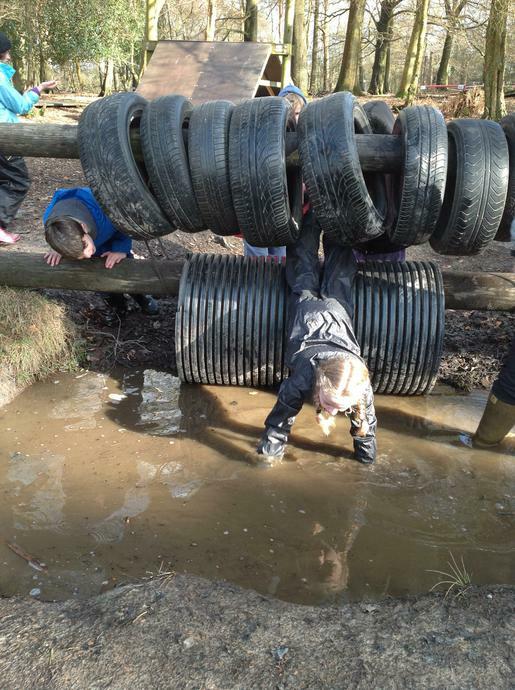 It was amazing to see the determination of the children and how they all challenged themselves, achieving things they didn’t think they did originally could. 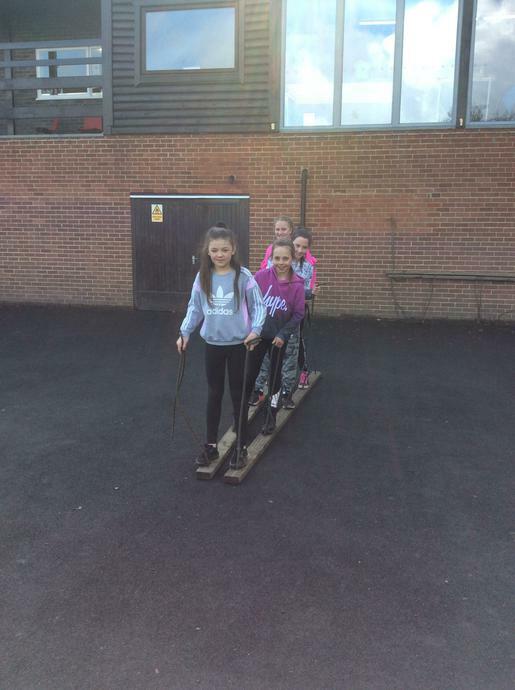 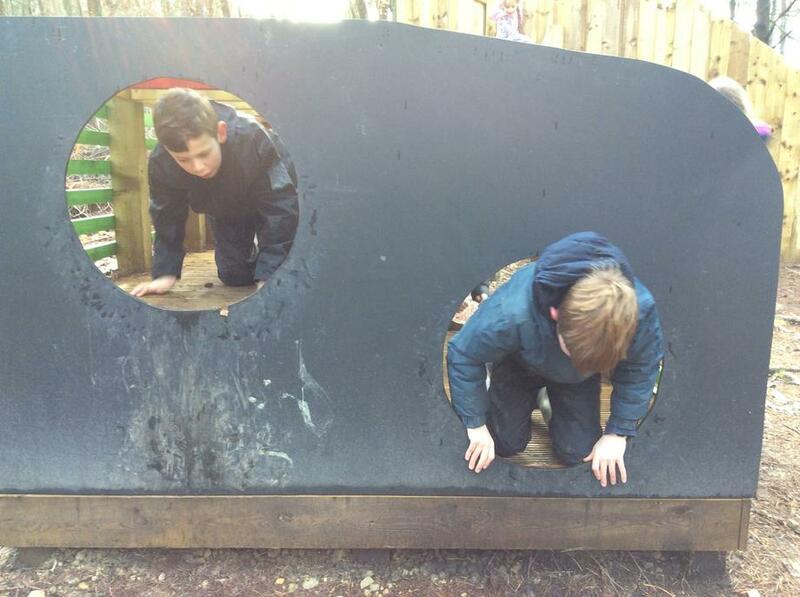 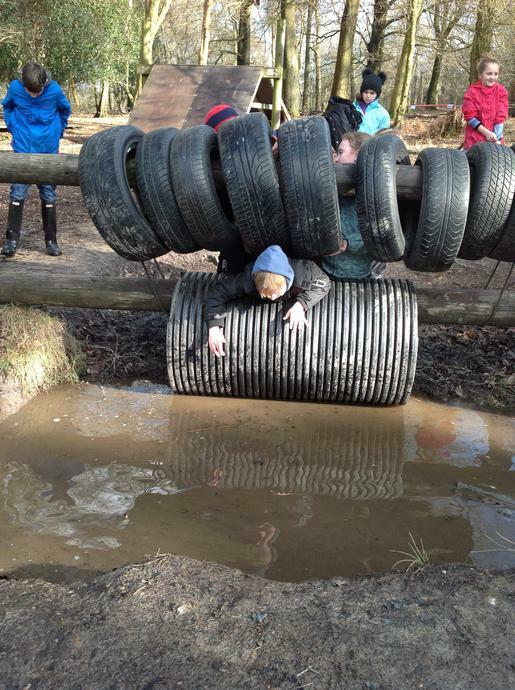 As well as this, everybody demonstrated brilliant teamwork, and were so encouraging of their peers - fantastic! 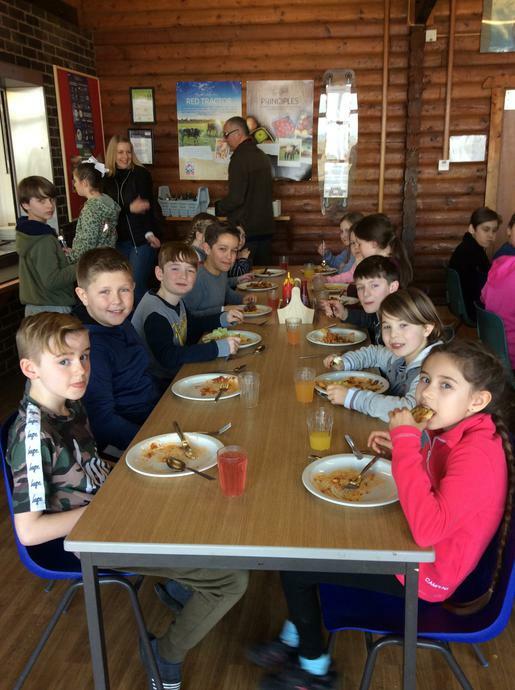 Lunch time was another duty slot for us, and once again the children did a superb job, as they were really helpful and efficient. 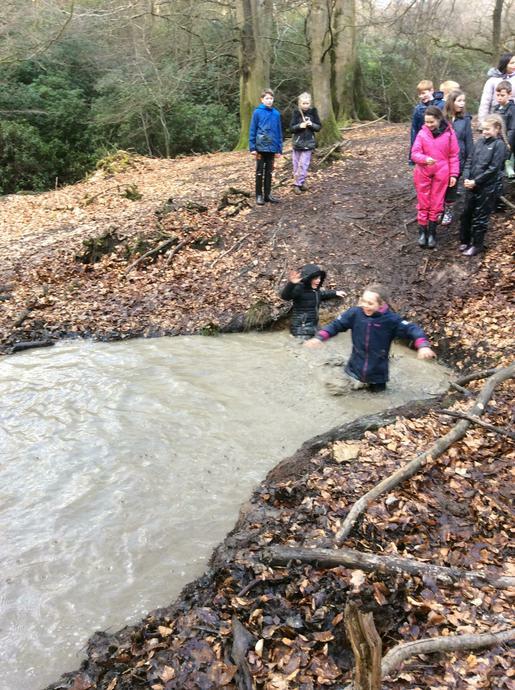 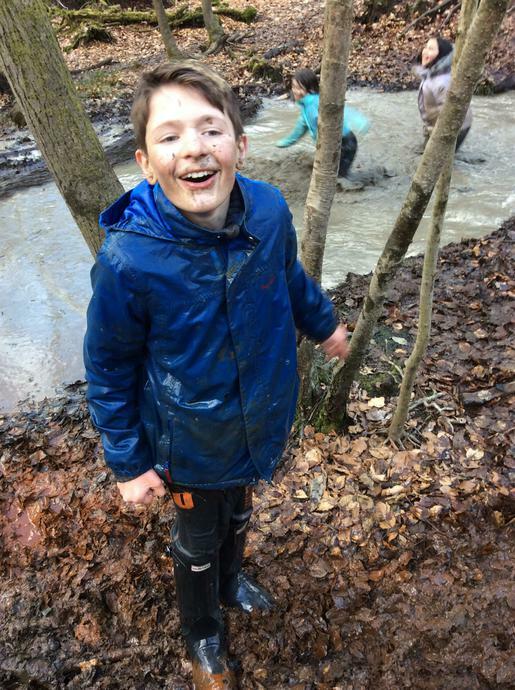 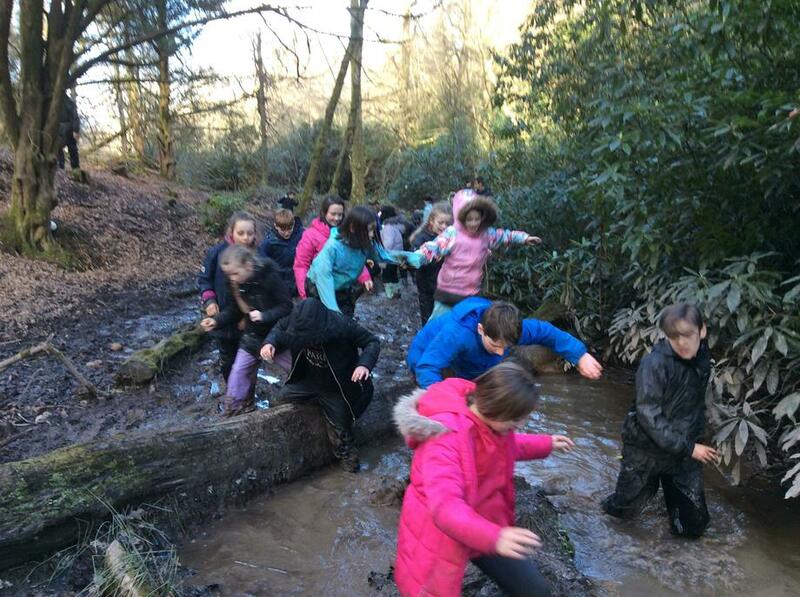 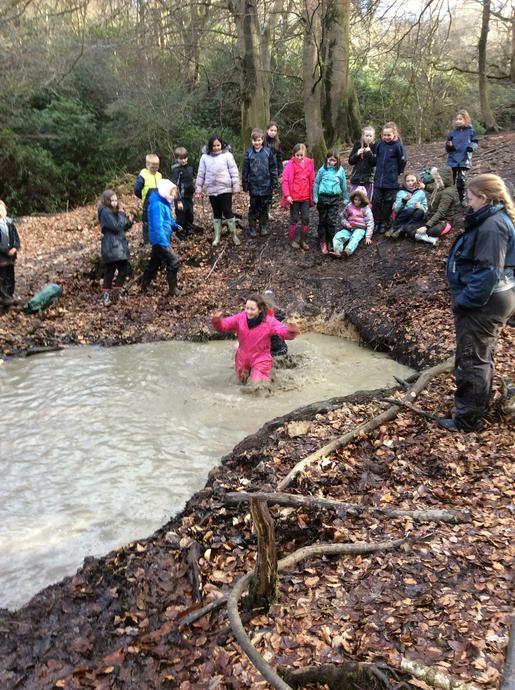 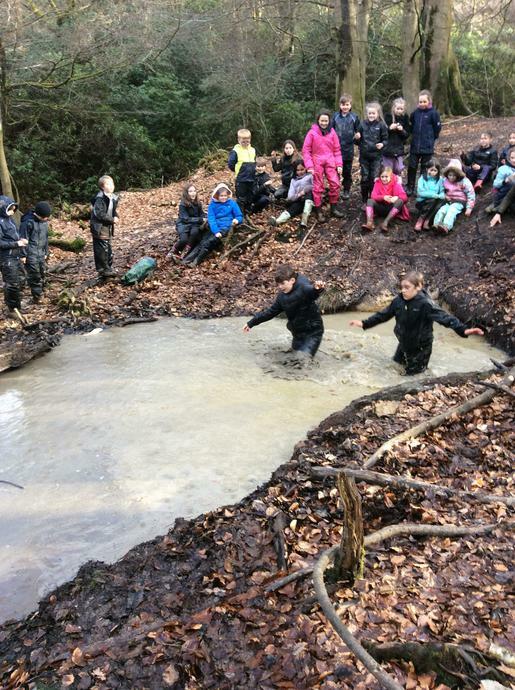 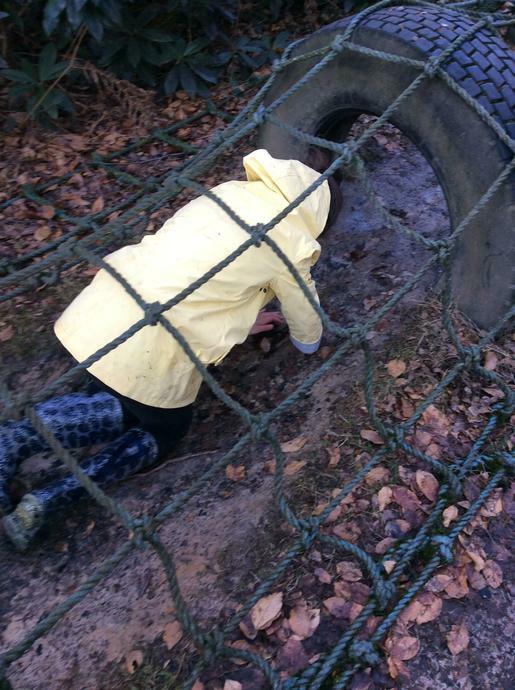 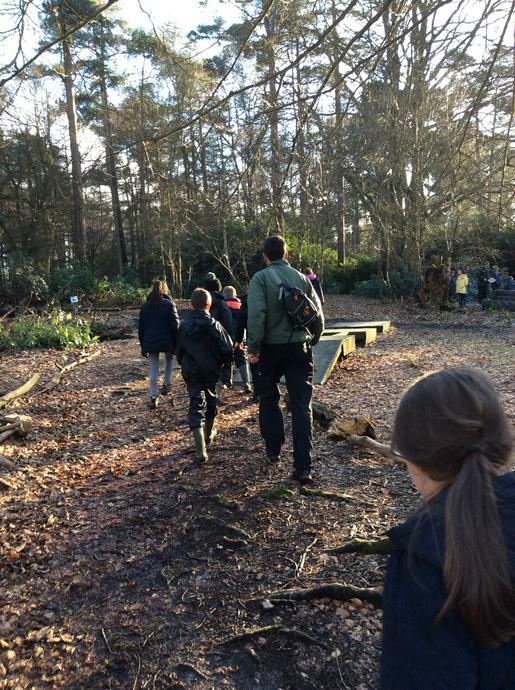 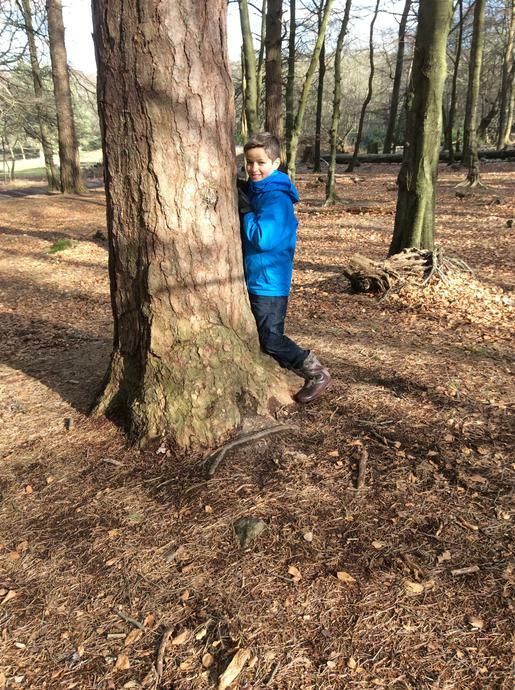 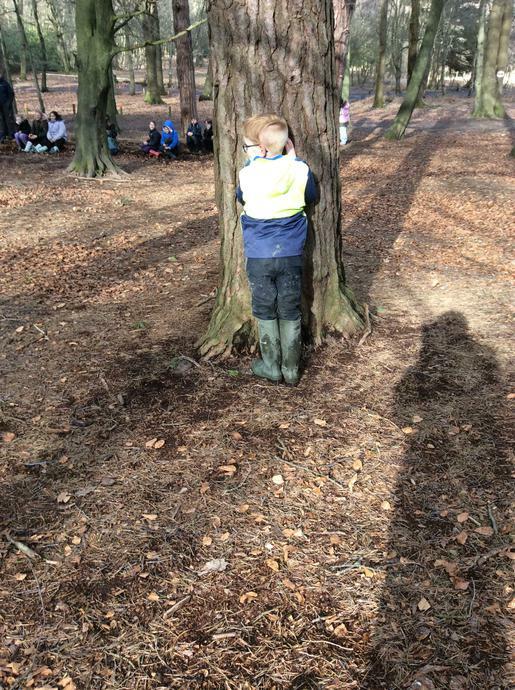 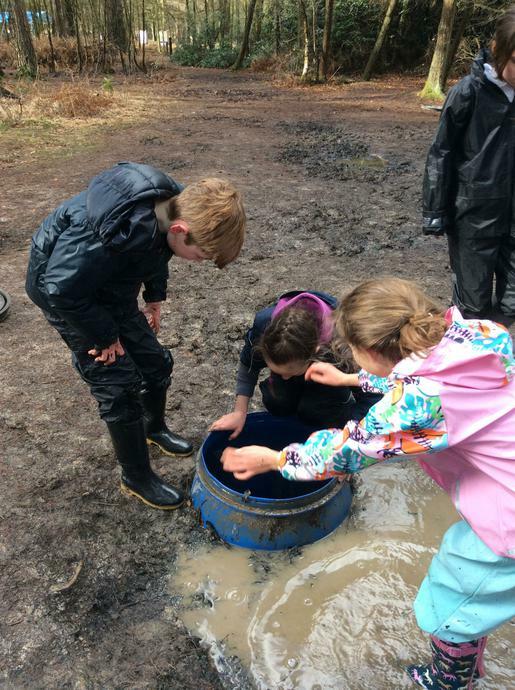 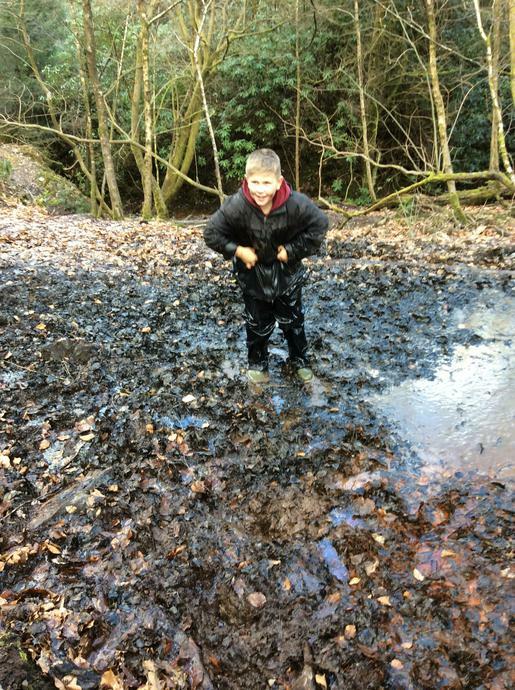 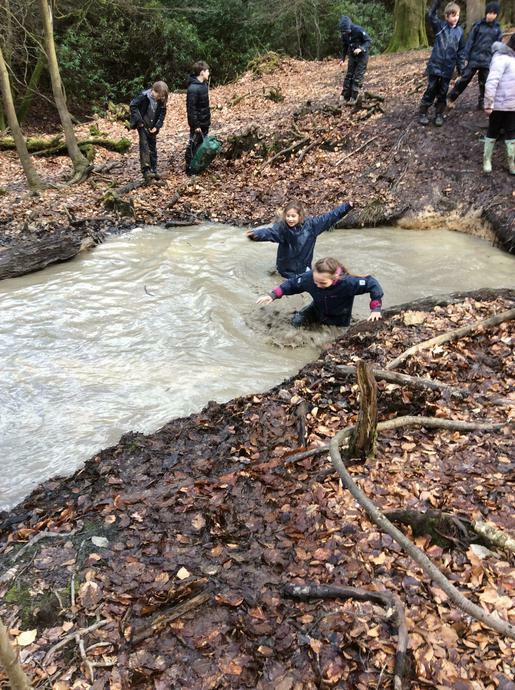 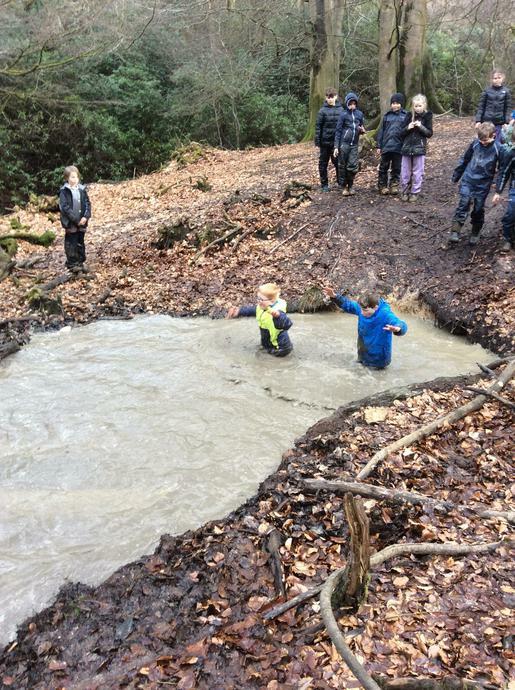 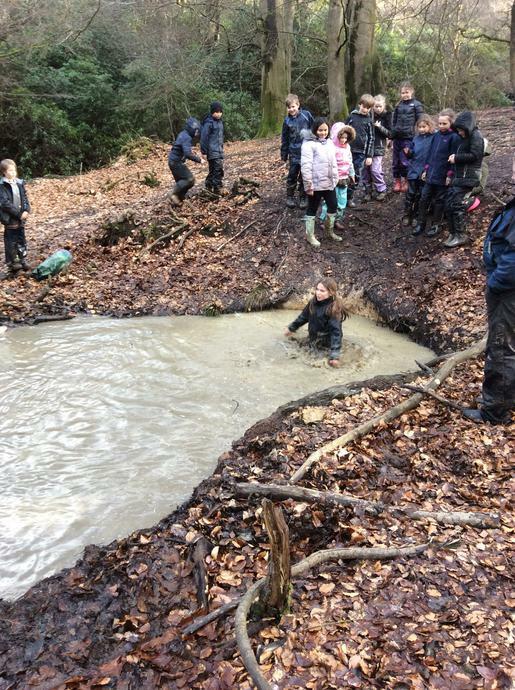 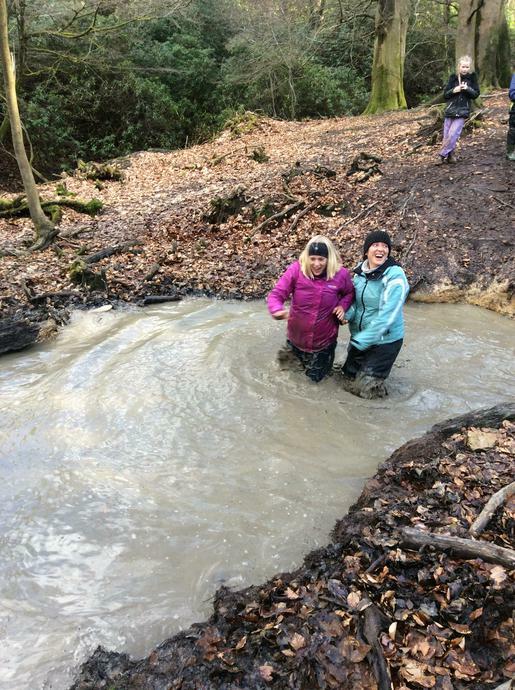 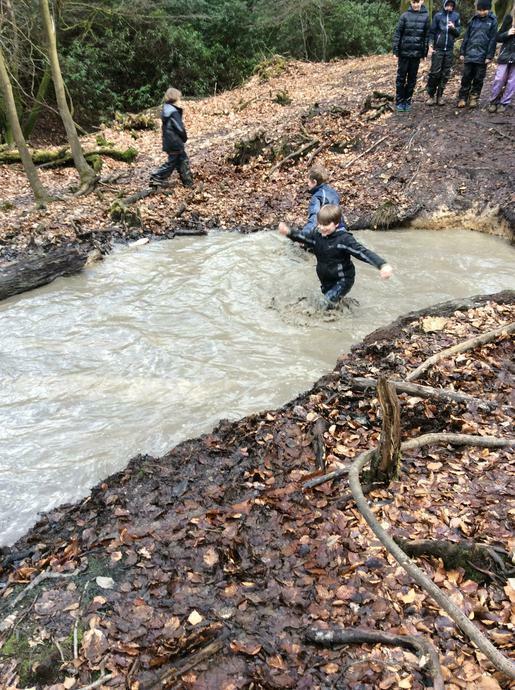 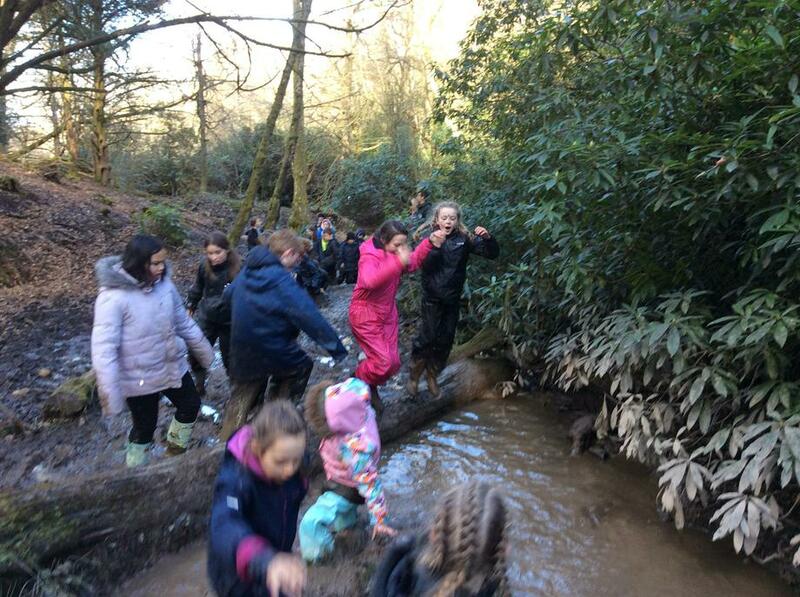 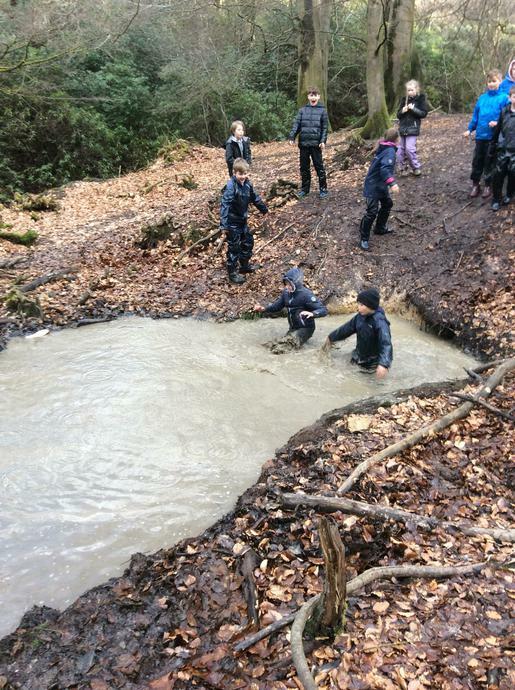 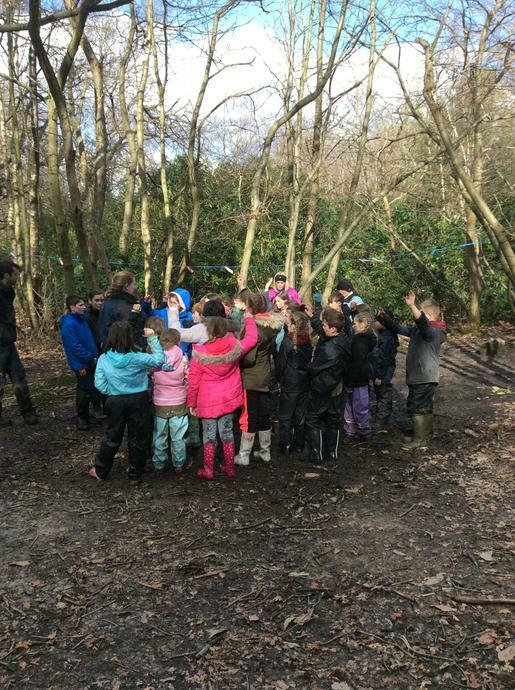 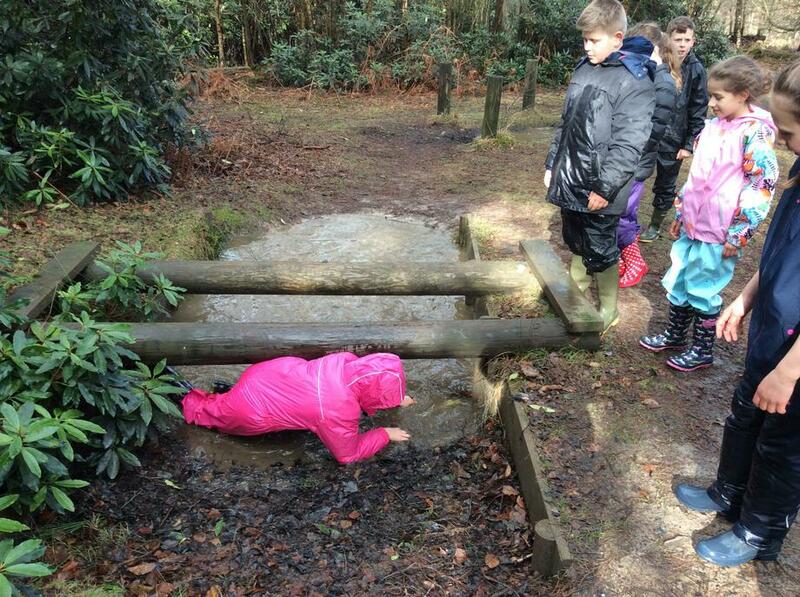 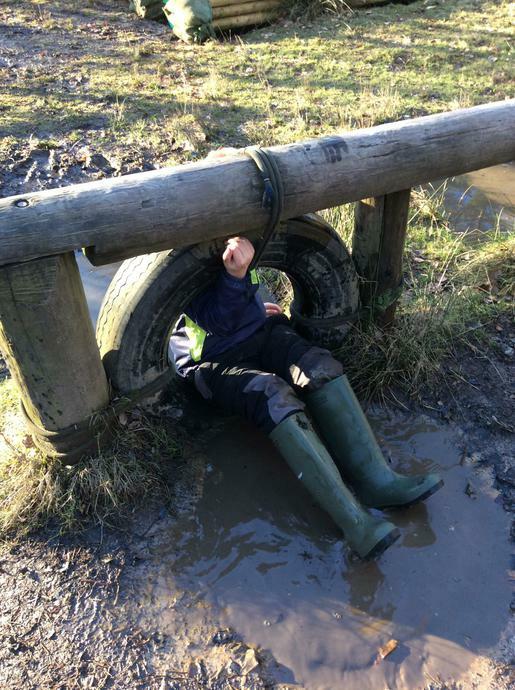 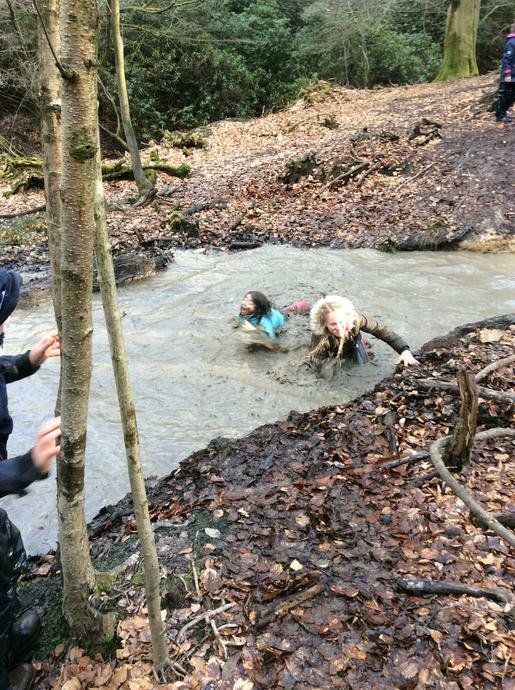 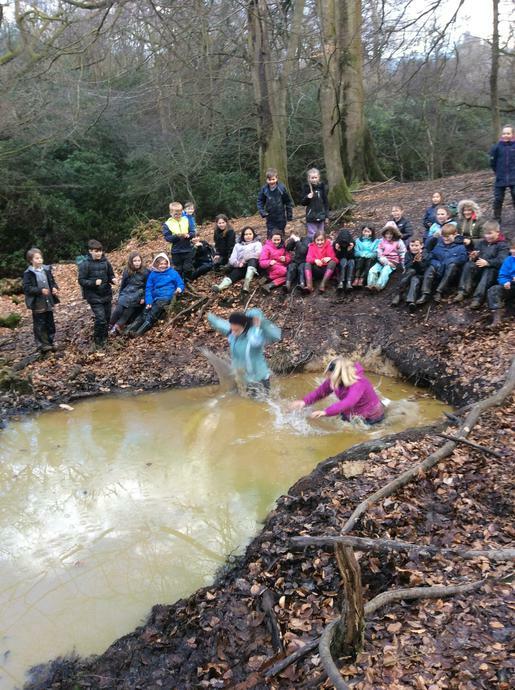 This afternoon, we ventured into the woods as a whole class, where we walked down a river, clambered over trees and got very, very muddy! 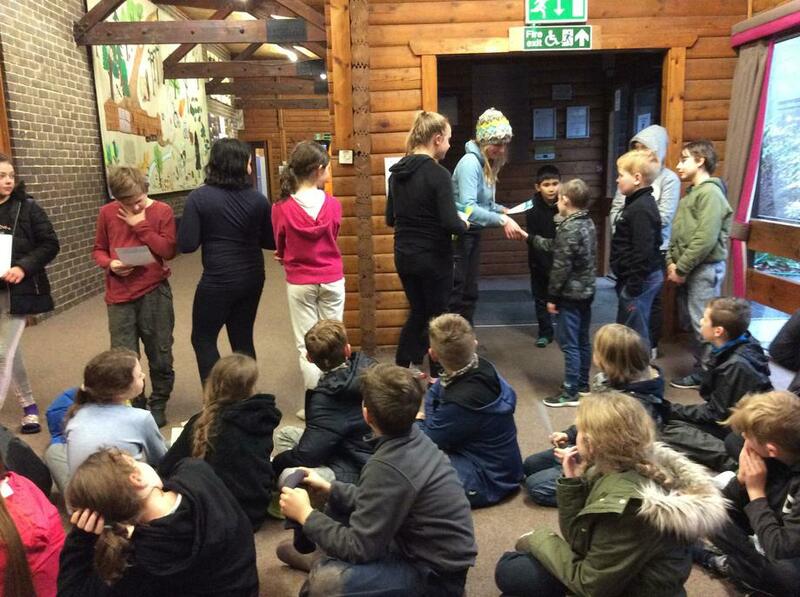 This evening we are off for a night walk, before enjoying hot chocolate and cookies. 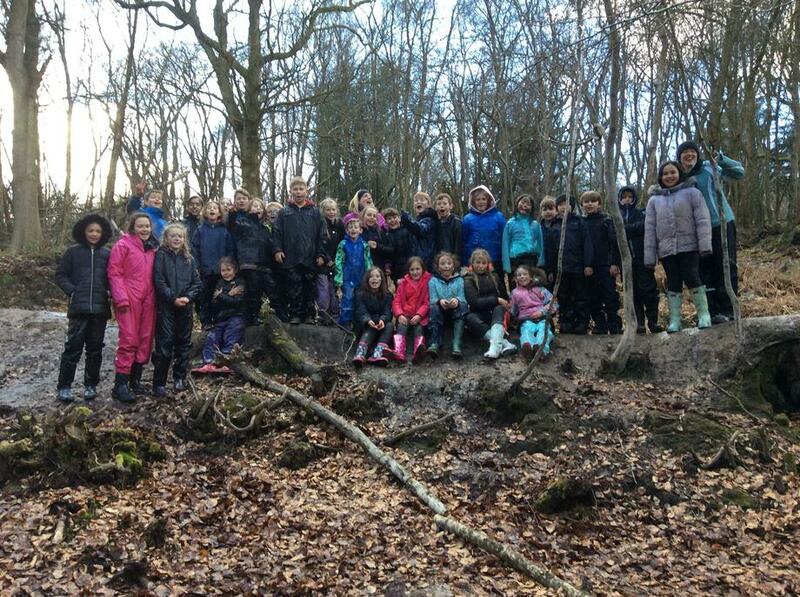 I think we will all sleep well tonight! 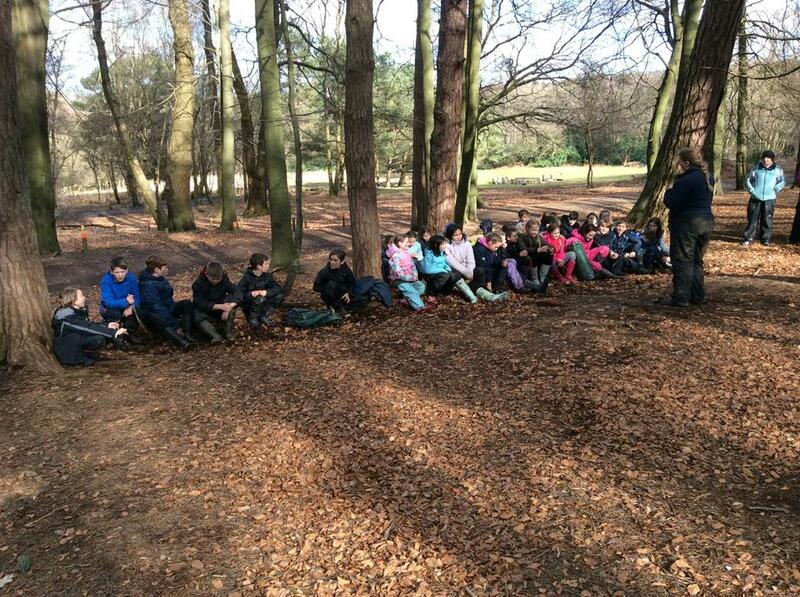 We arrived safely at Hindleap Warren at about 10:45, after a good journey. 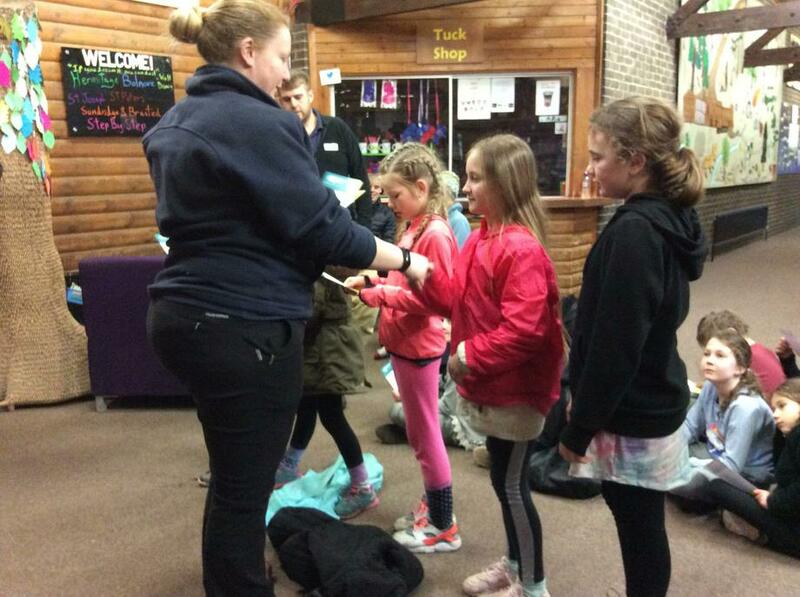 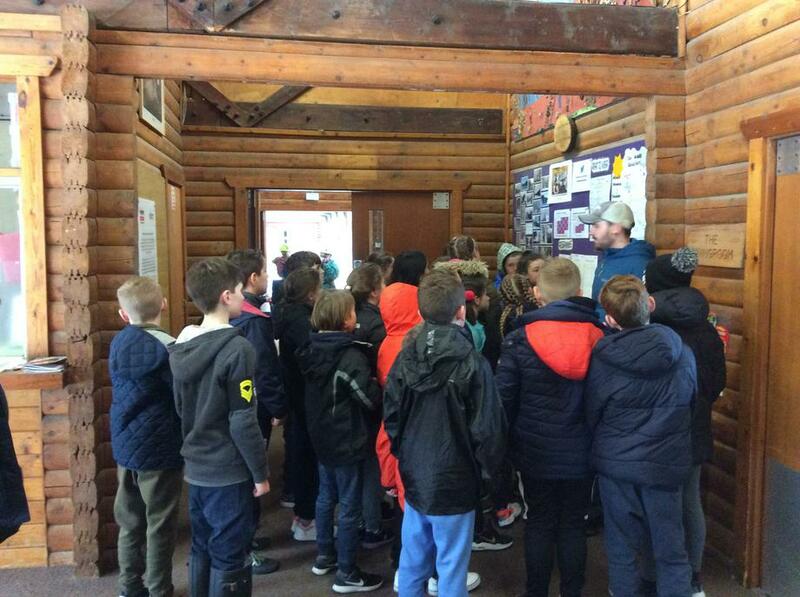 On arrival we had a tour of the centre, and found out about our responsibilities - these included making our own beds, cleaning up after eating and getting ourselves ready for activities on time! 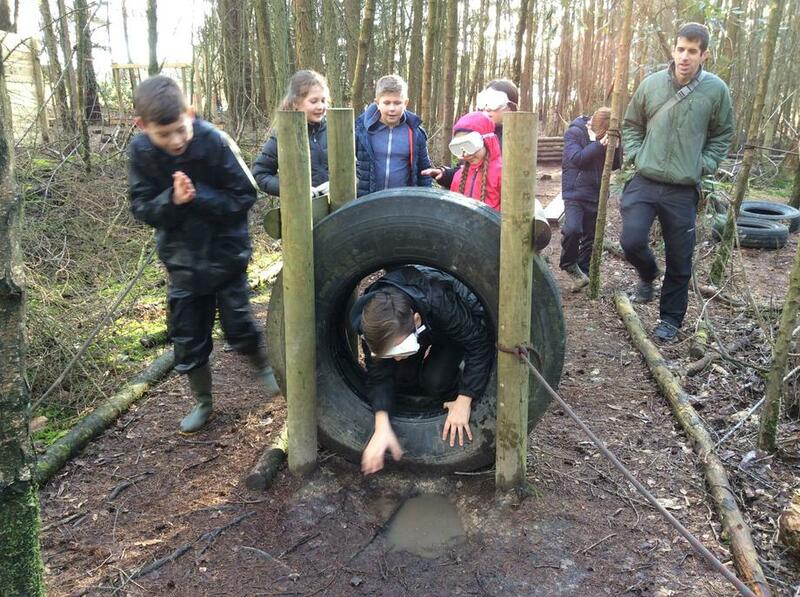 After this, we enjoyed a delicious lunch and then it was time to begin our challenges! 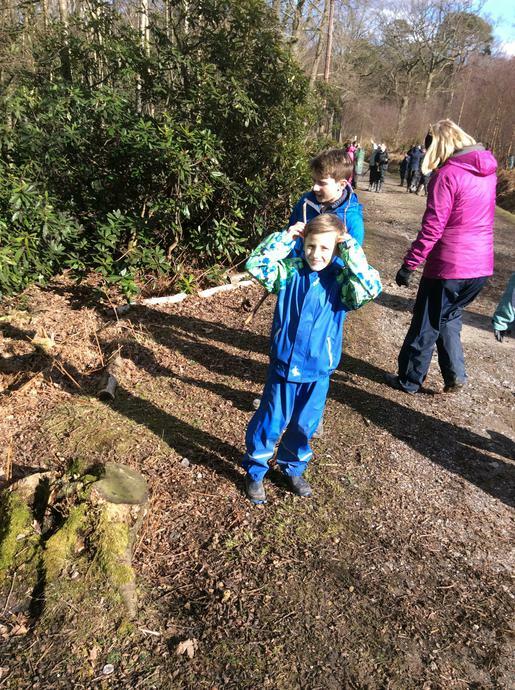 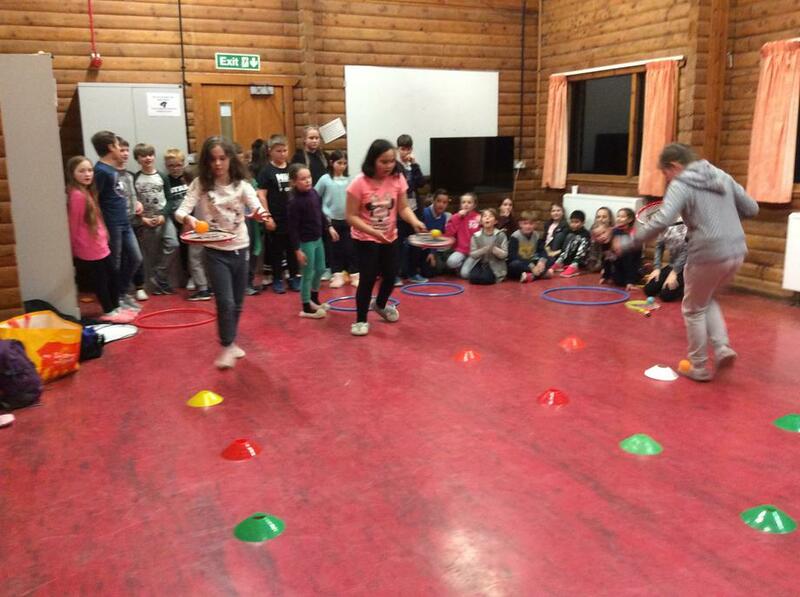 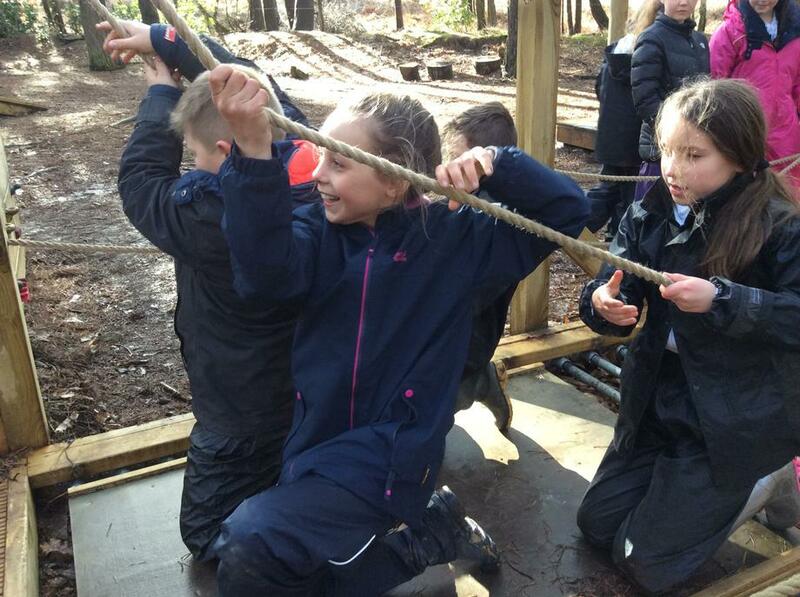 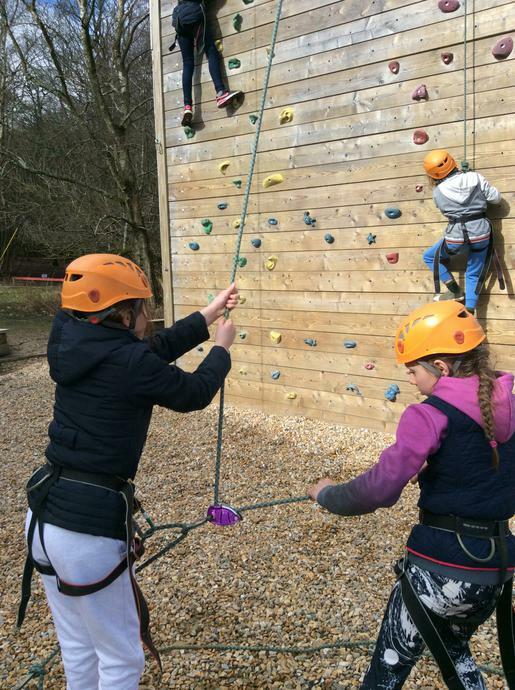 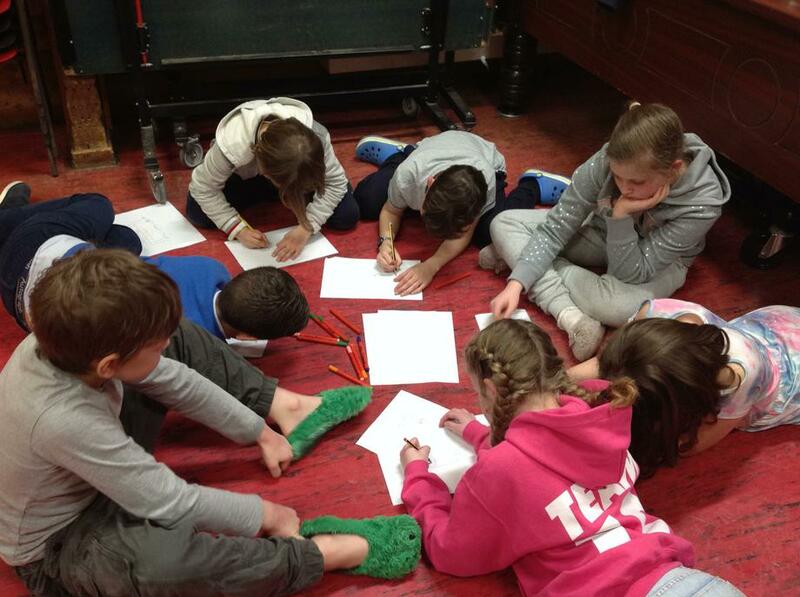 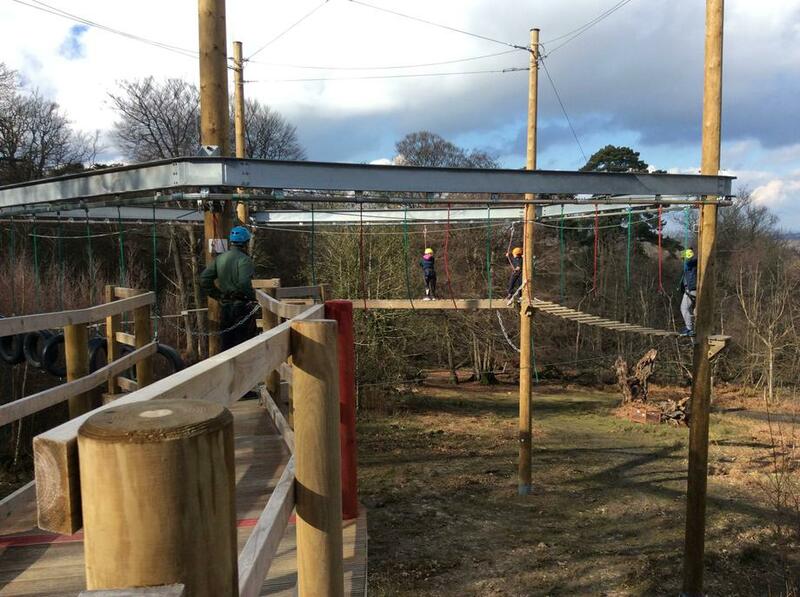 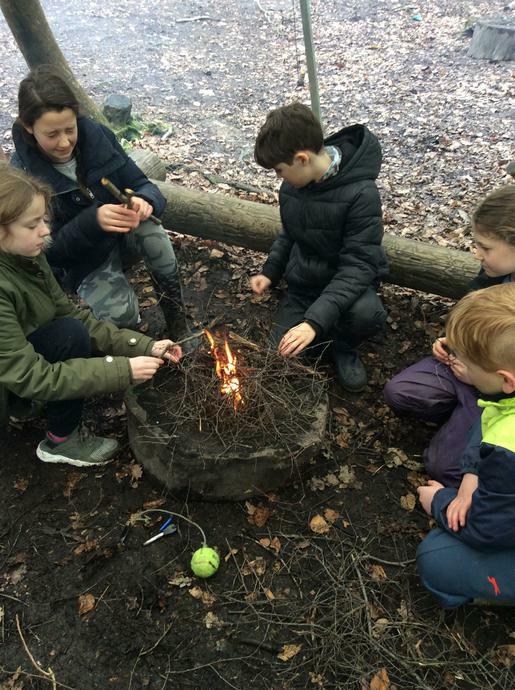 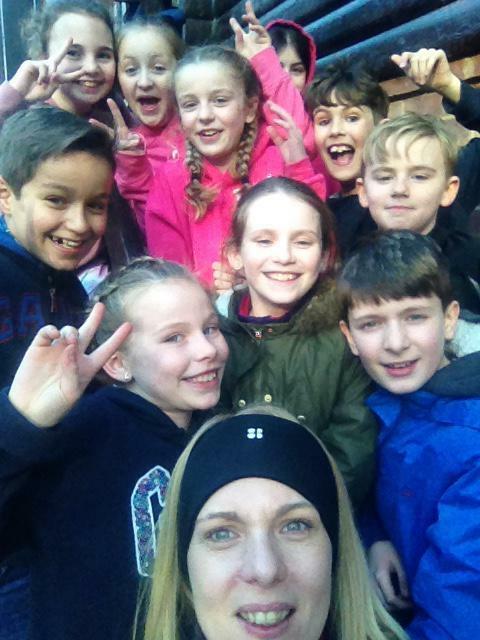 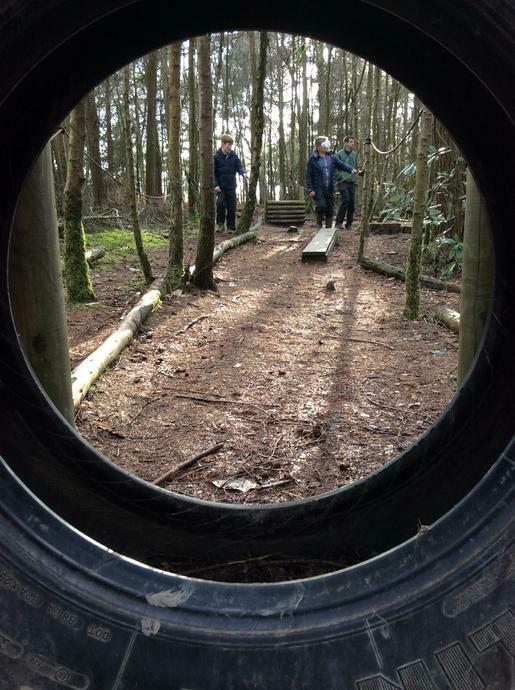 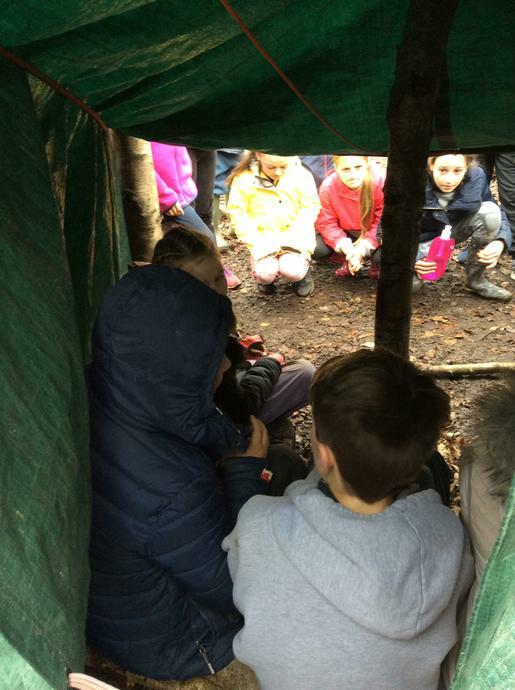 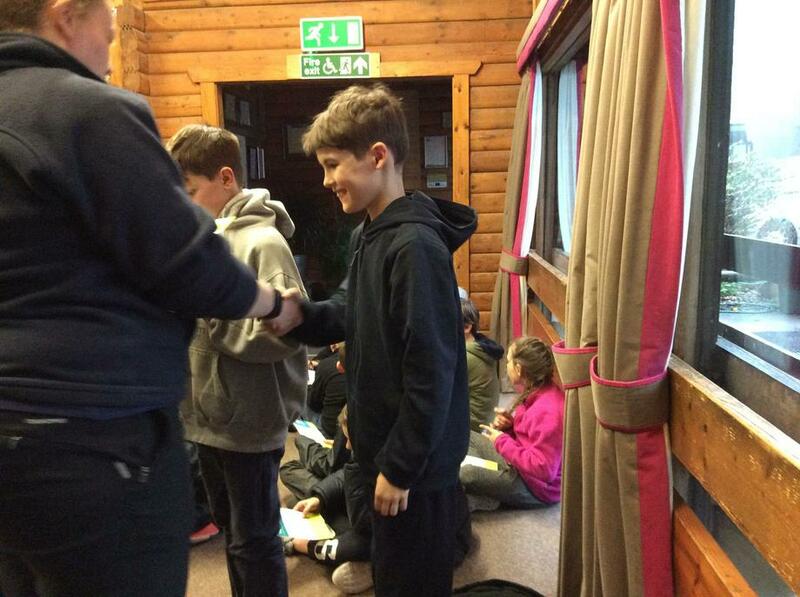 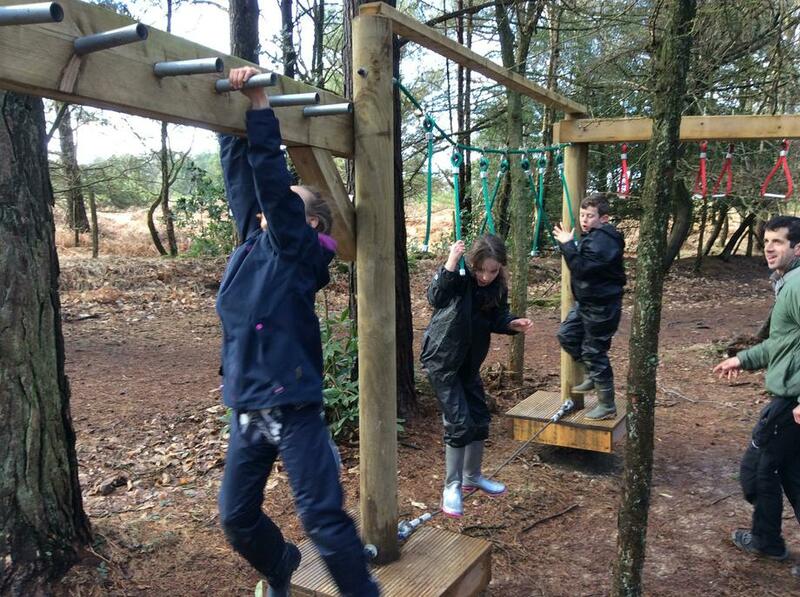 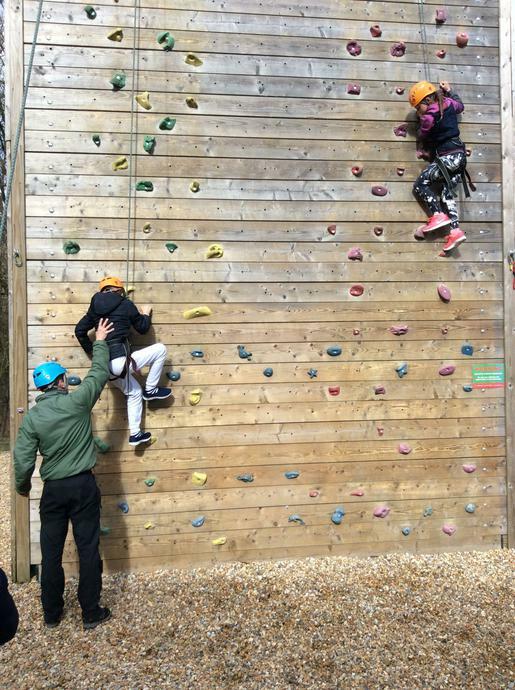 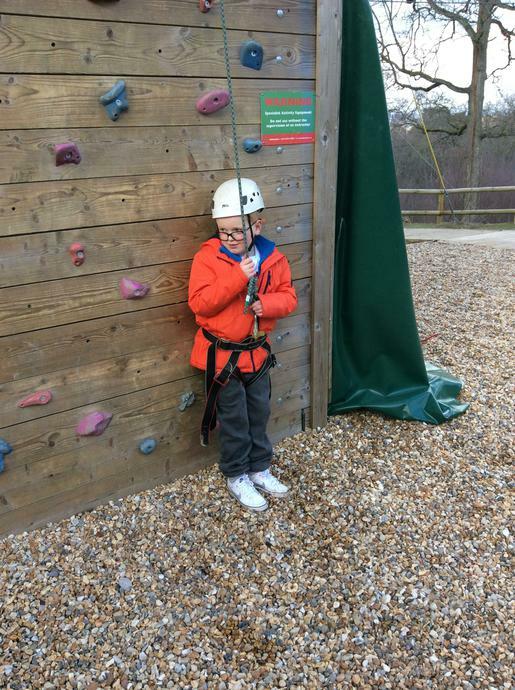 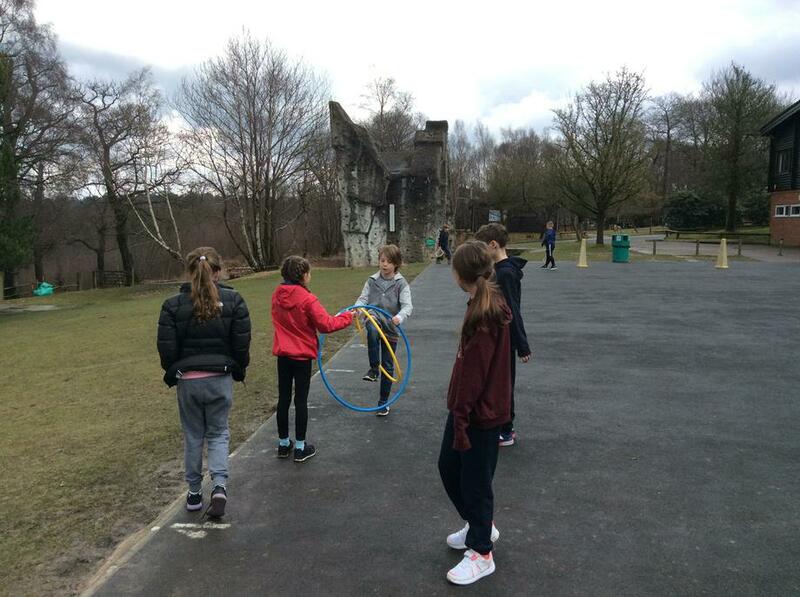 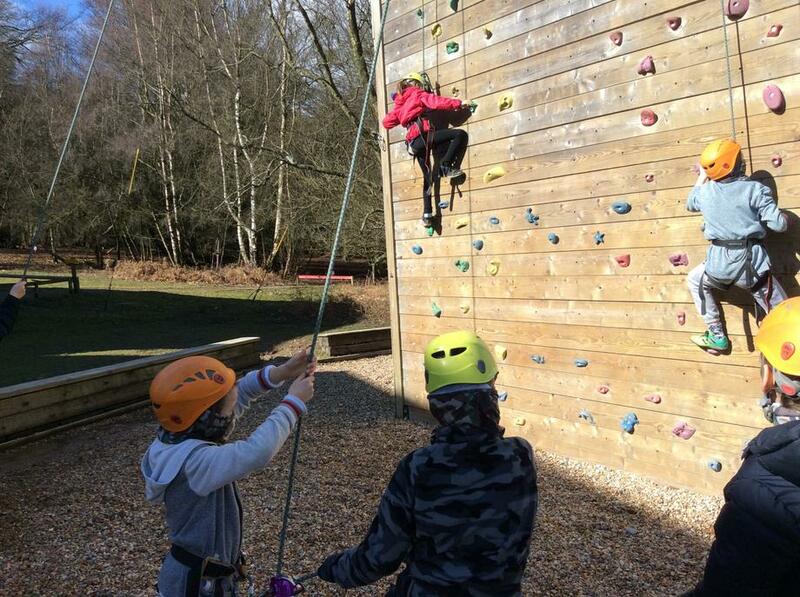 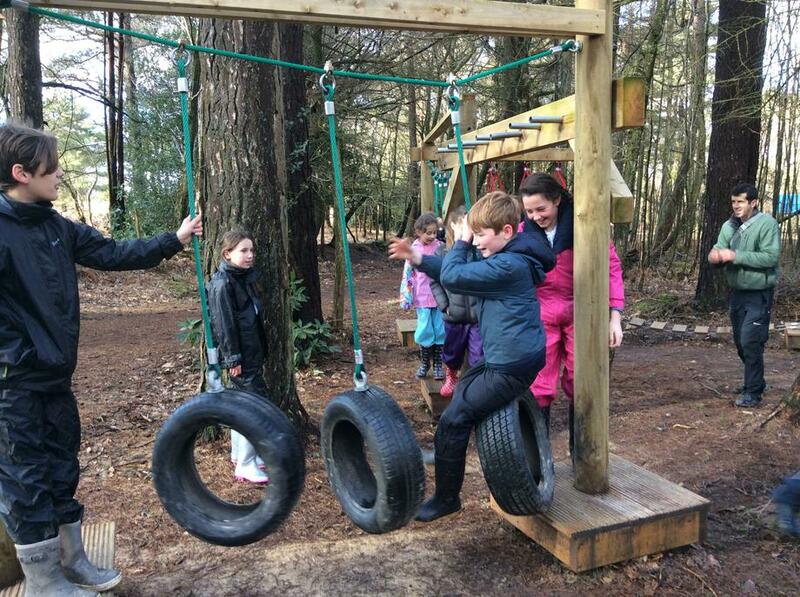 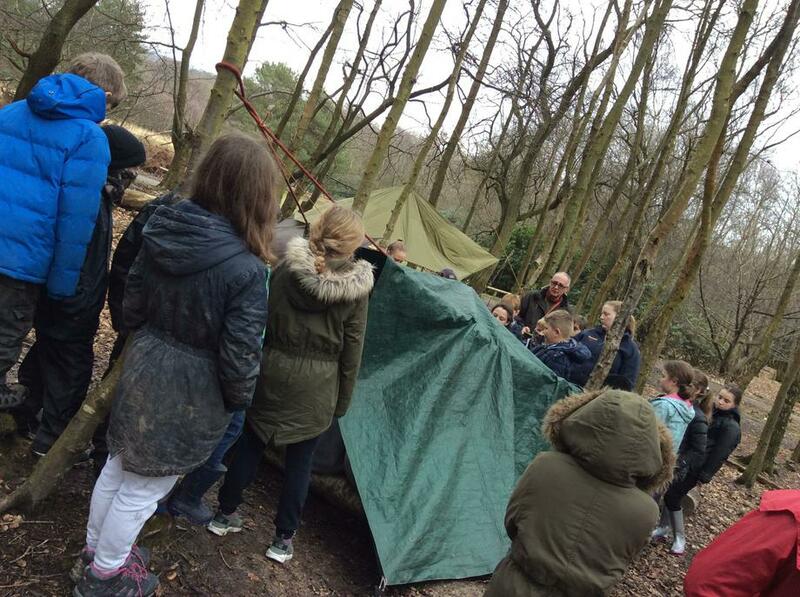 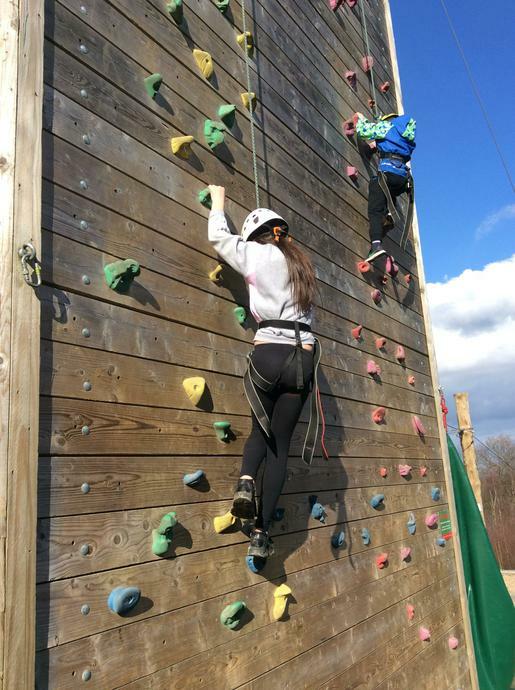 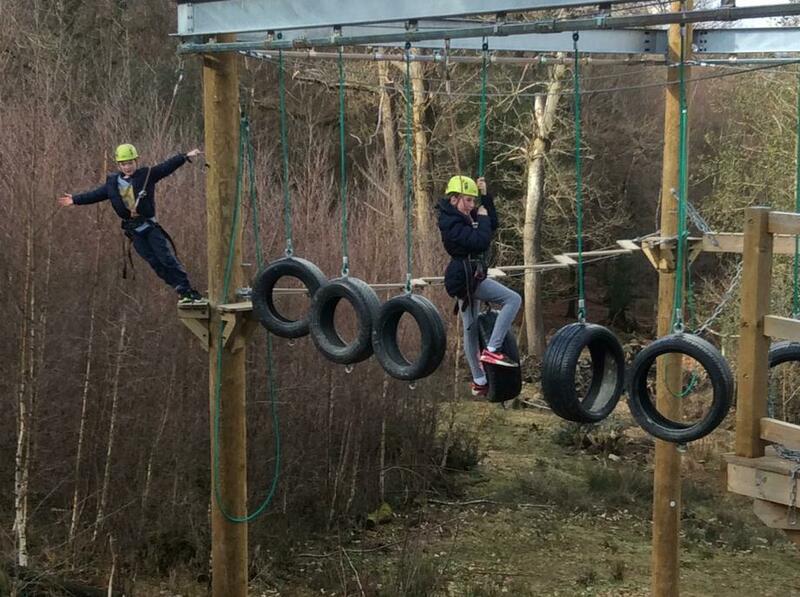 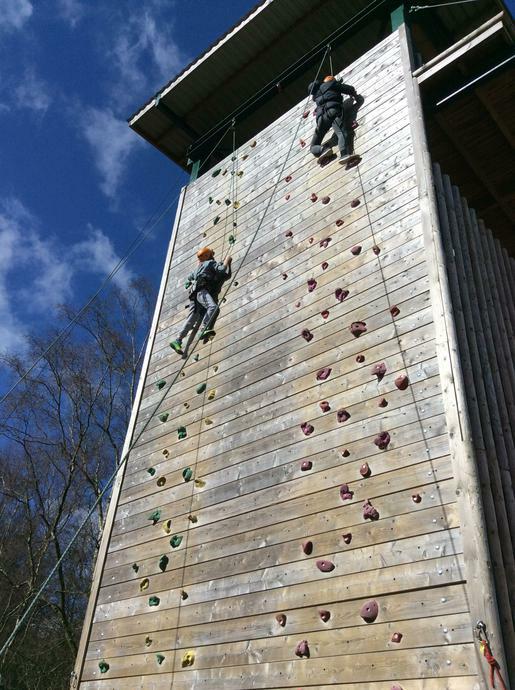 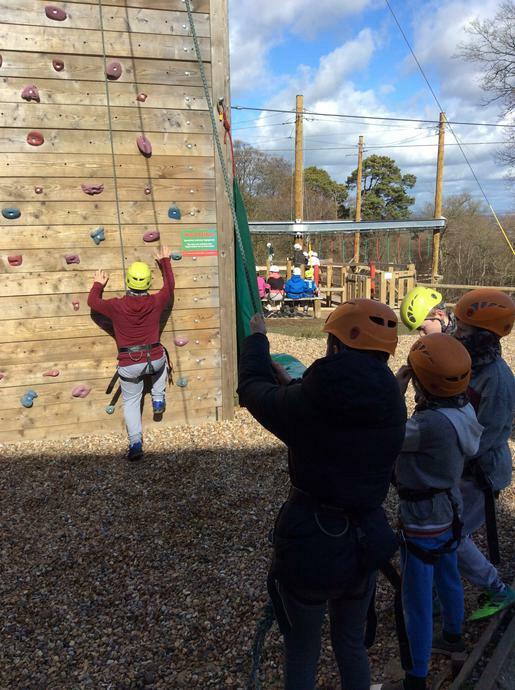 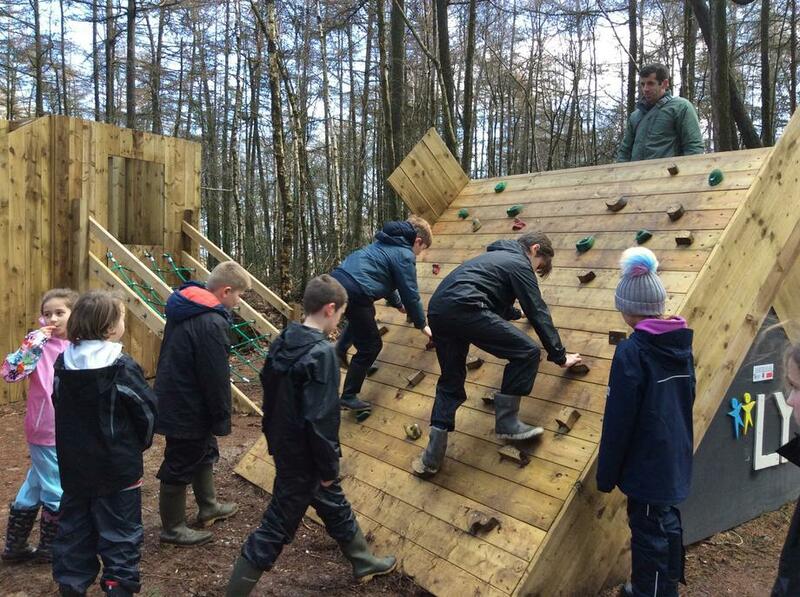 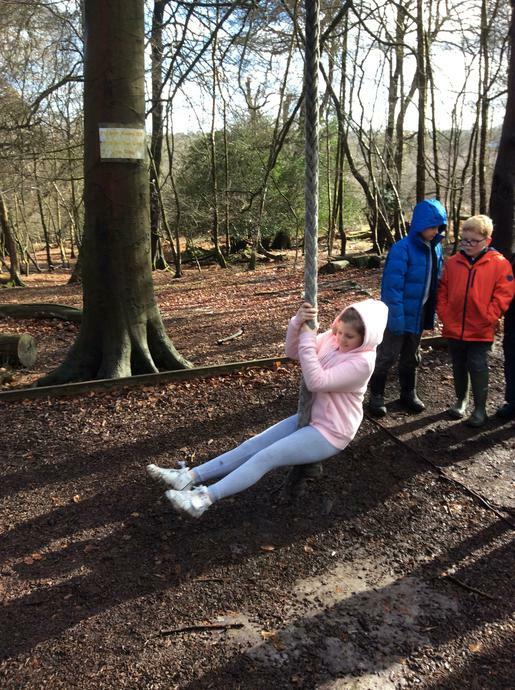 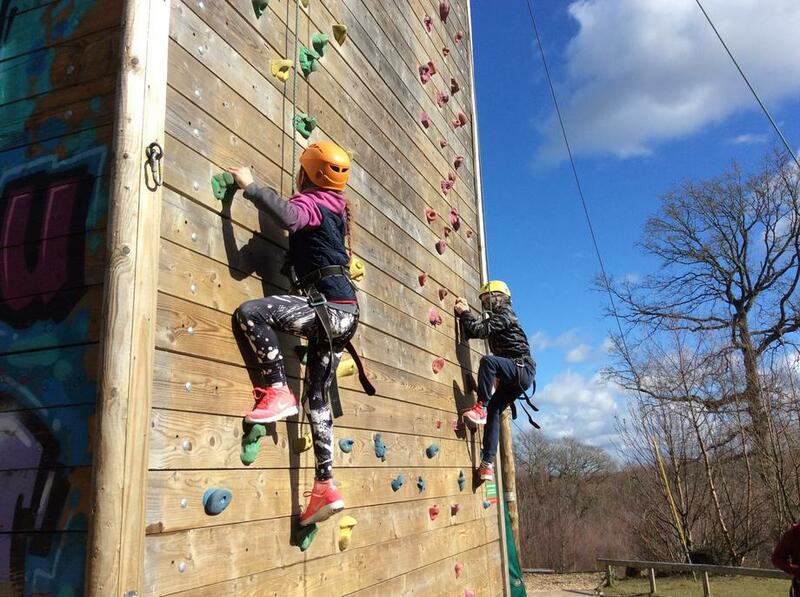 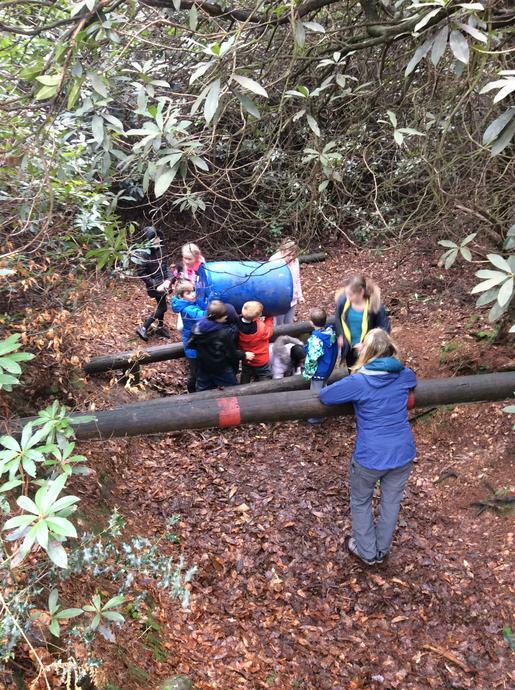 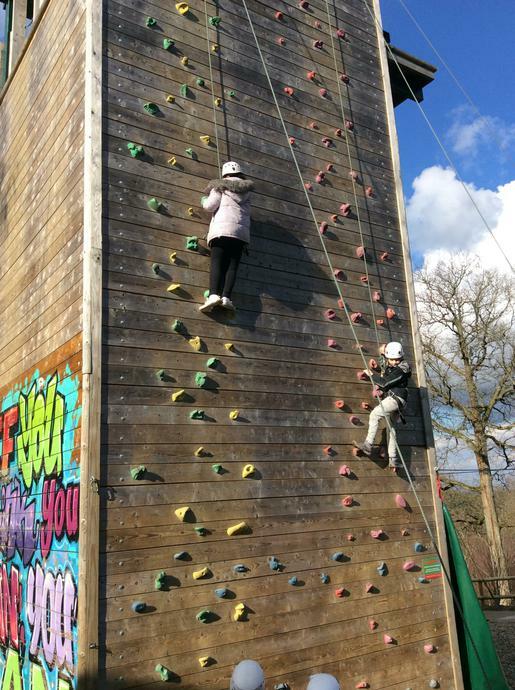 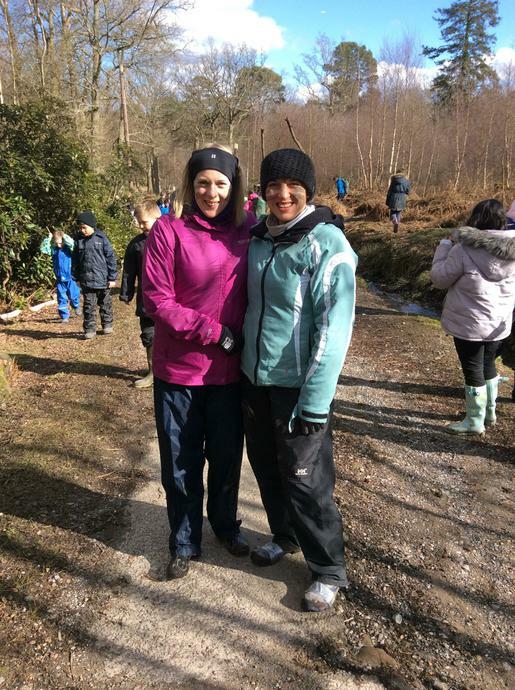 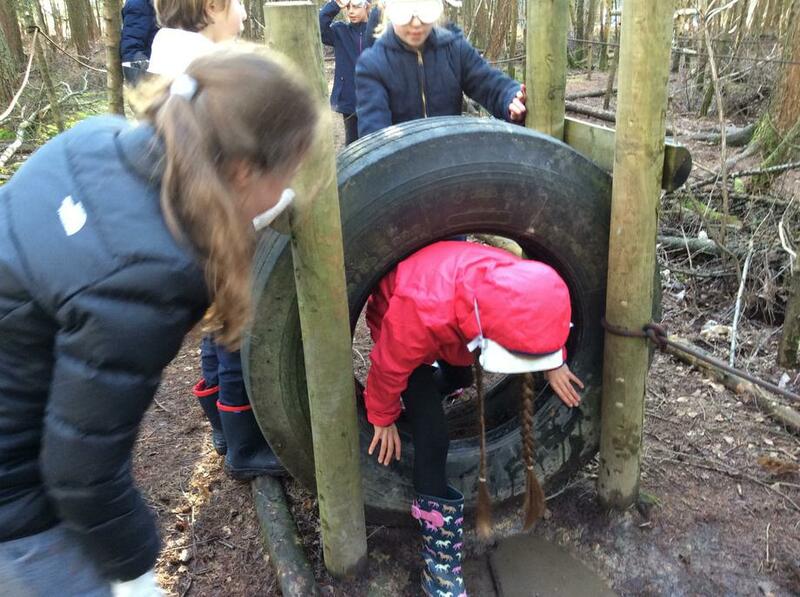 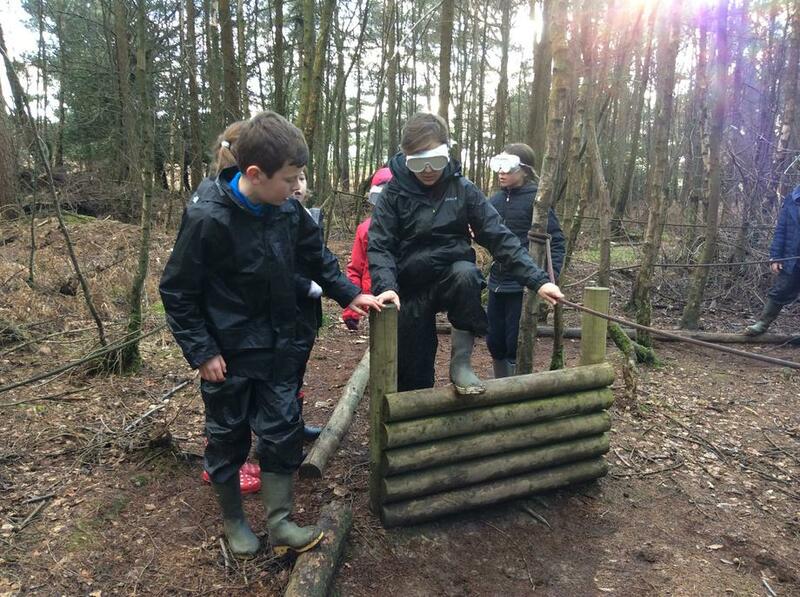 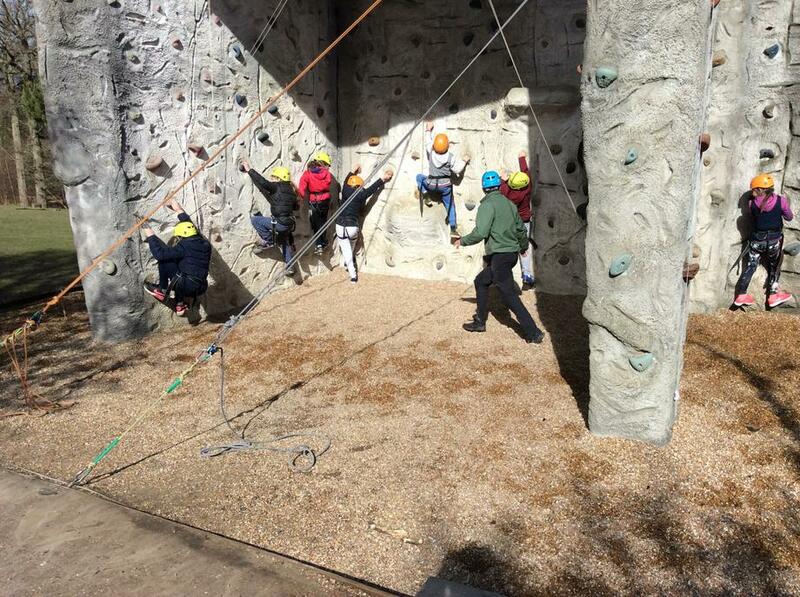 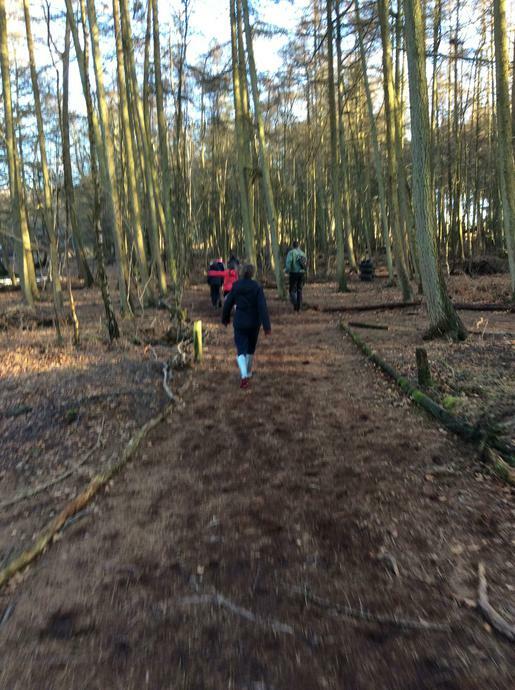 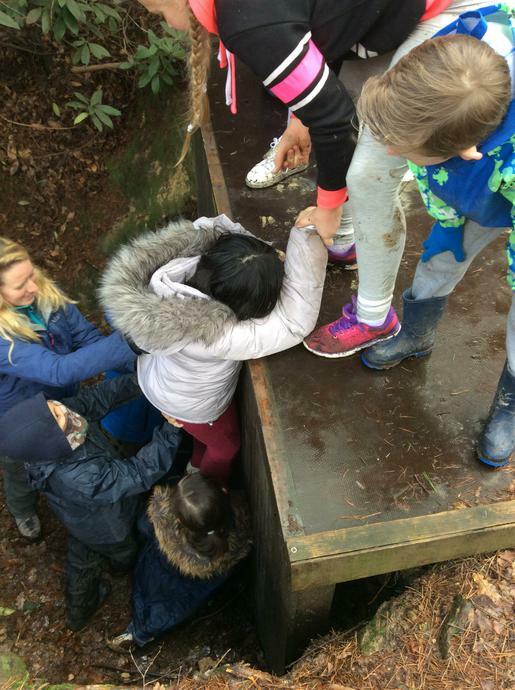 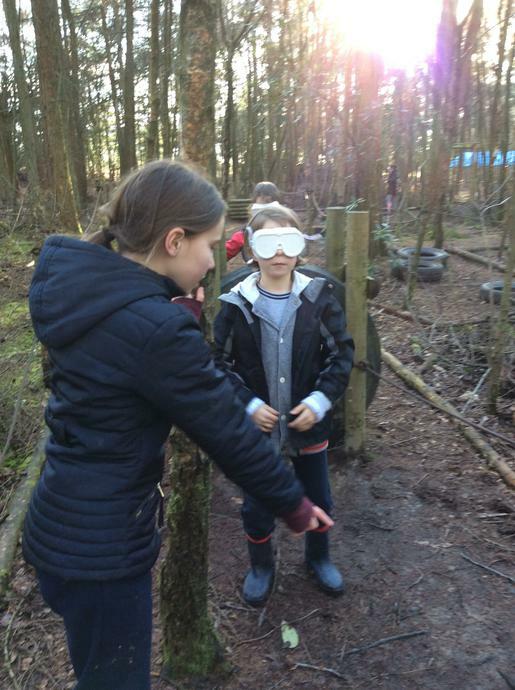 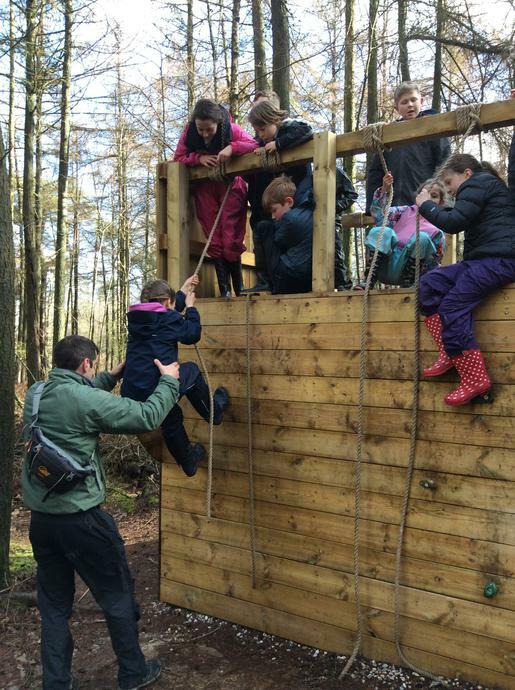 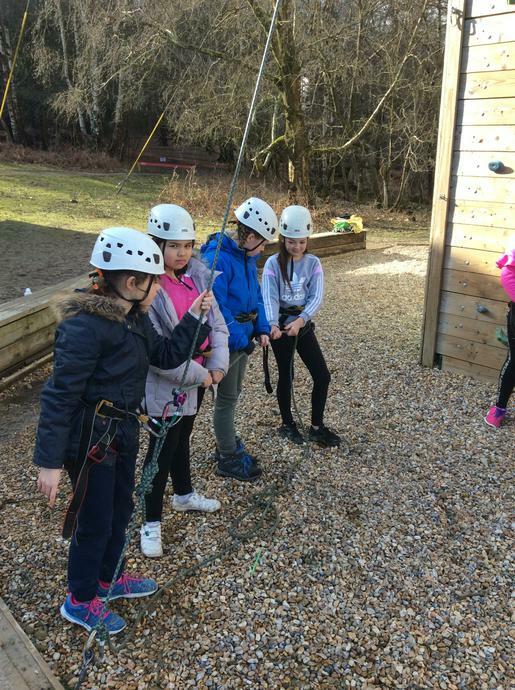 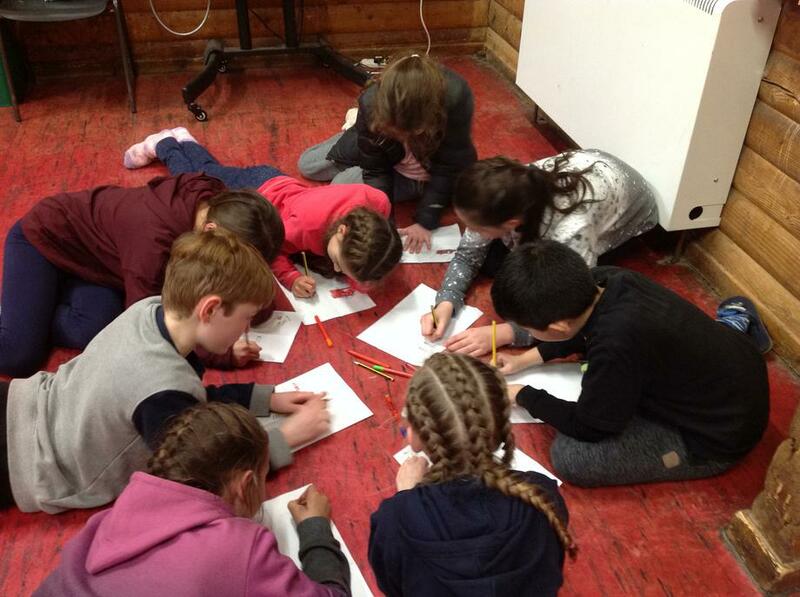 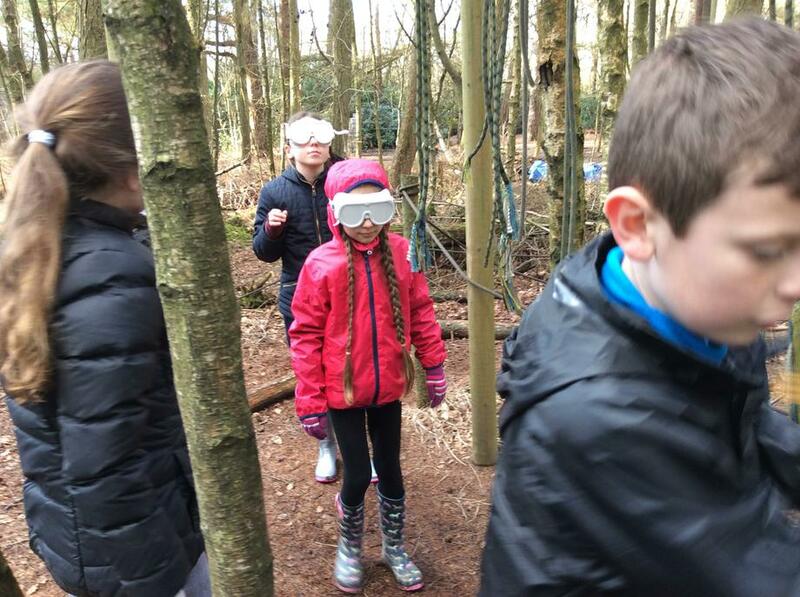 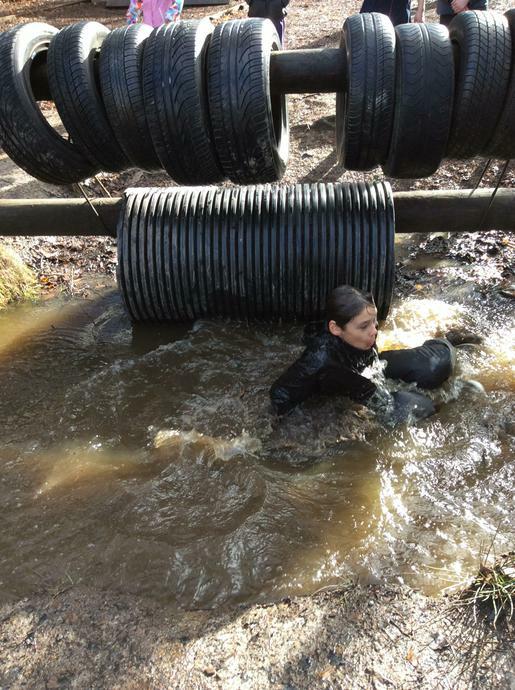 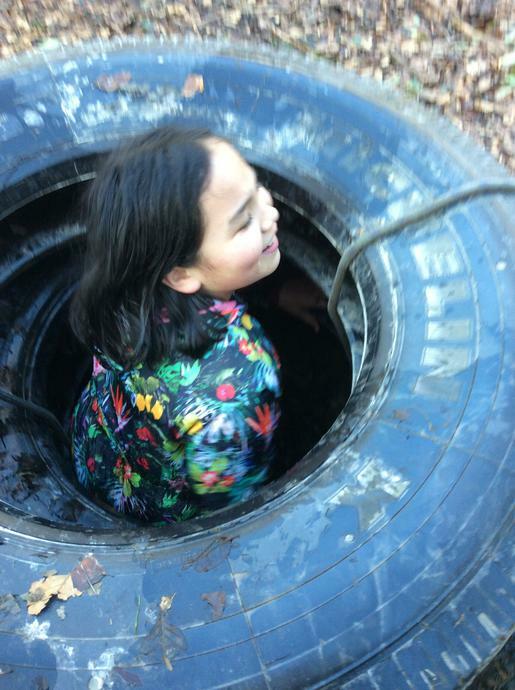 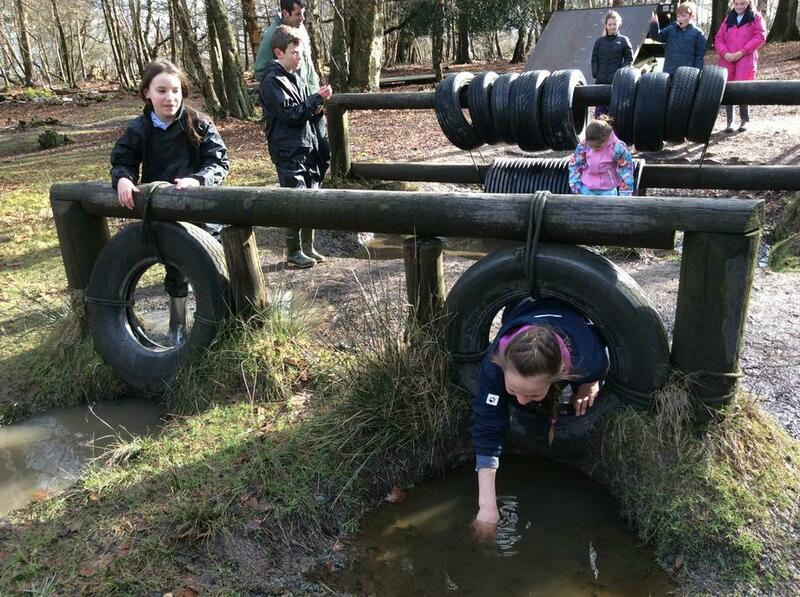 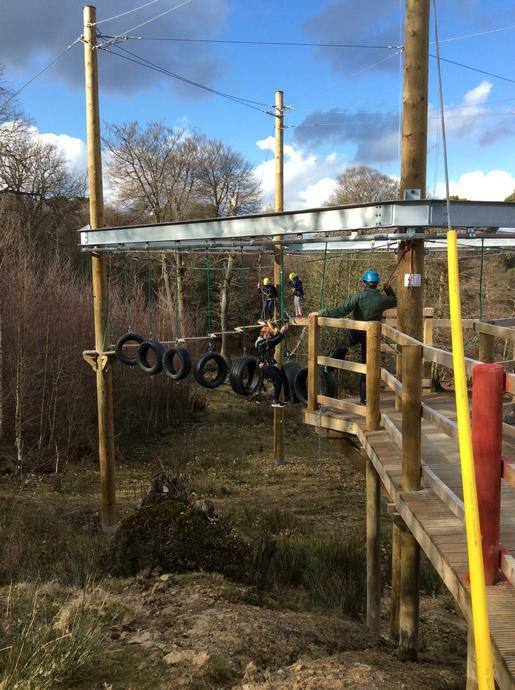 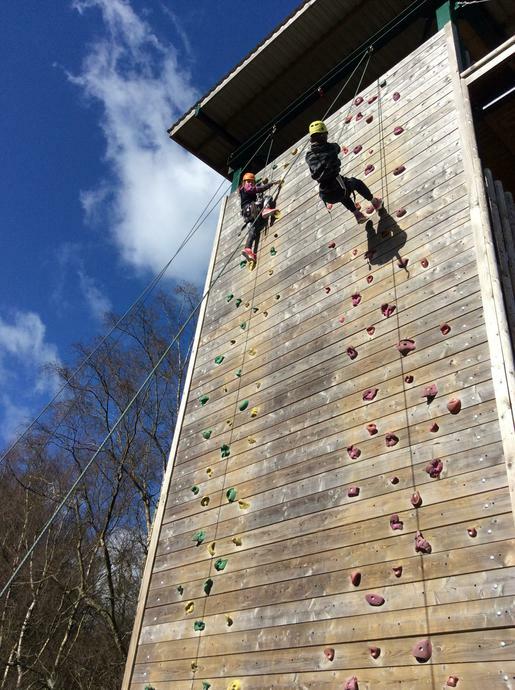 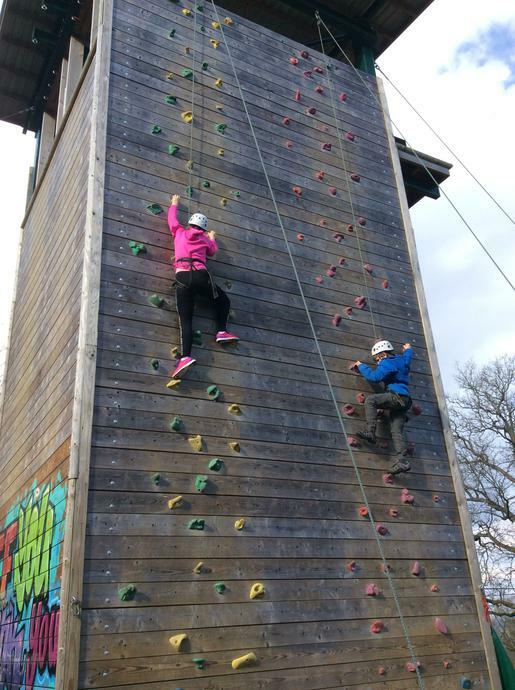 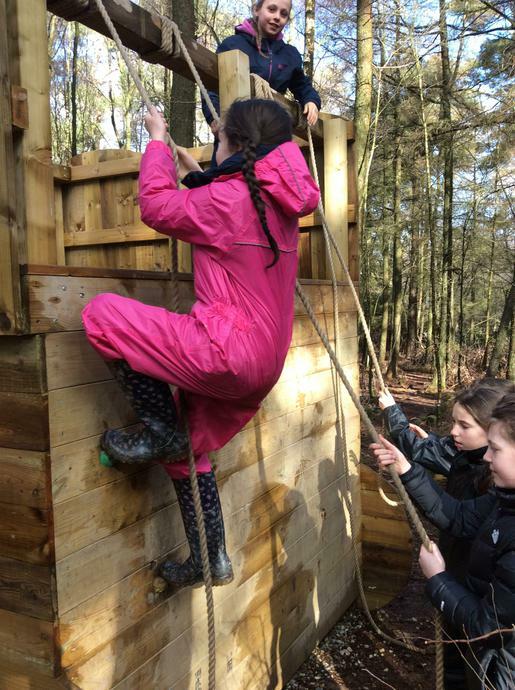 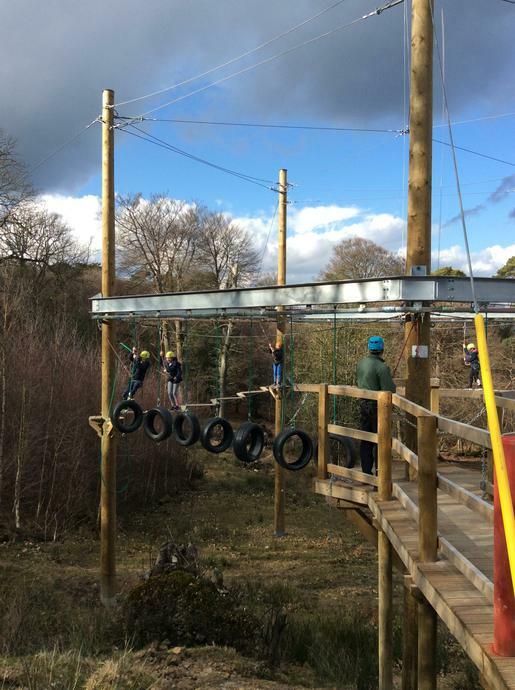 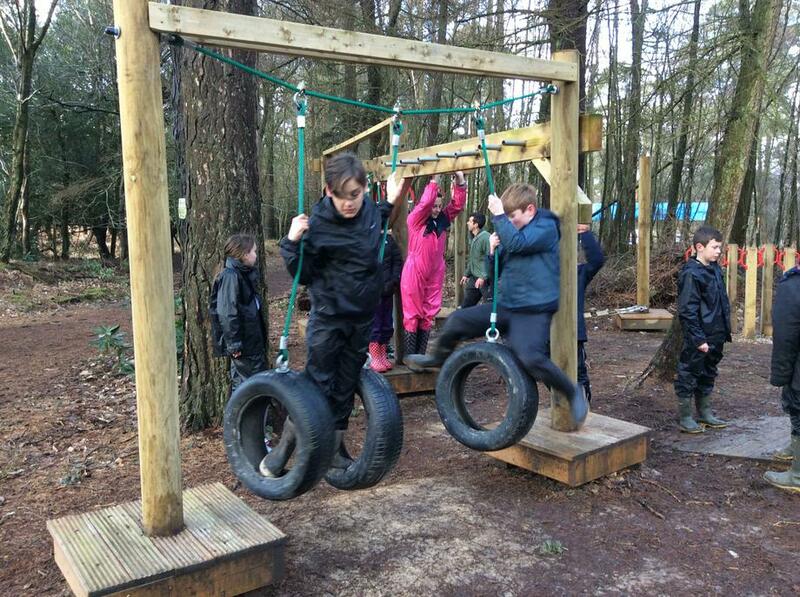 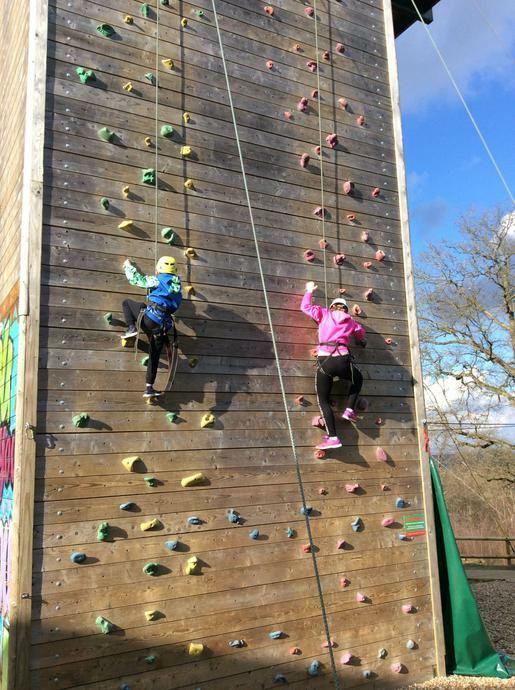 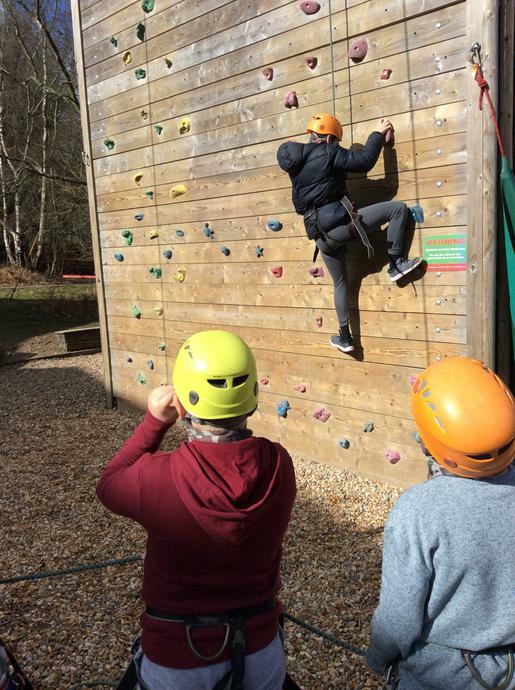 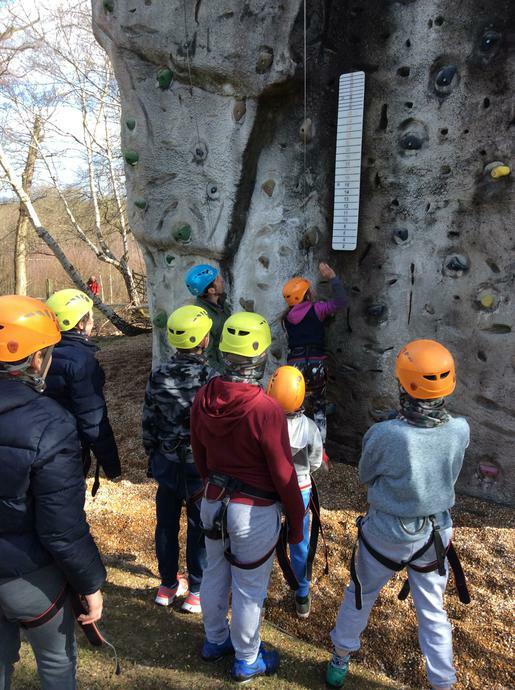 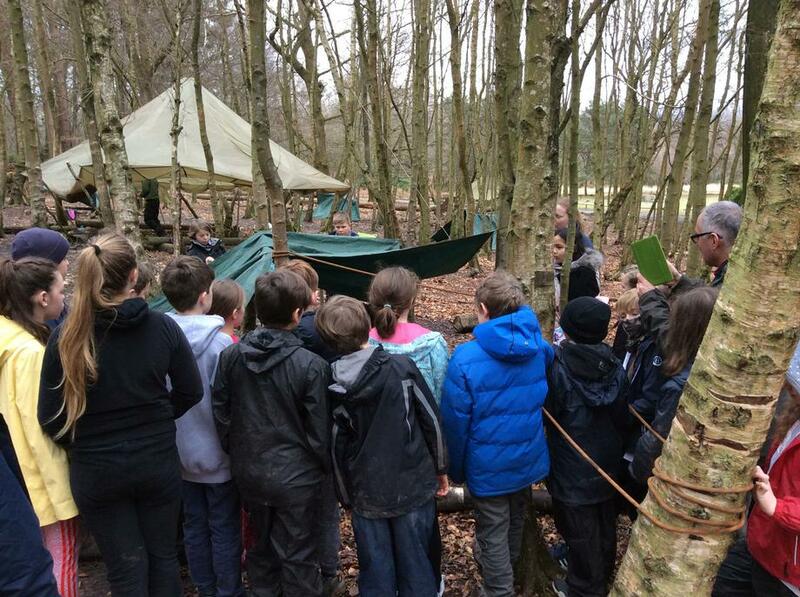 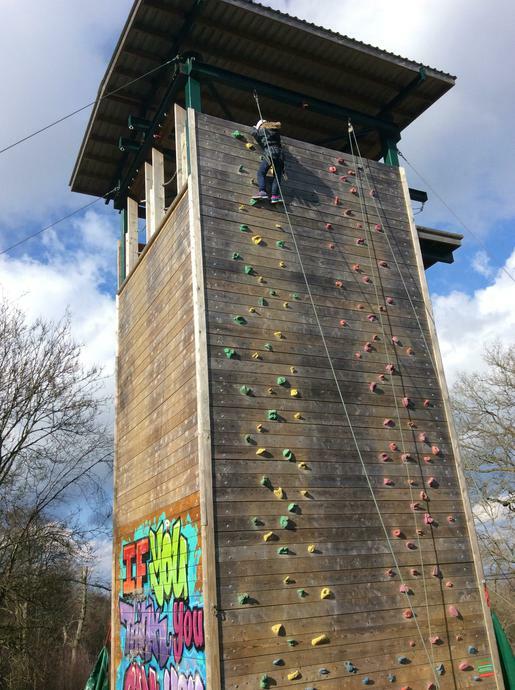 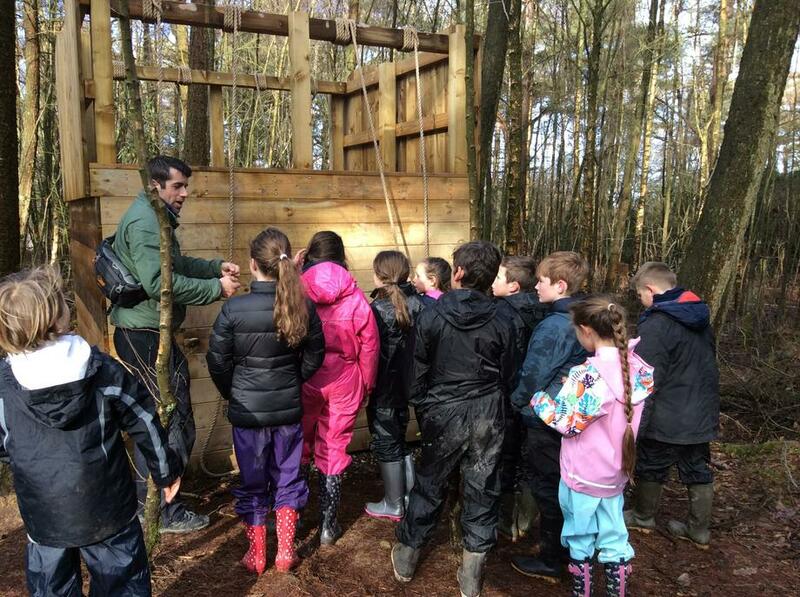 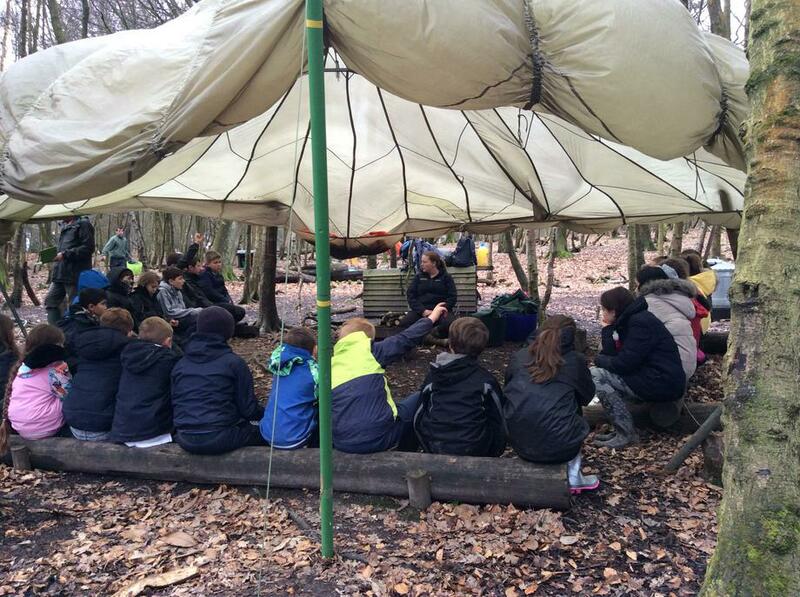 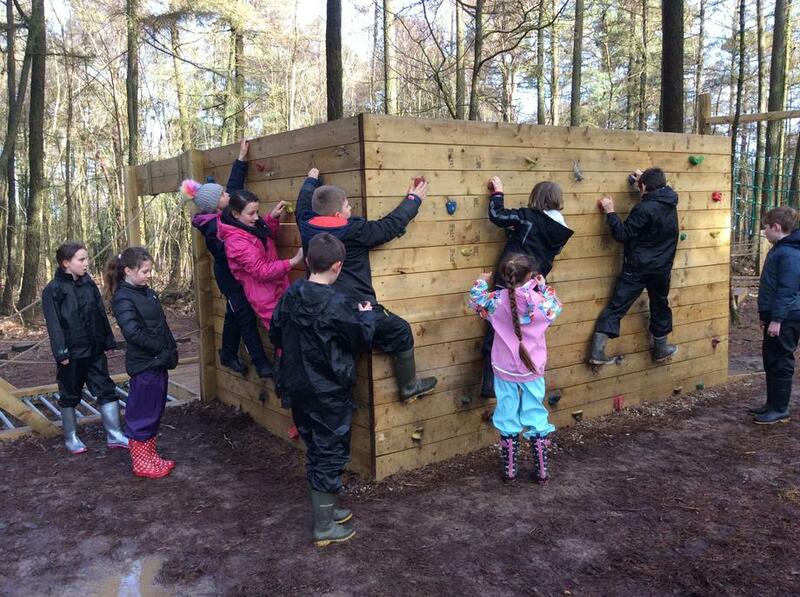 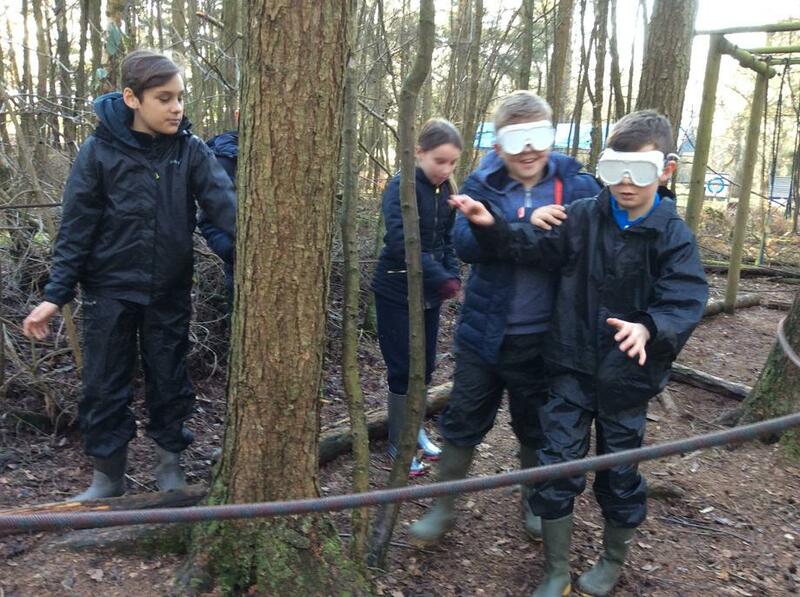 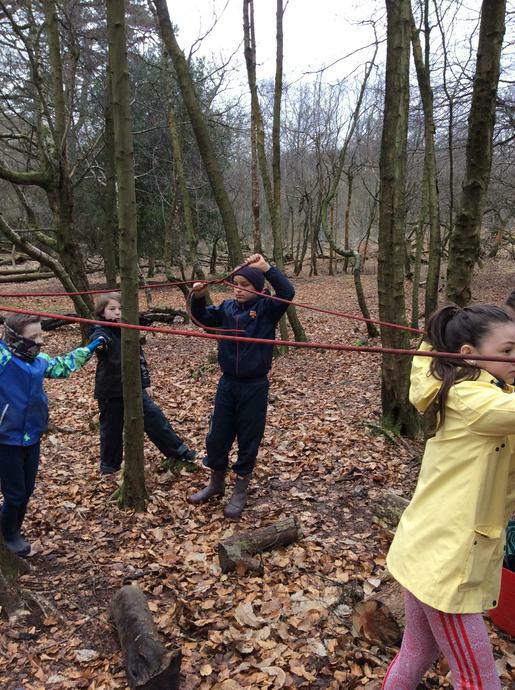 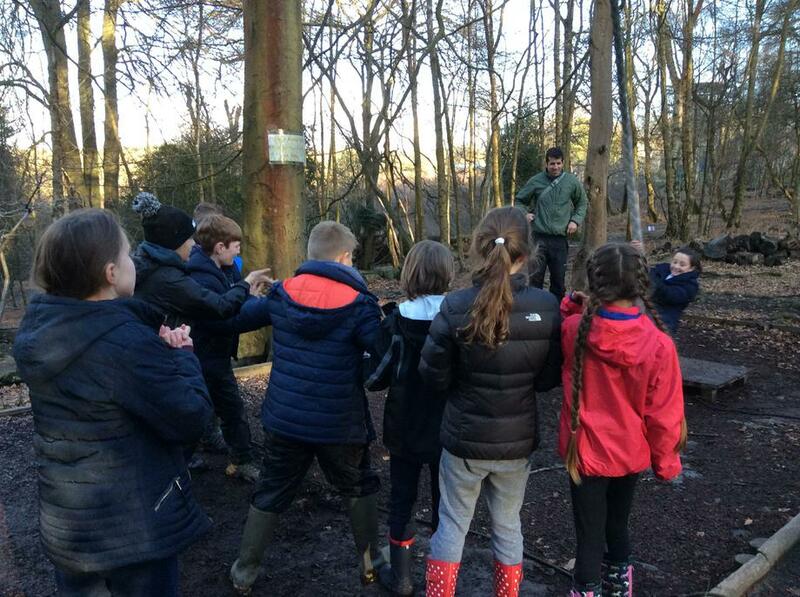 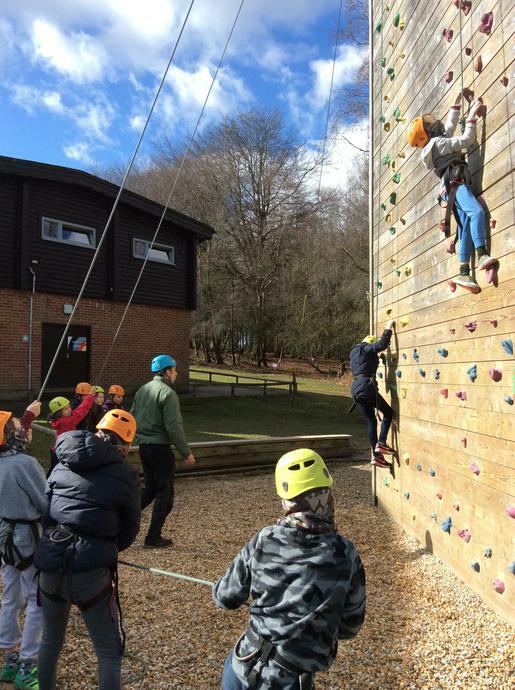 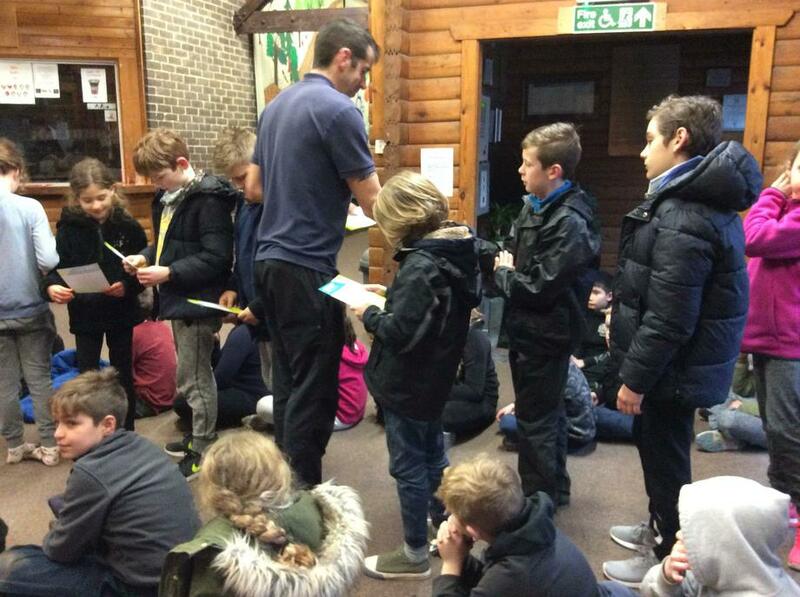 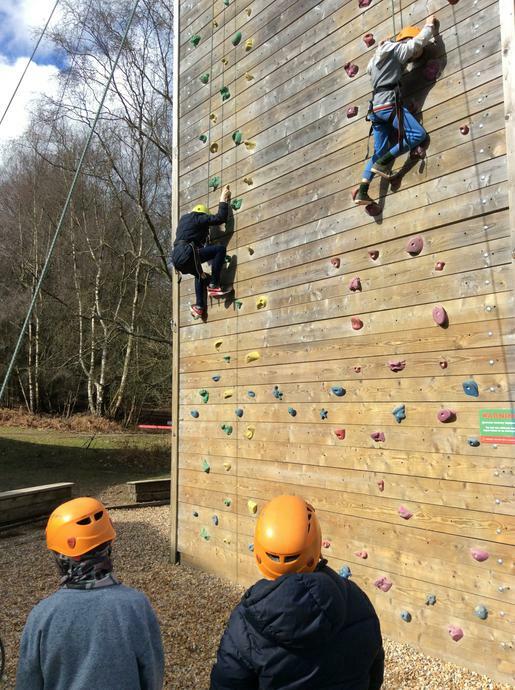 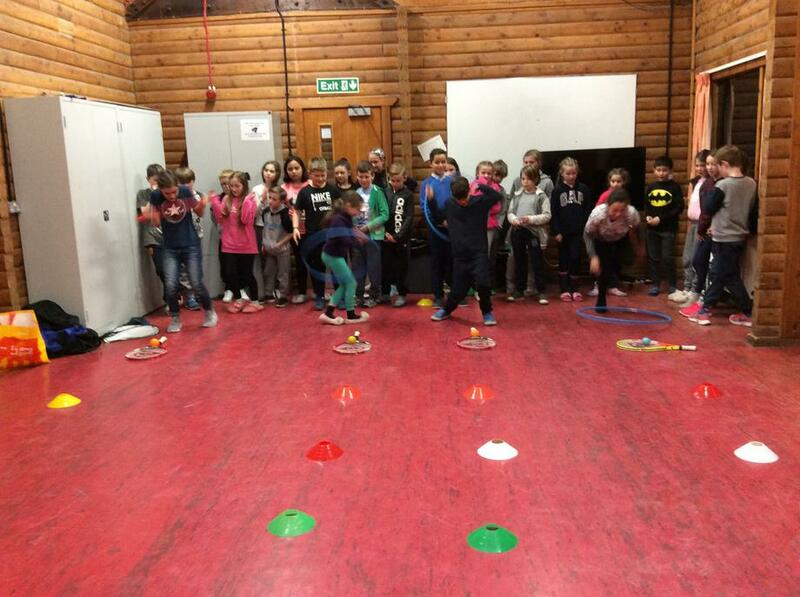 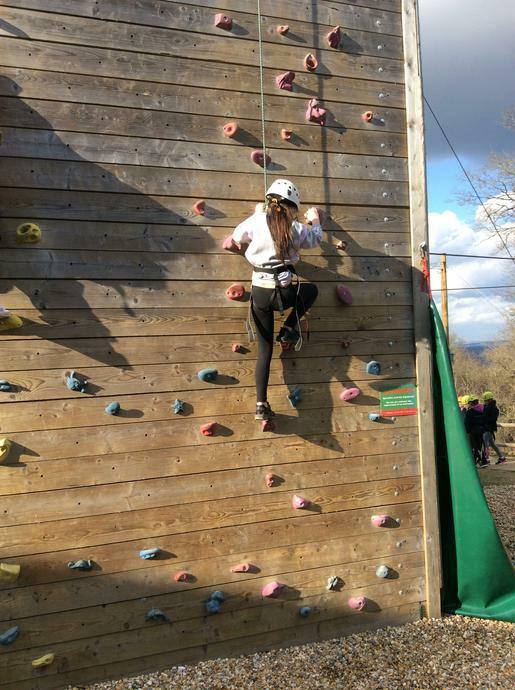 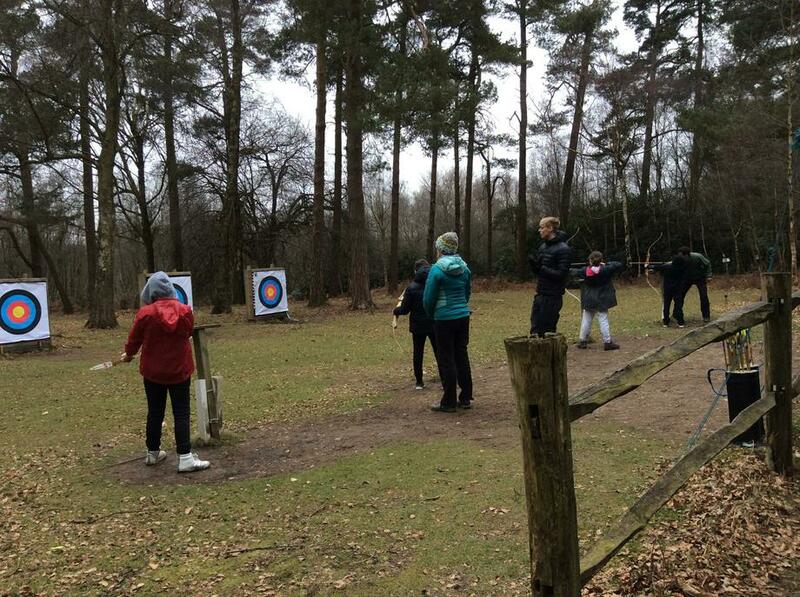 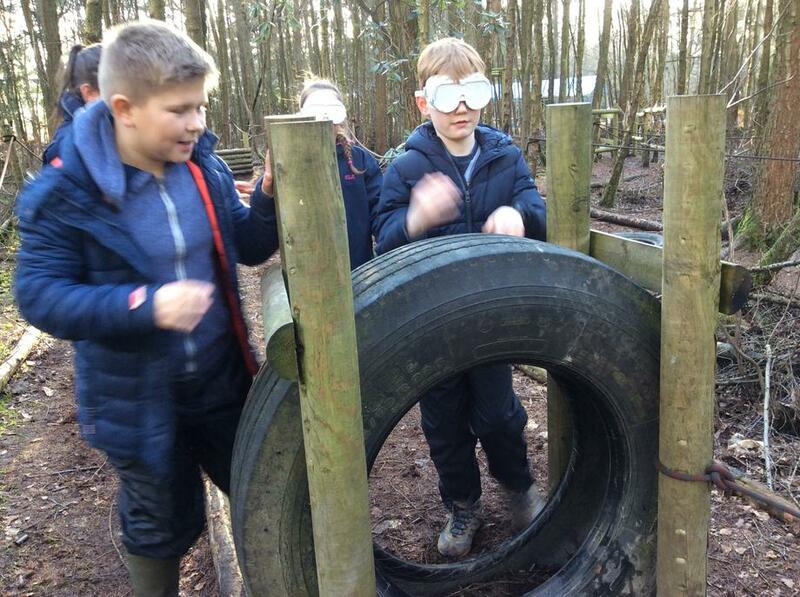 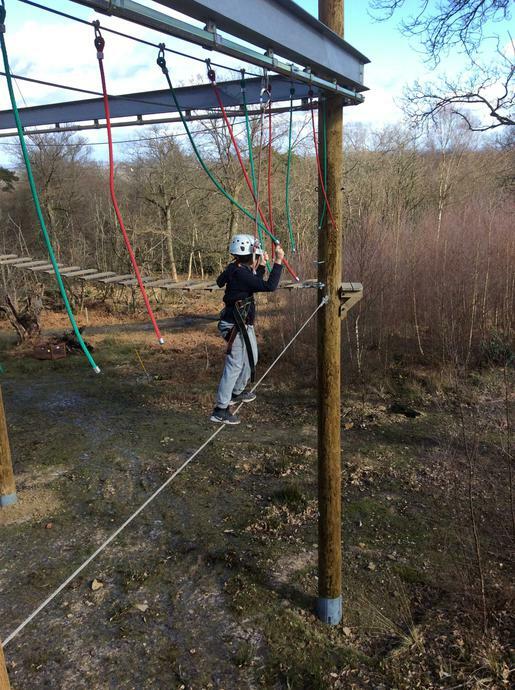 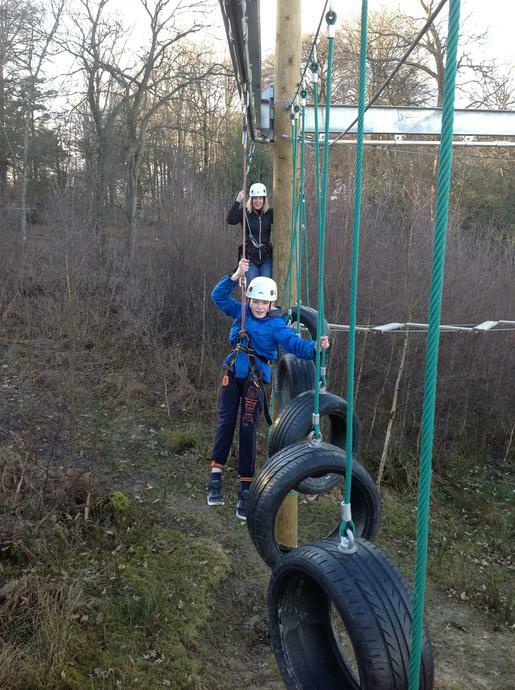 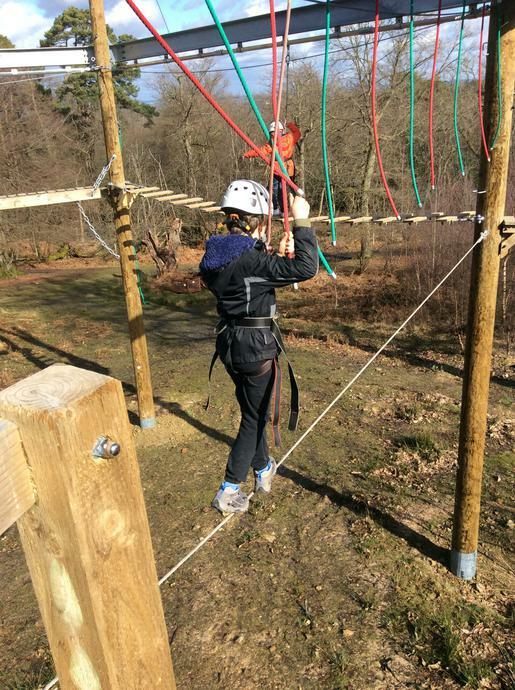 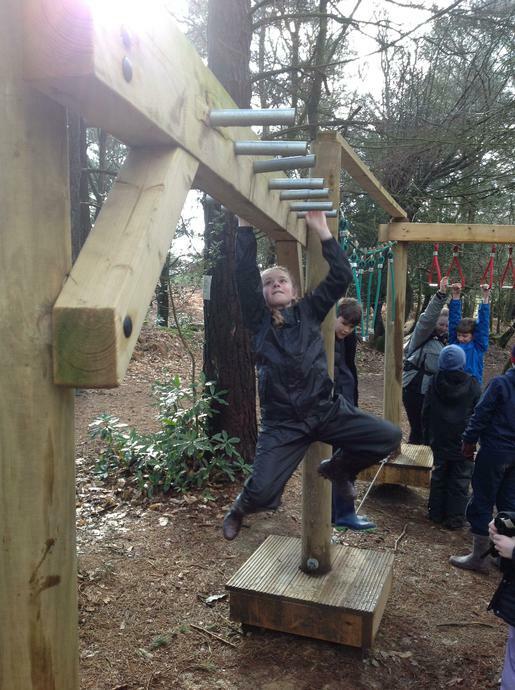 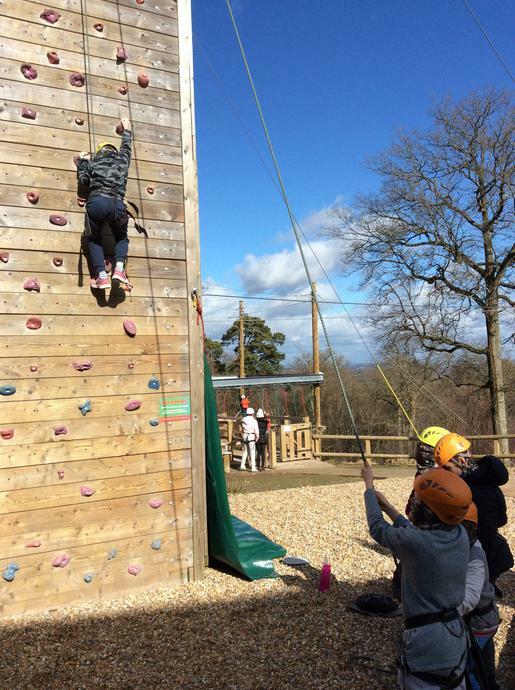 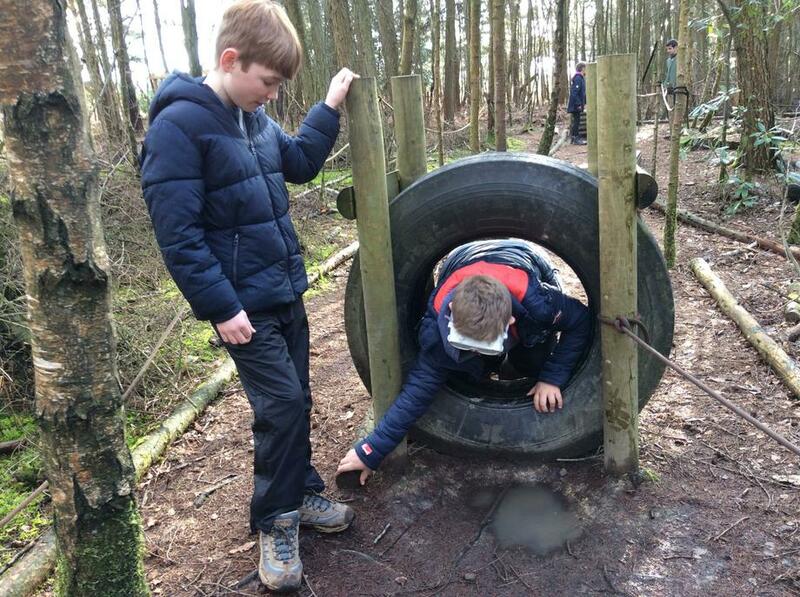 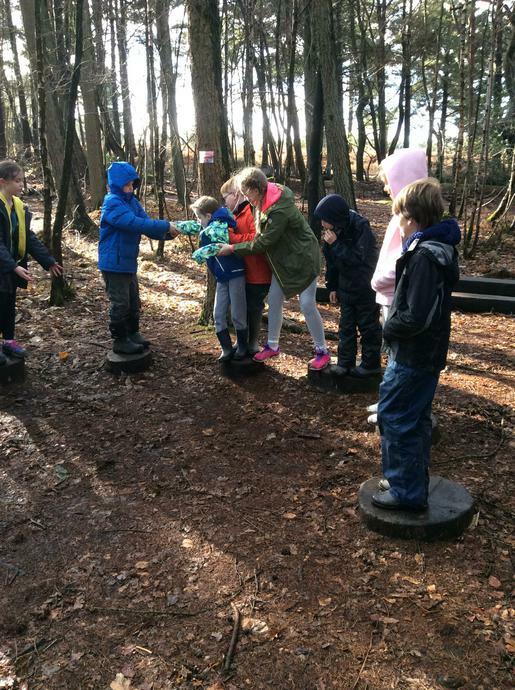 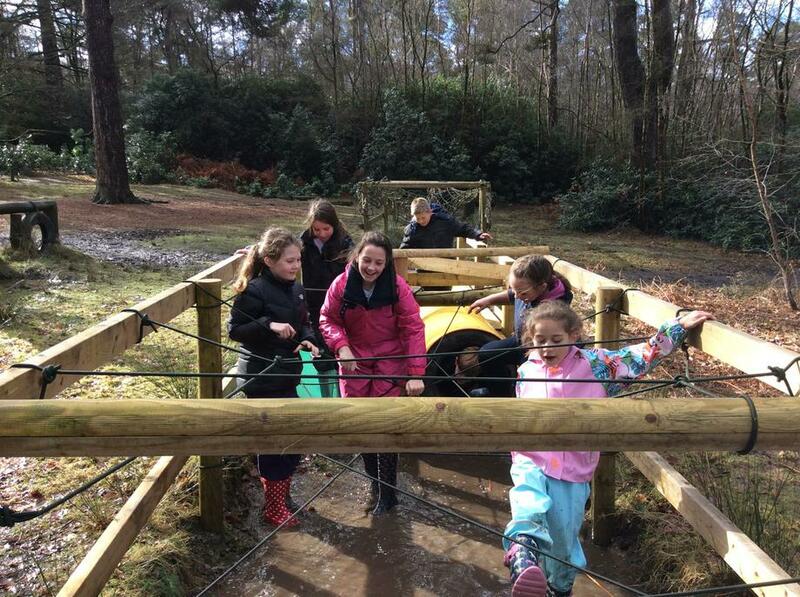 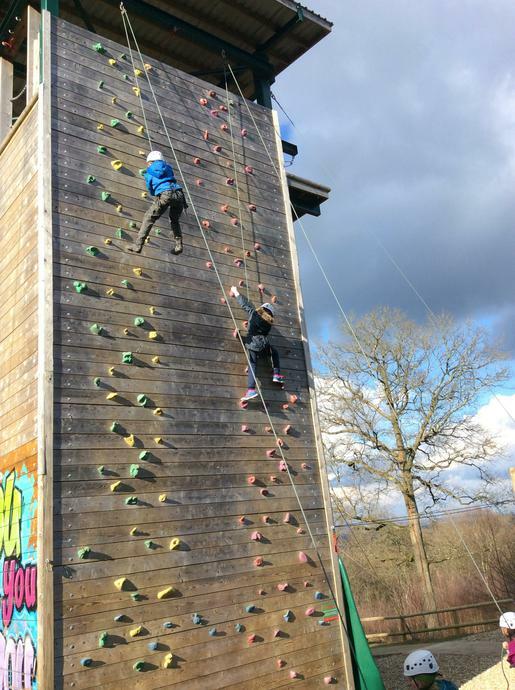 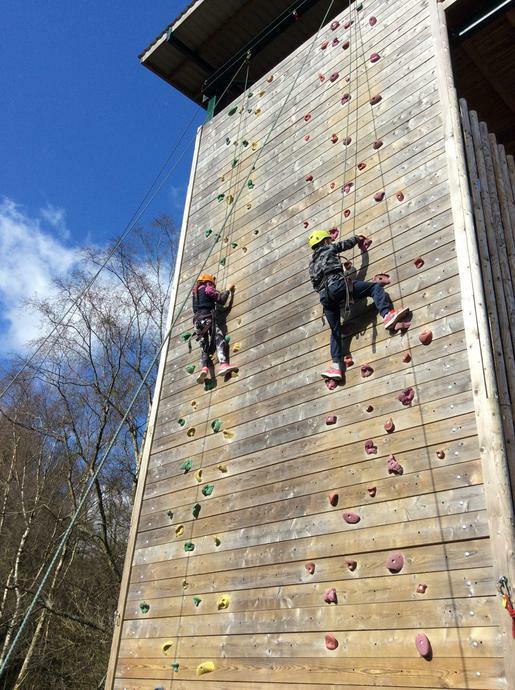 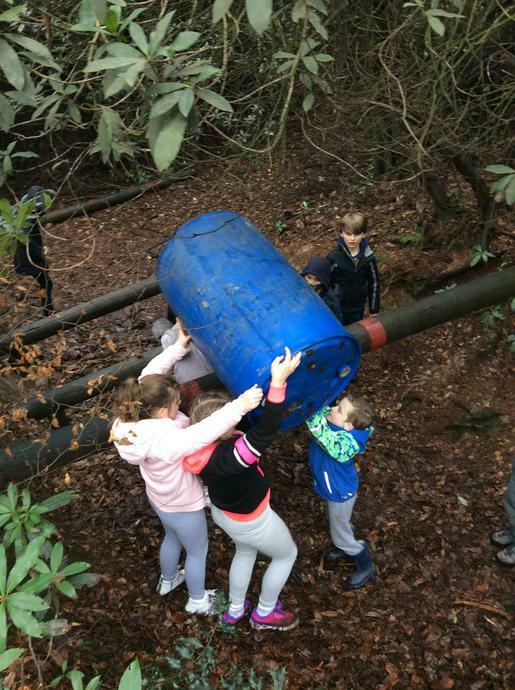 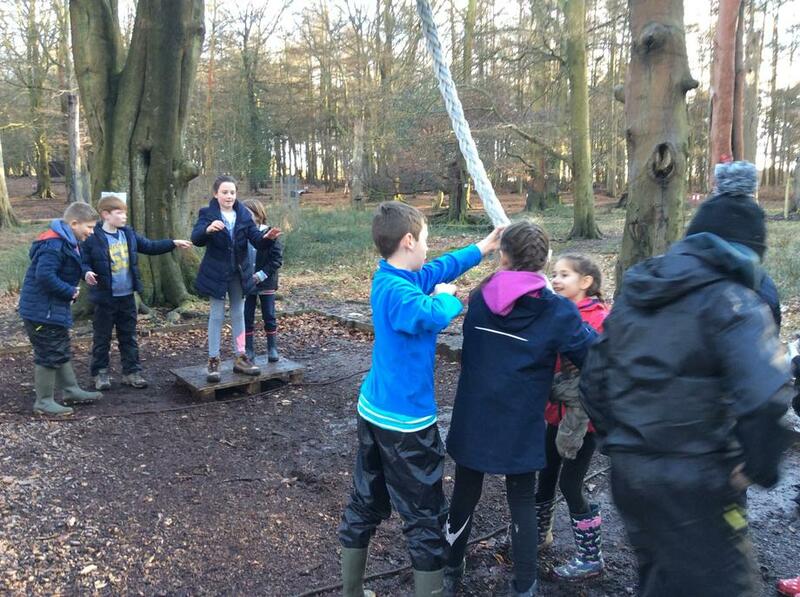 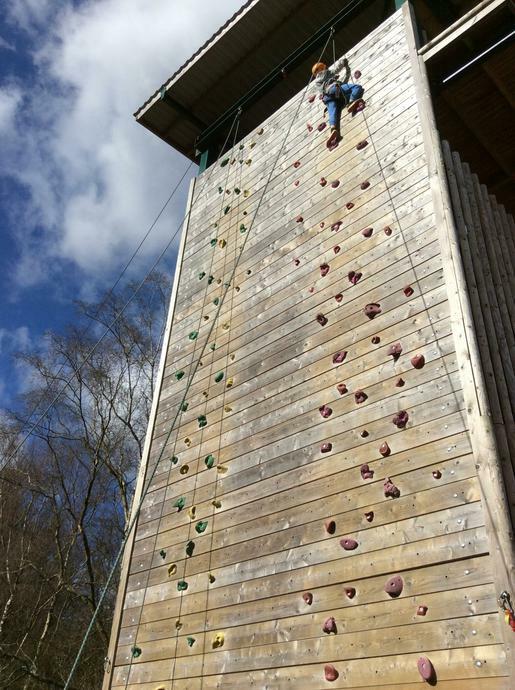 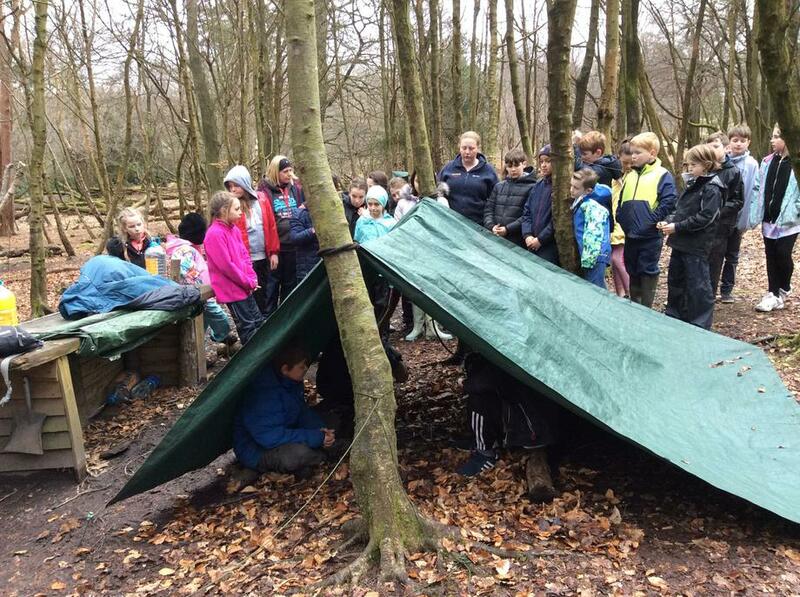 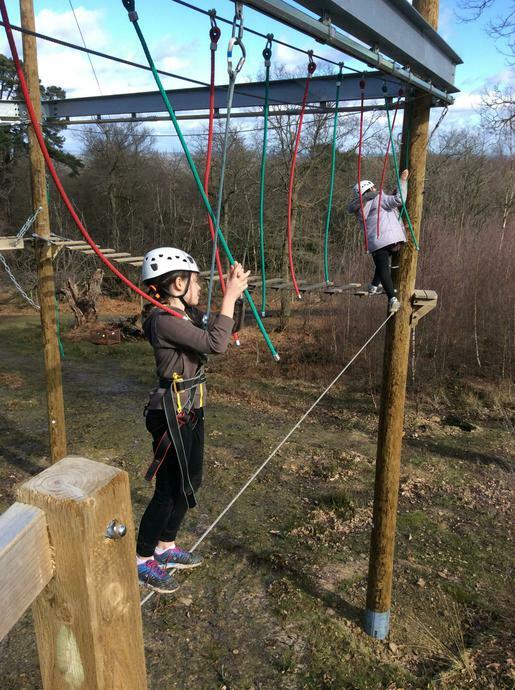 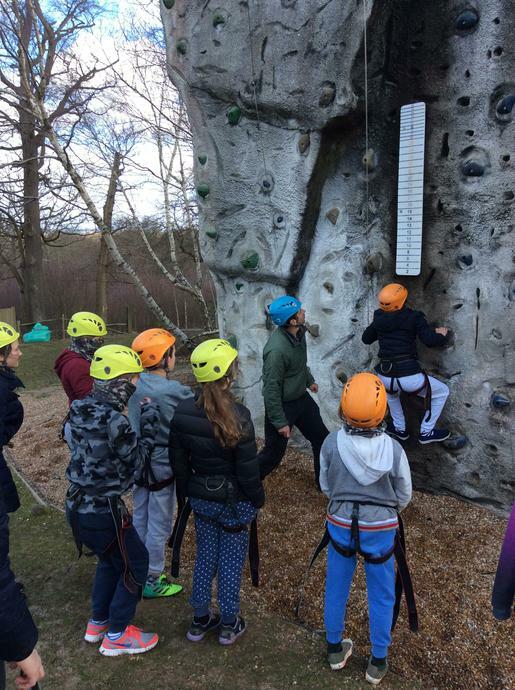 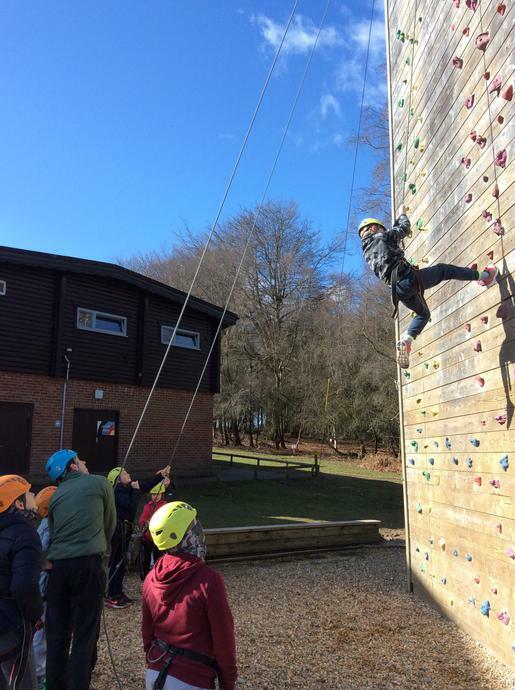 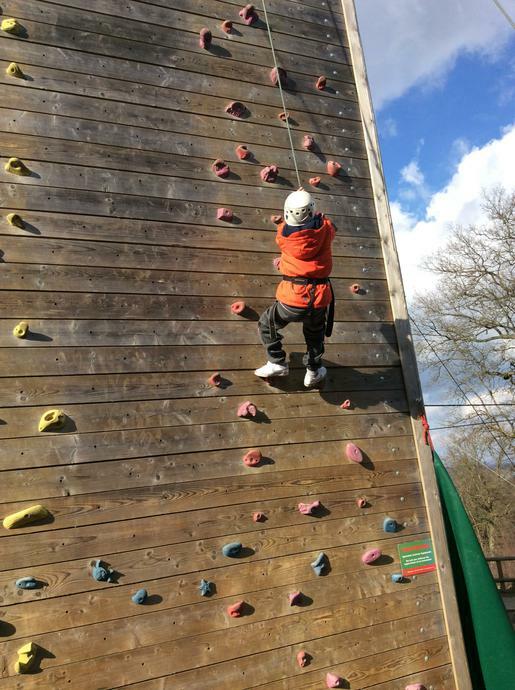 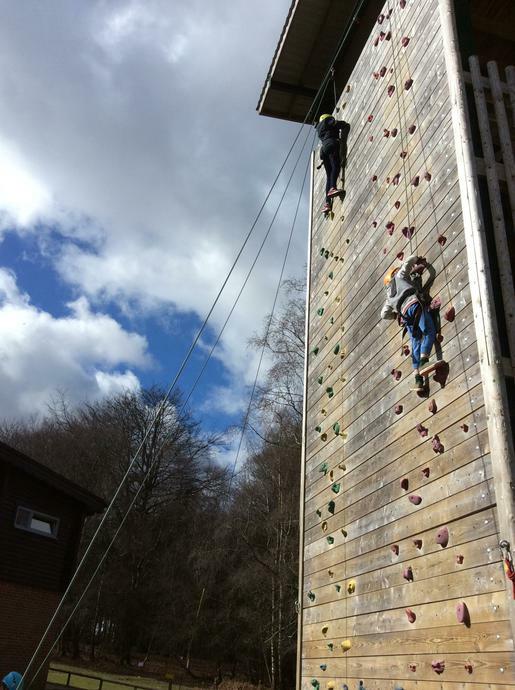 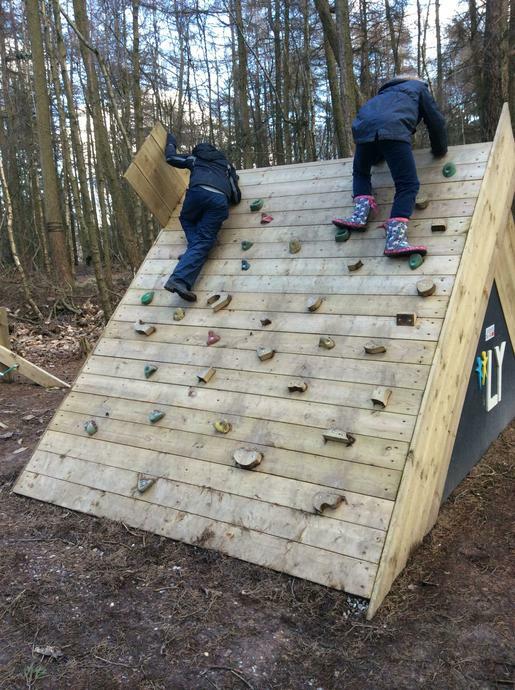 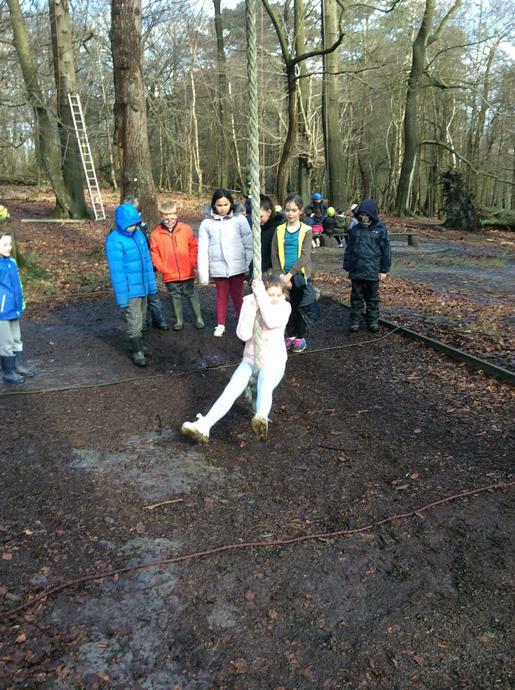 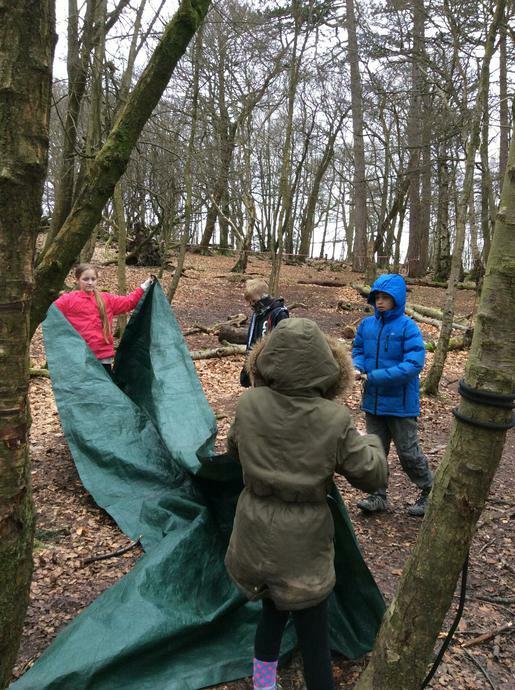 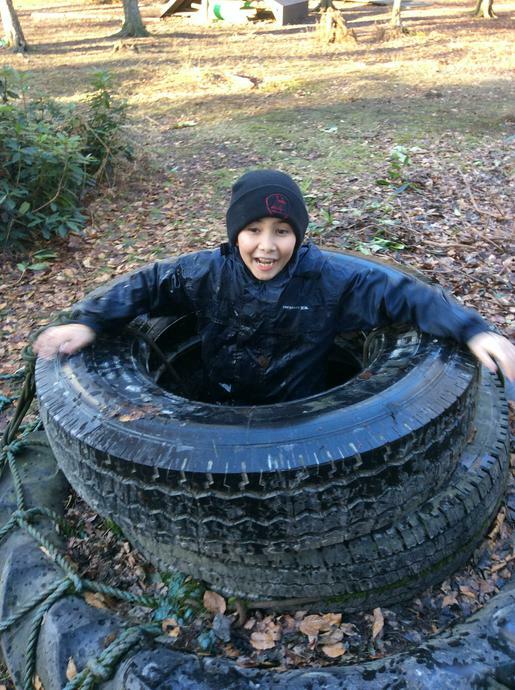 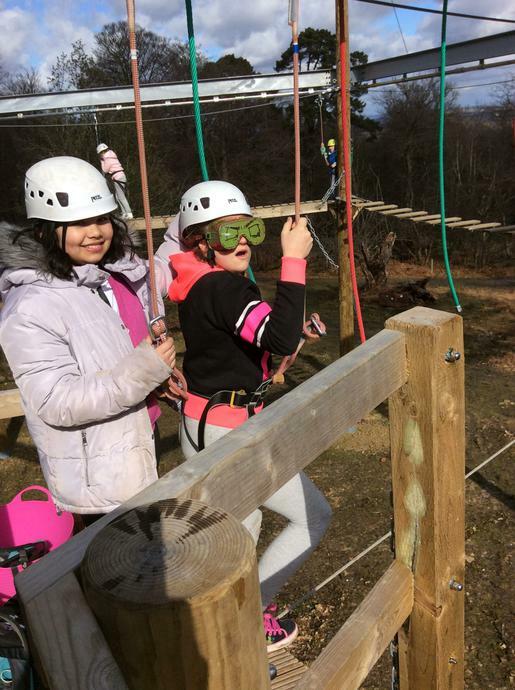 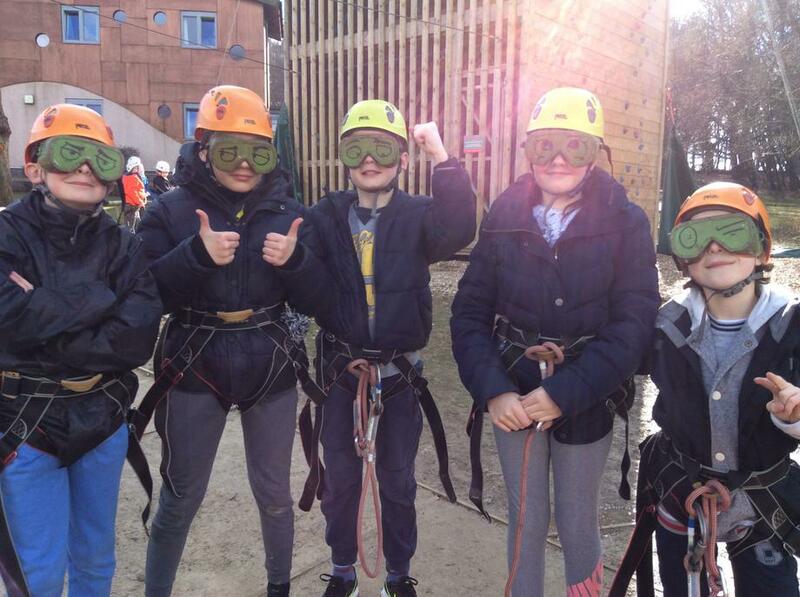 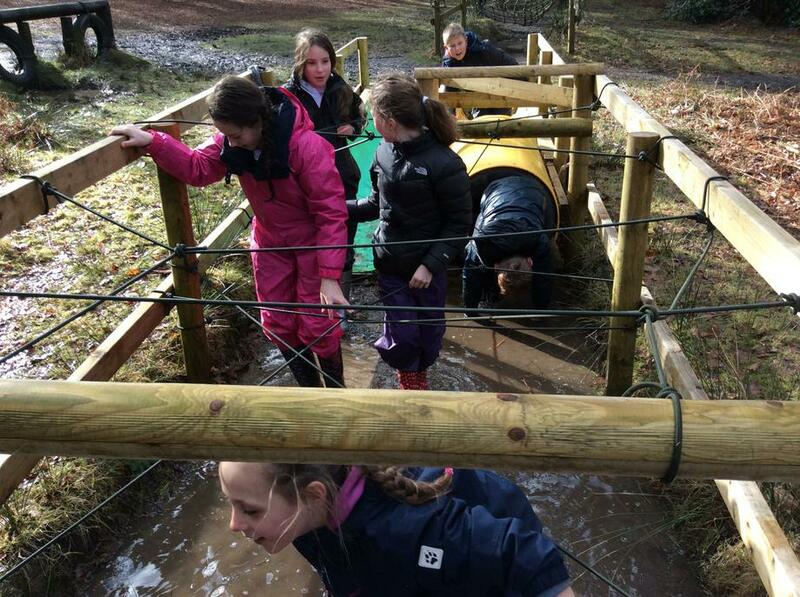 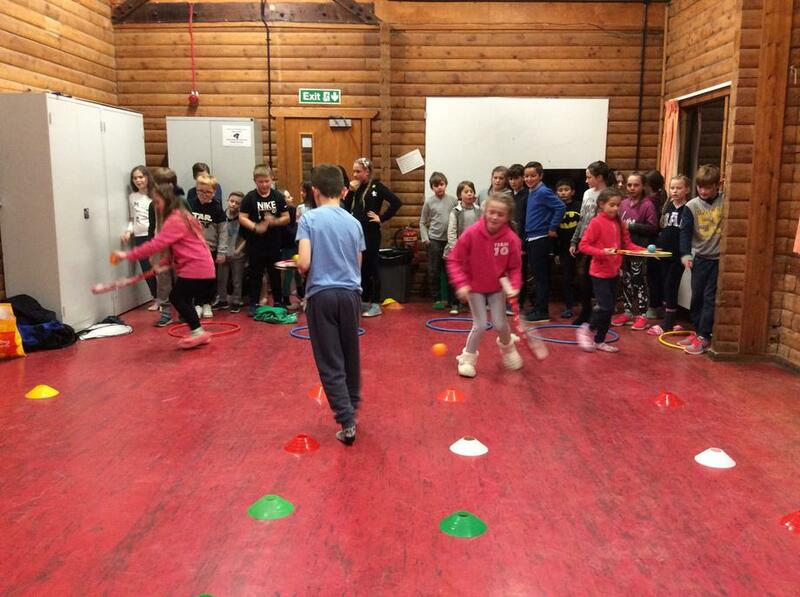 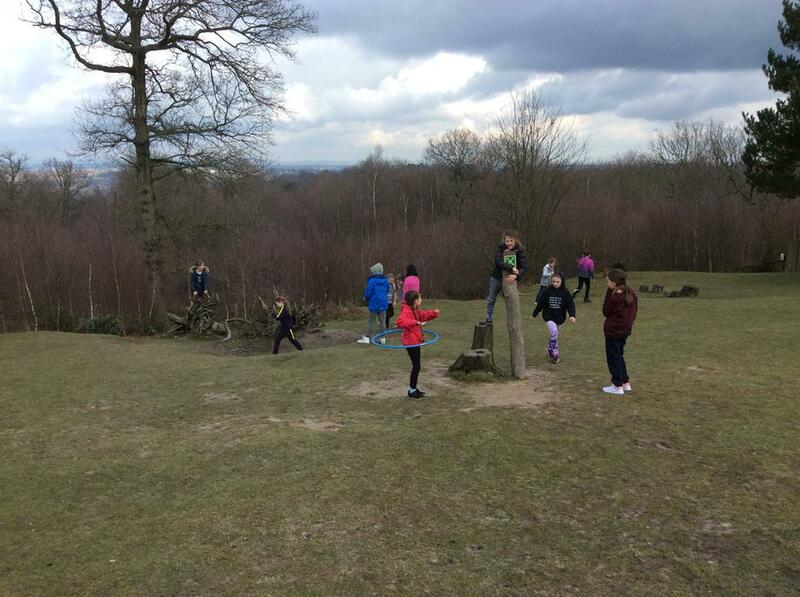 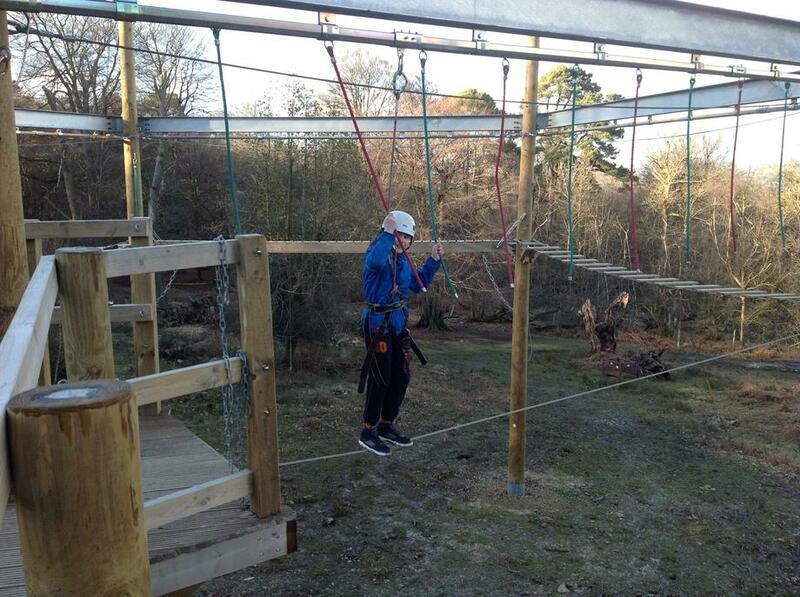 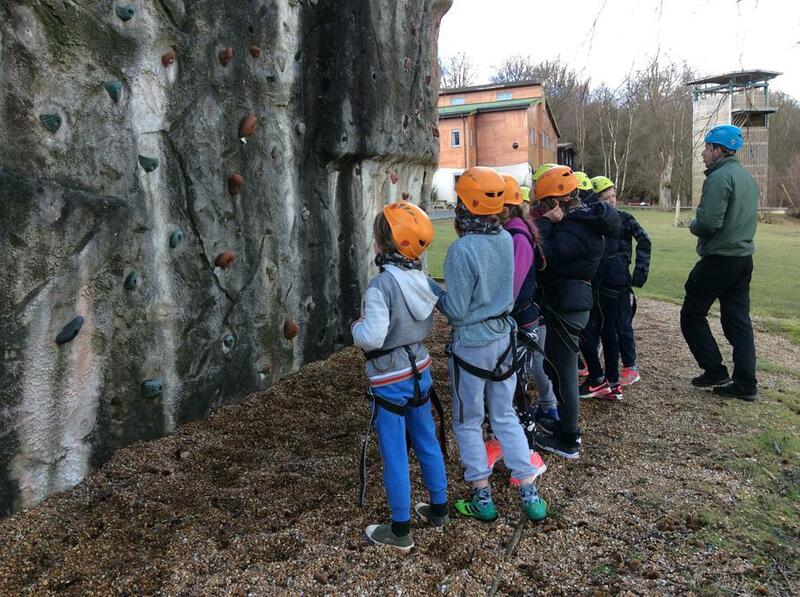 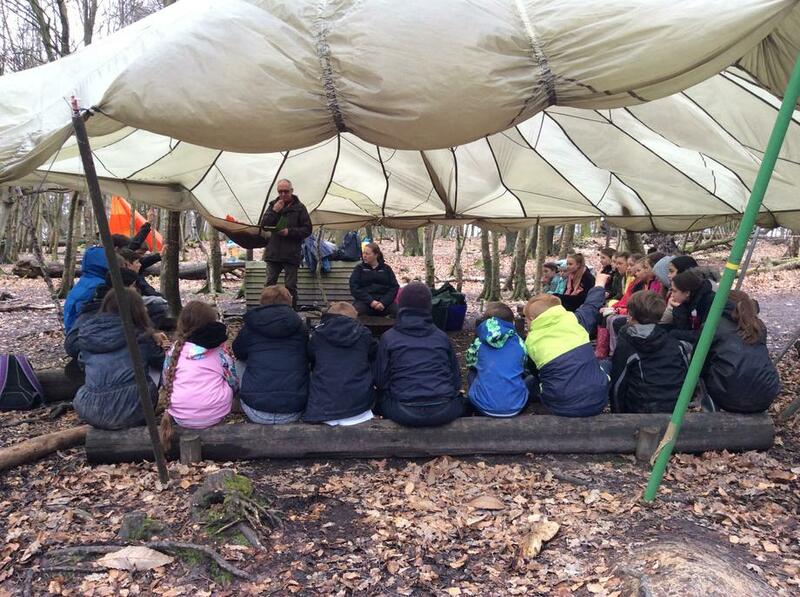 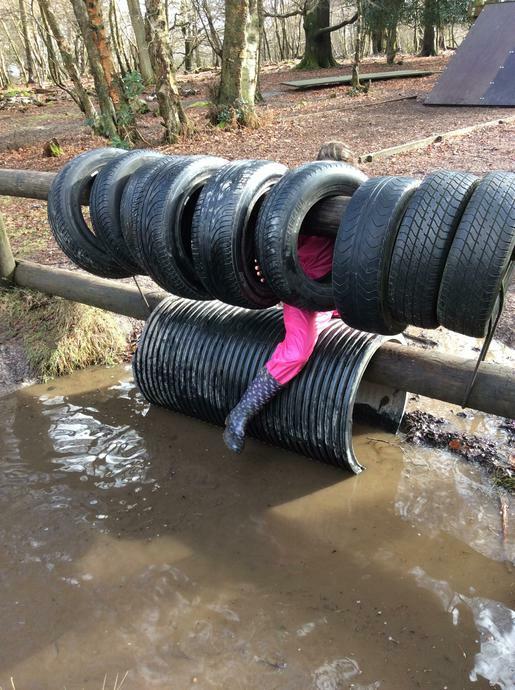 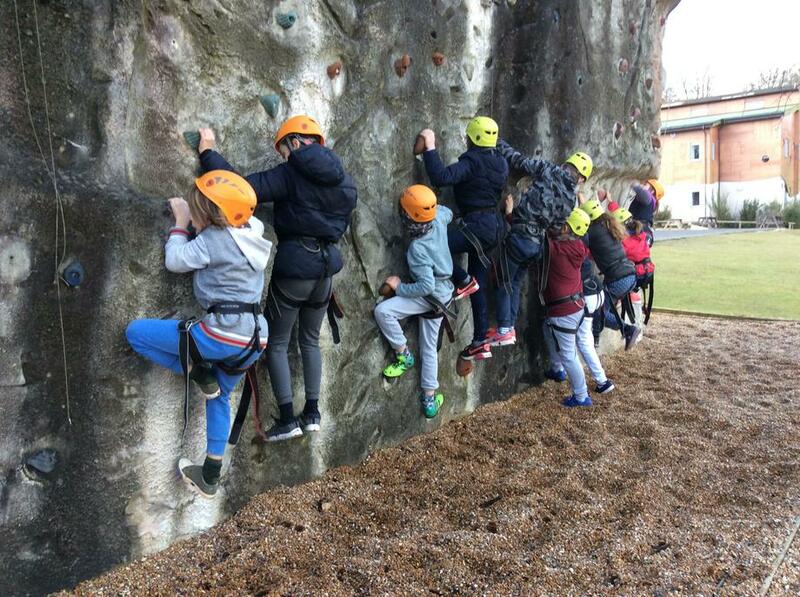 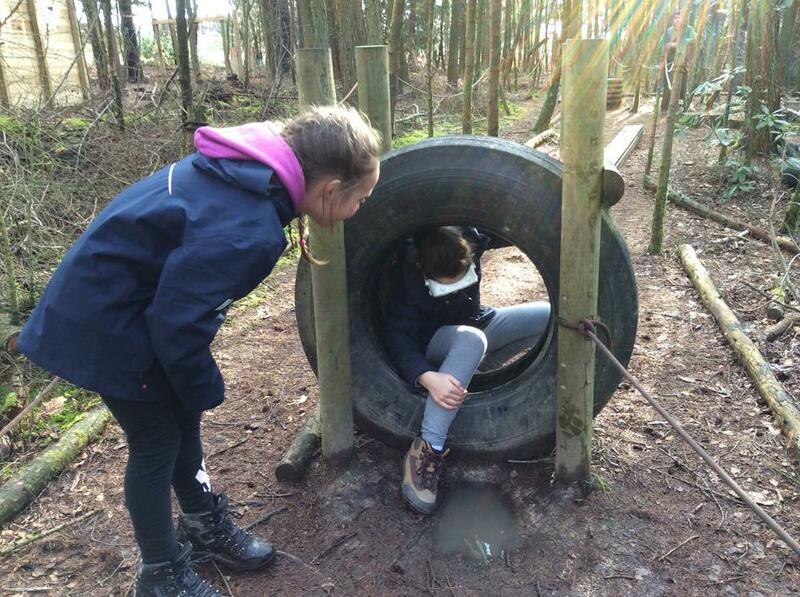 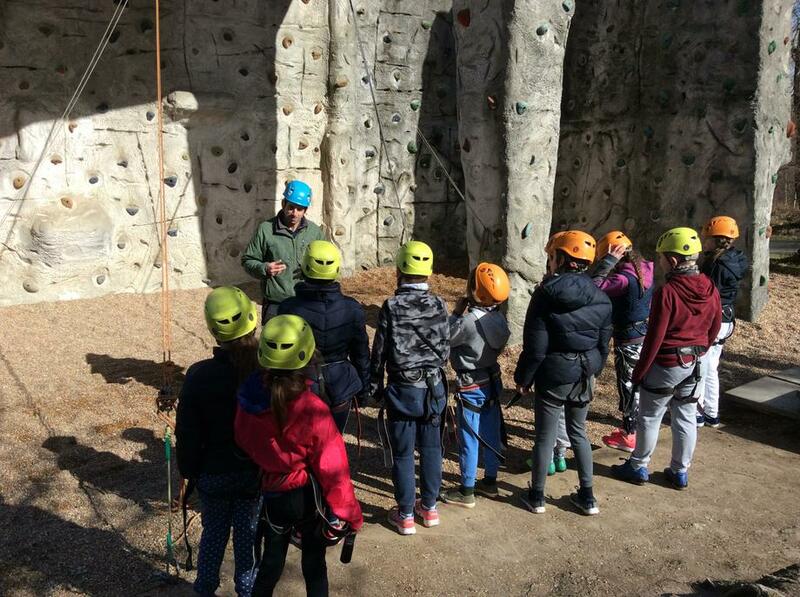 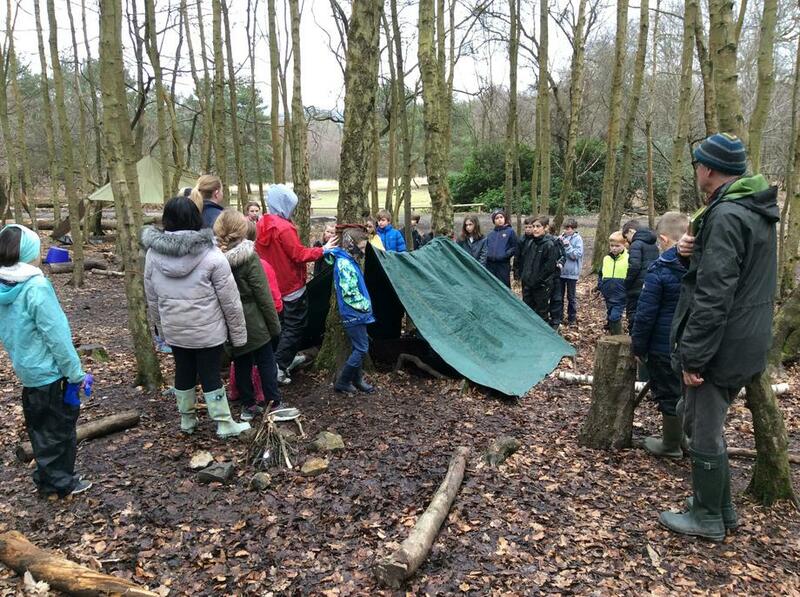 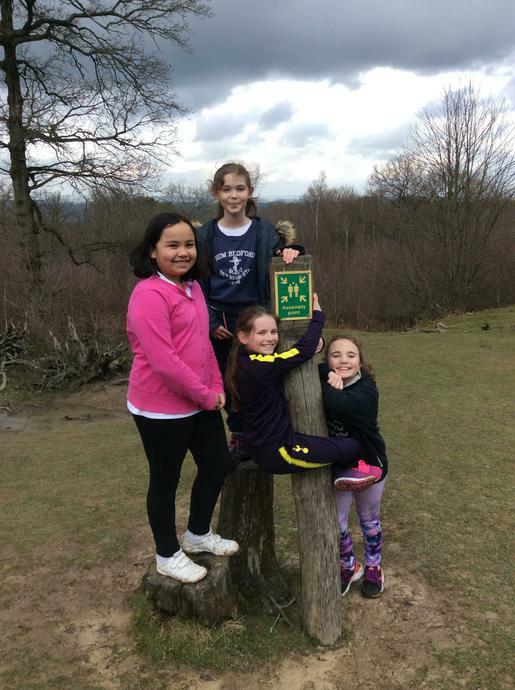 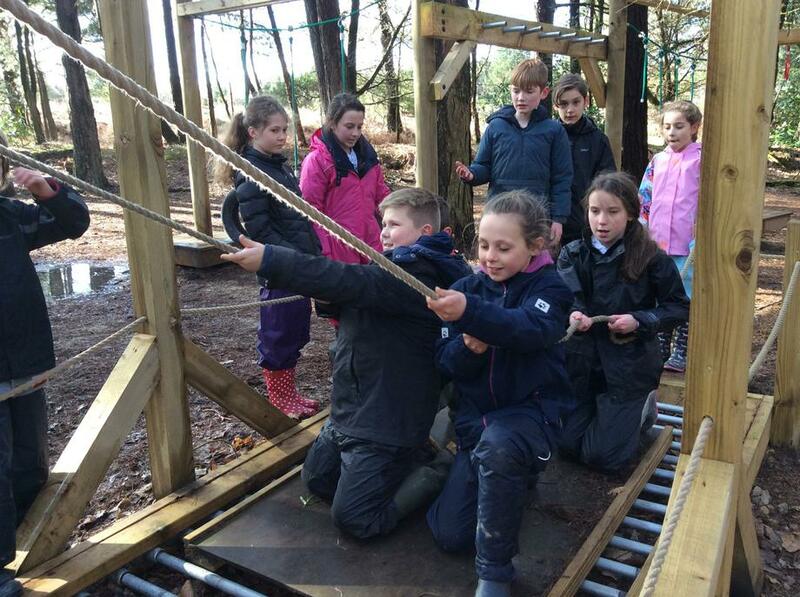 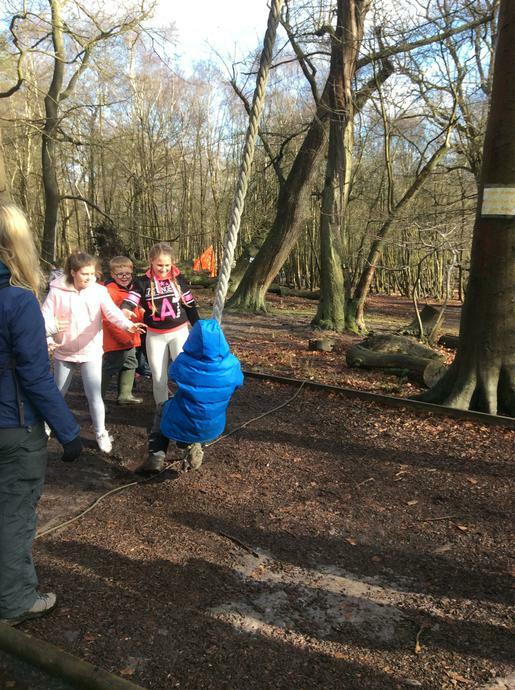 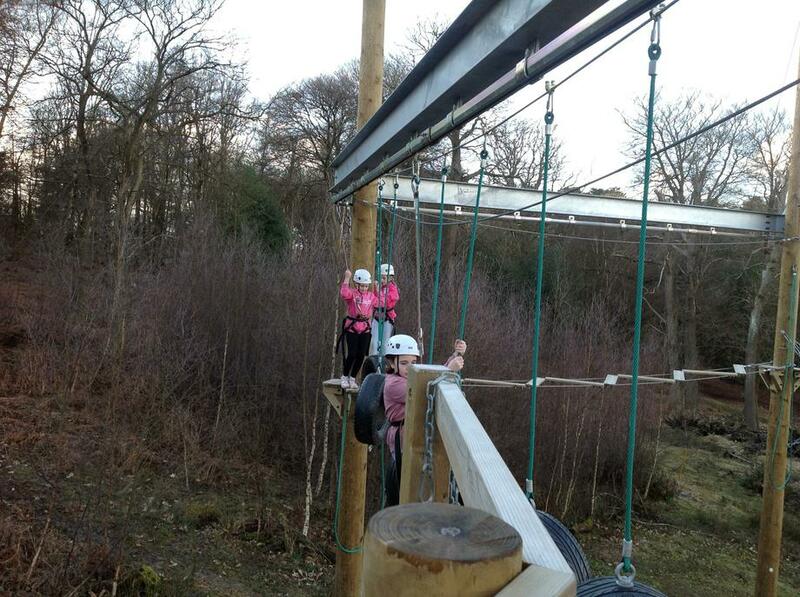 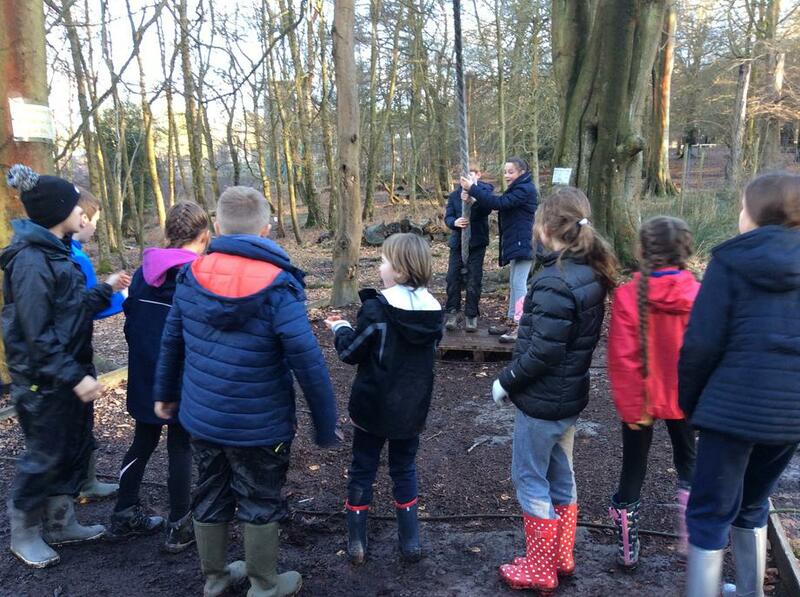 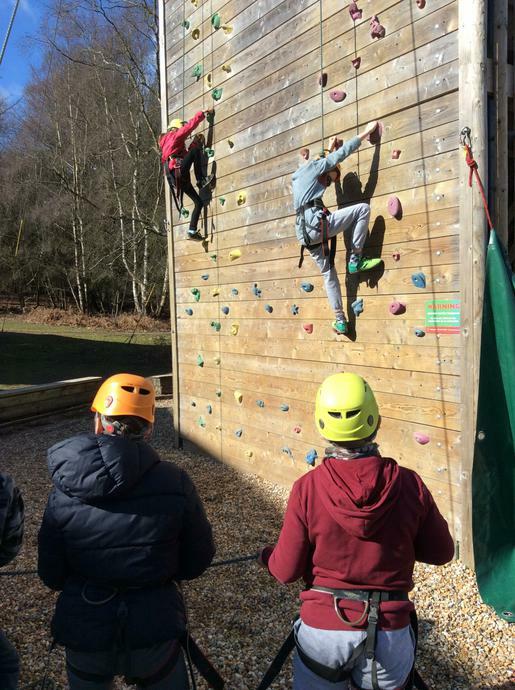 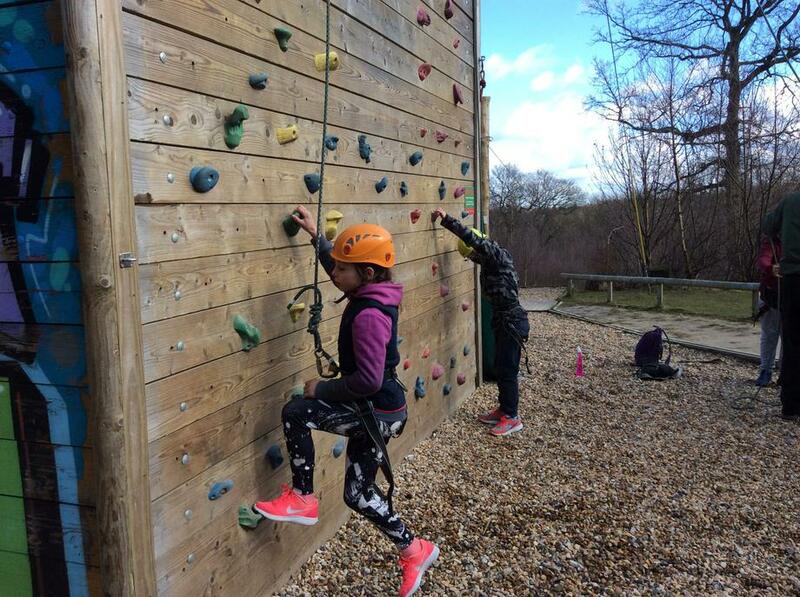 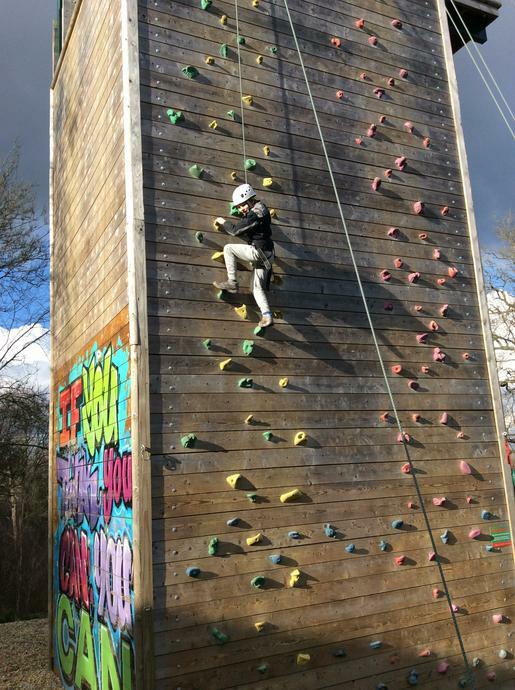 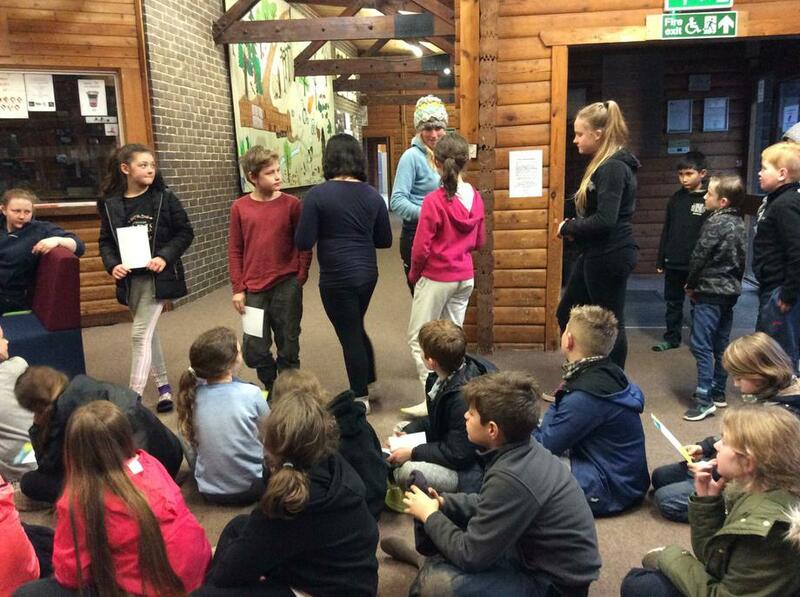 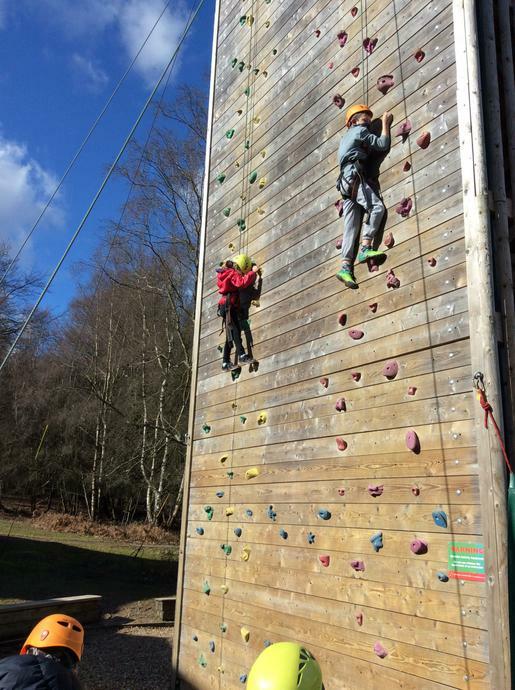 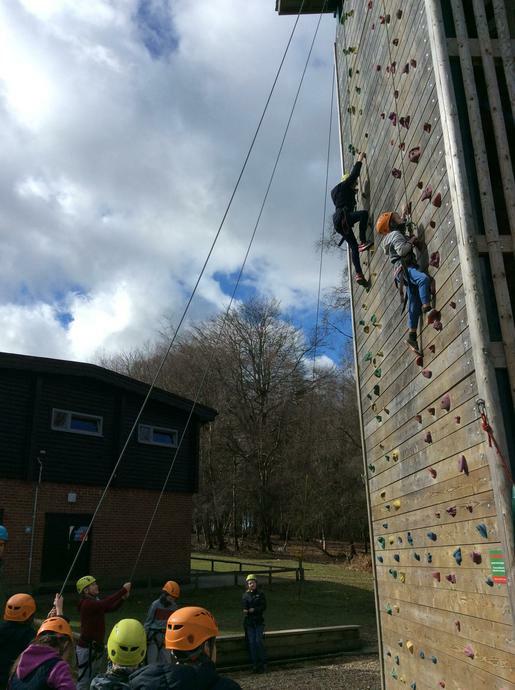 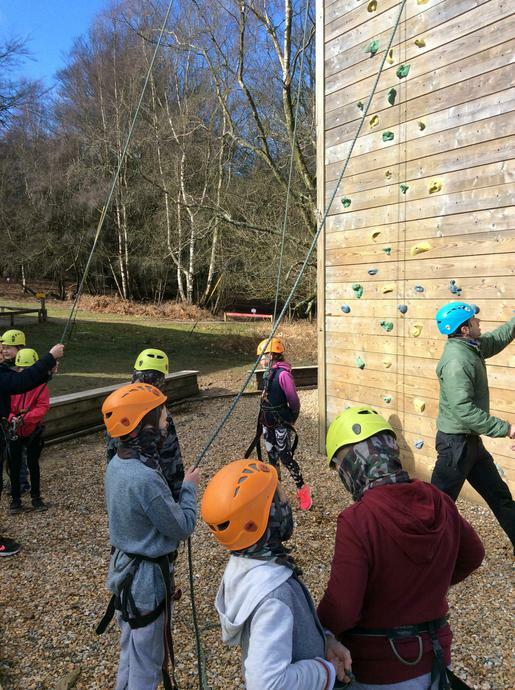 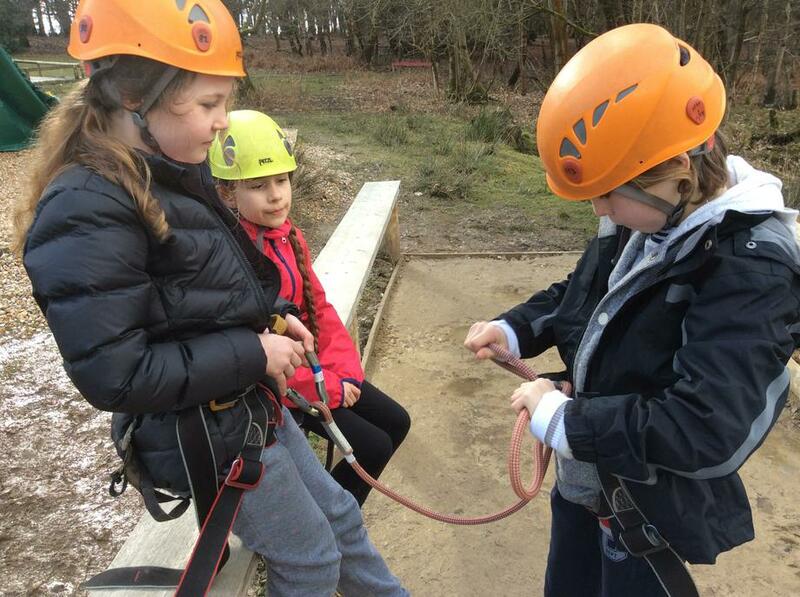 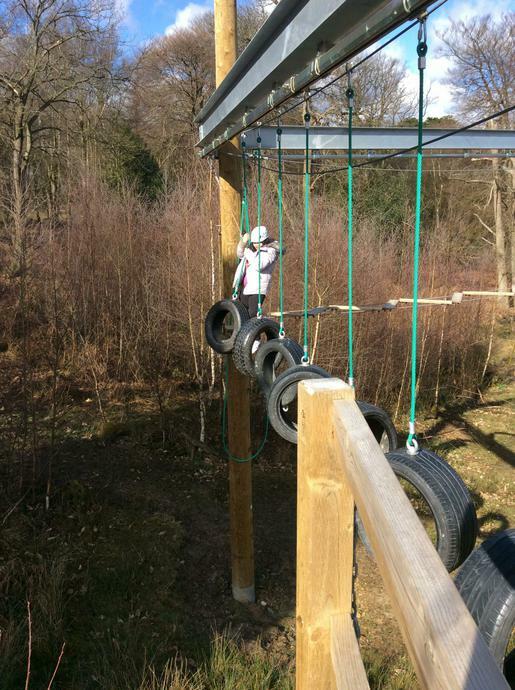 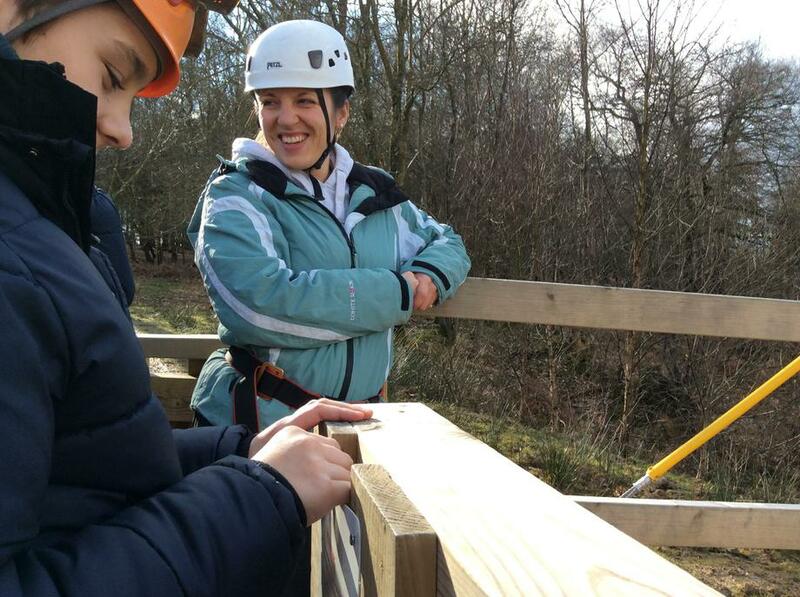 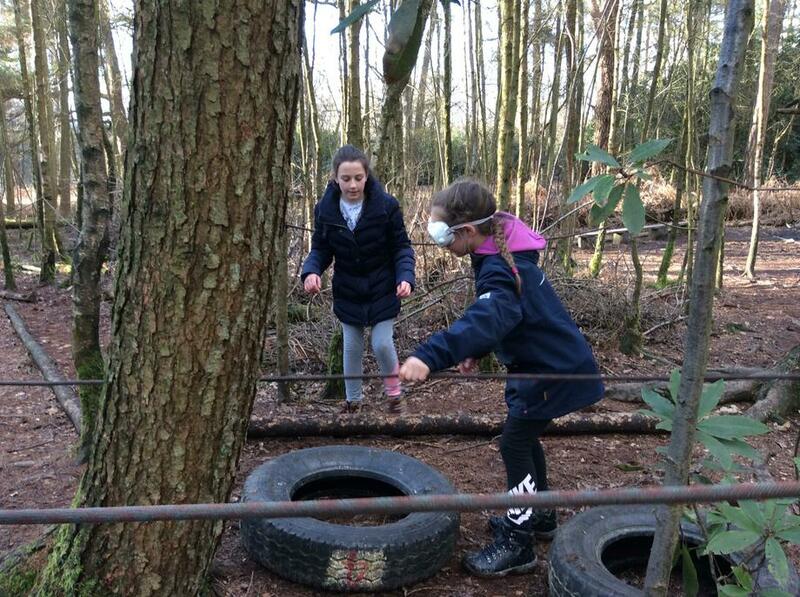 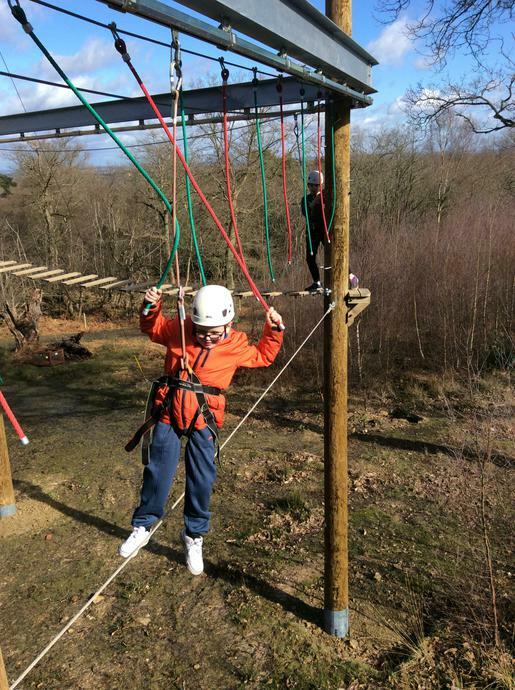 We split into our three groups and took part in various different activities such as high adventure, team building, climbing and the obstacle course. 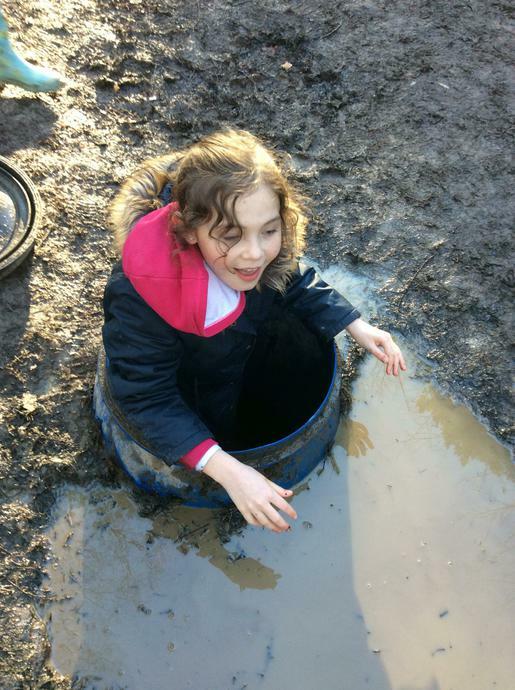 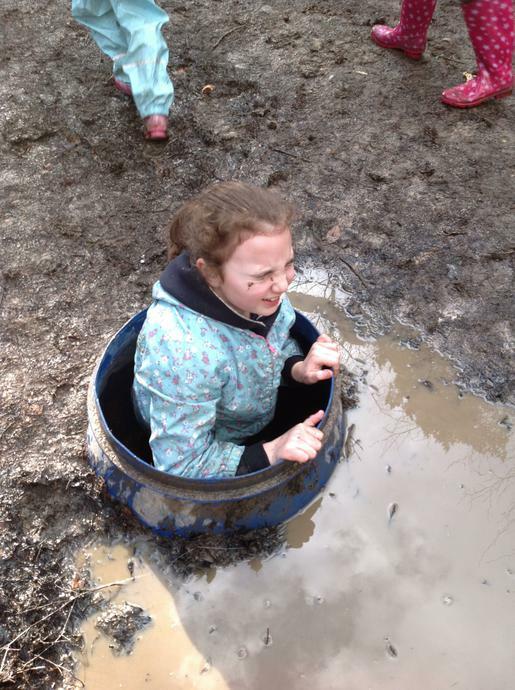 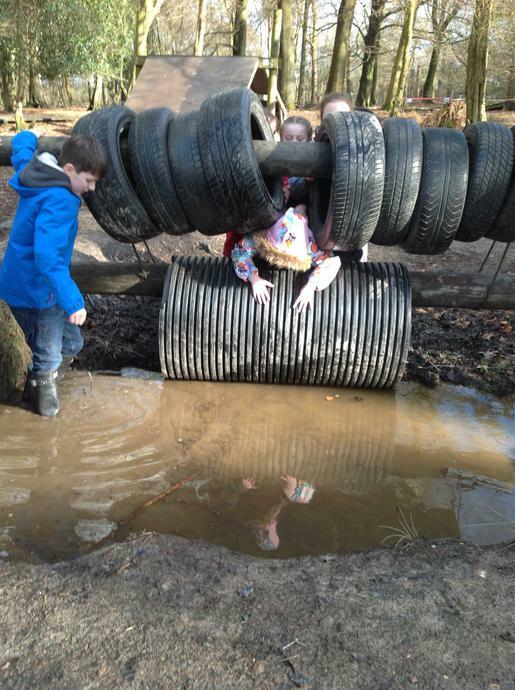 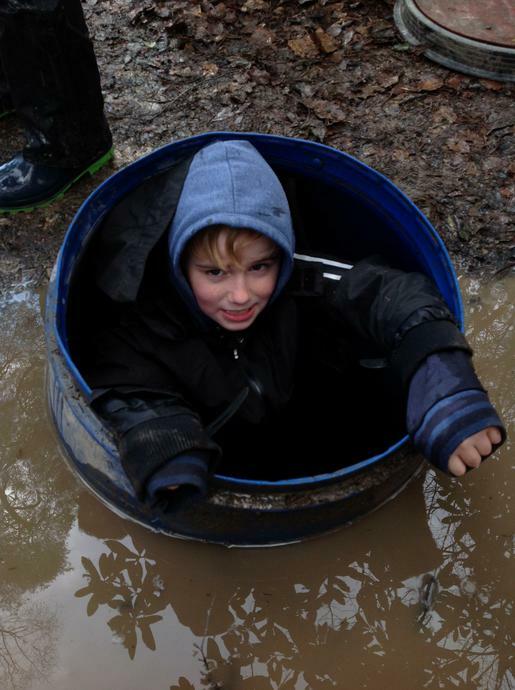 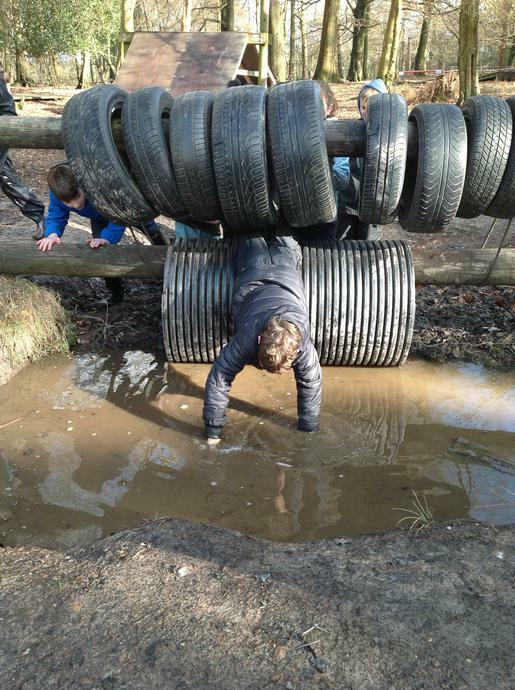 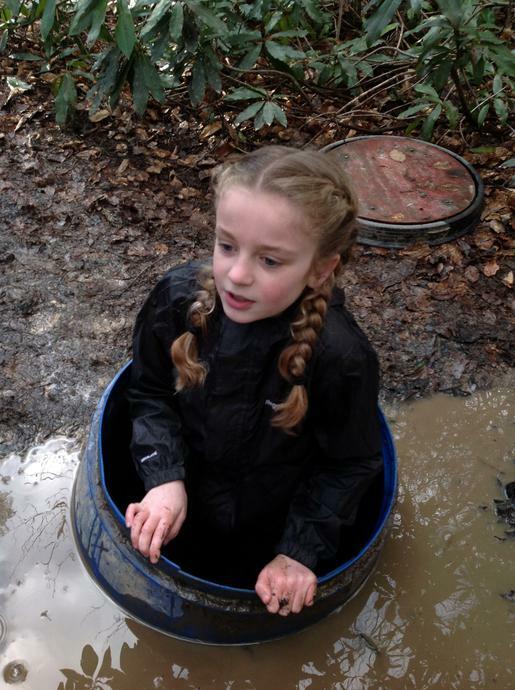 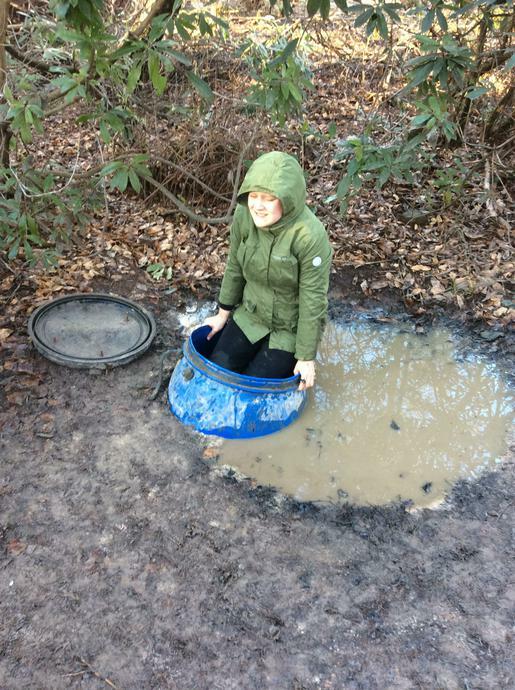 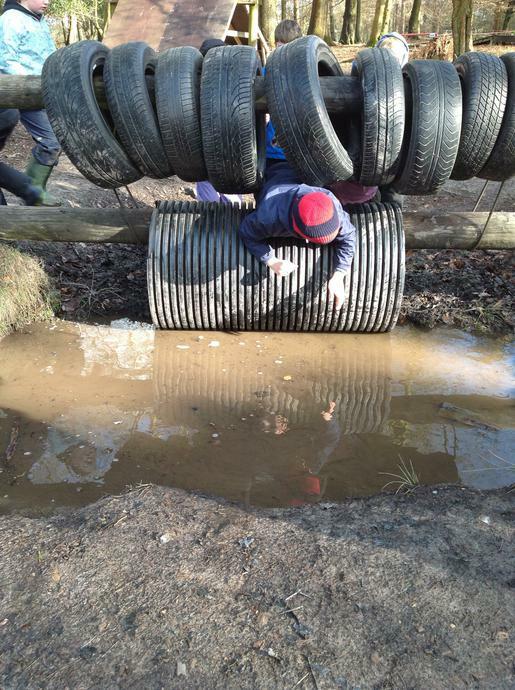 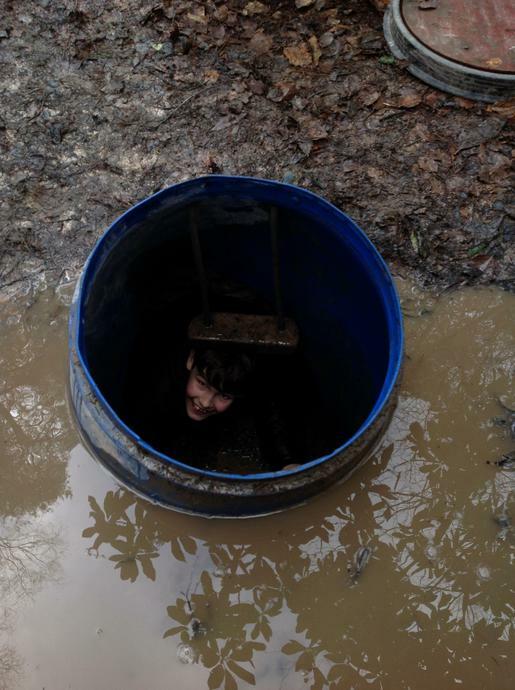 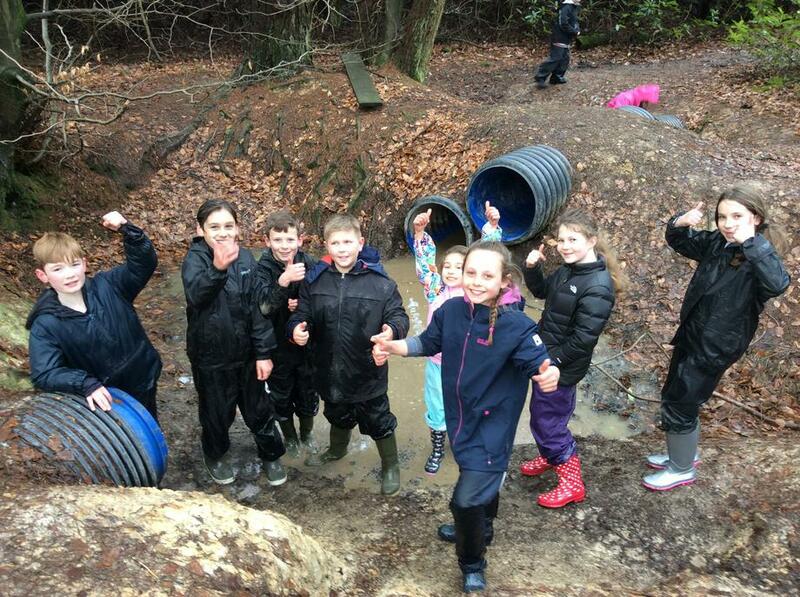 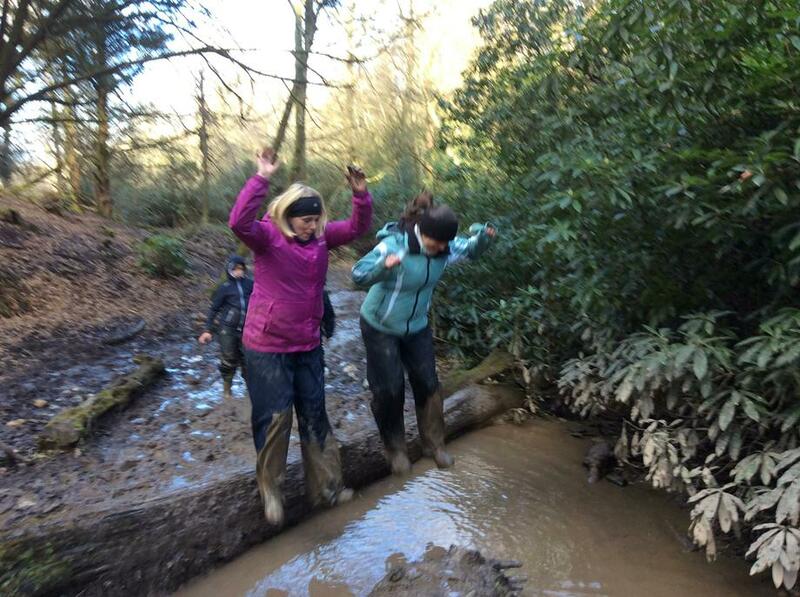 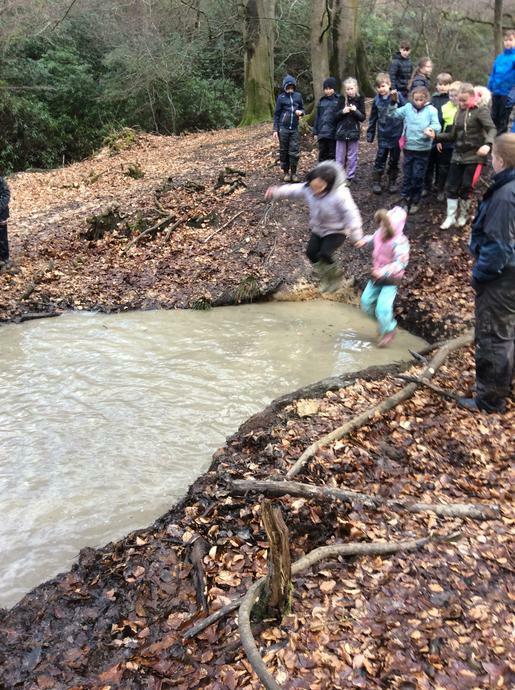 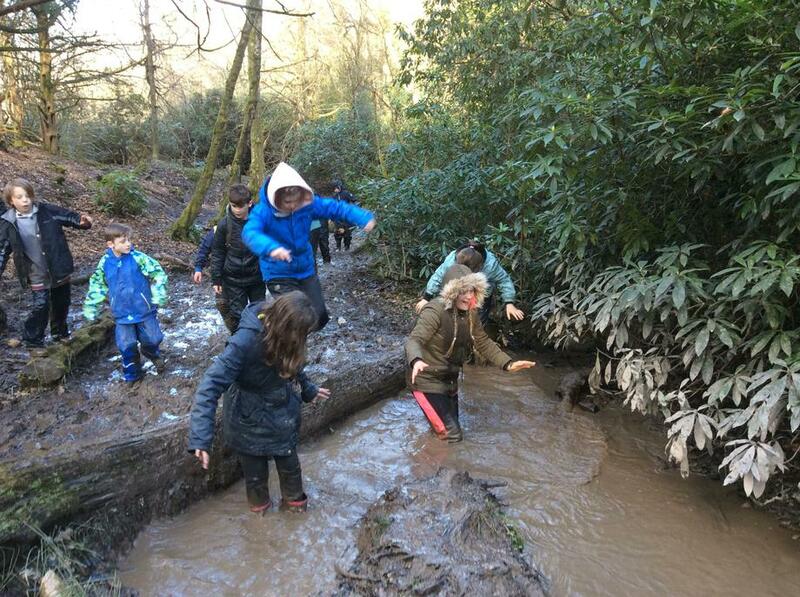 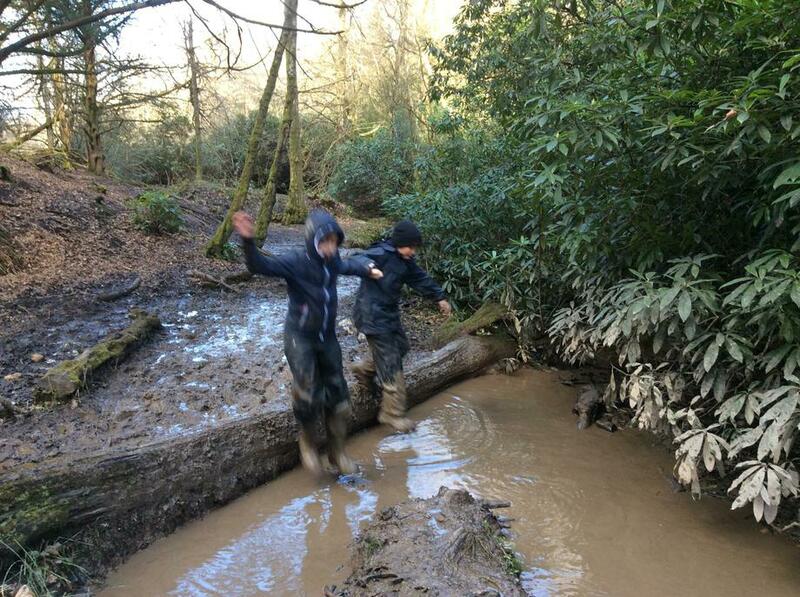 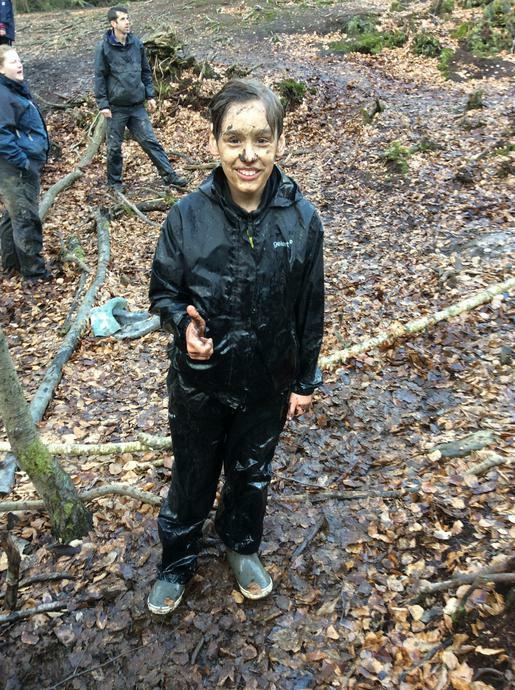 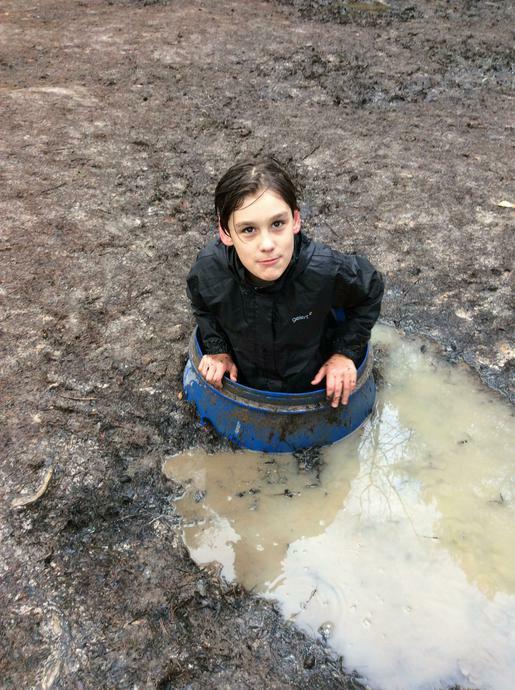 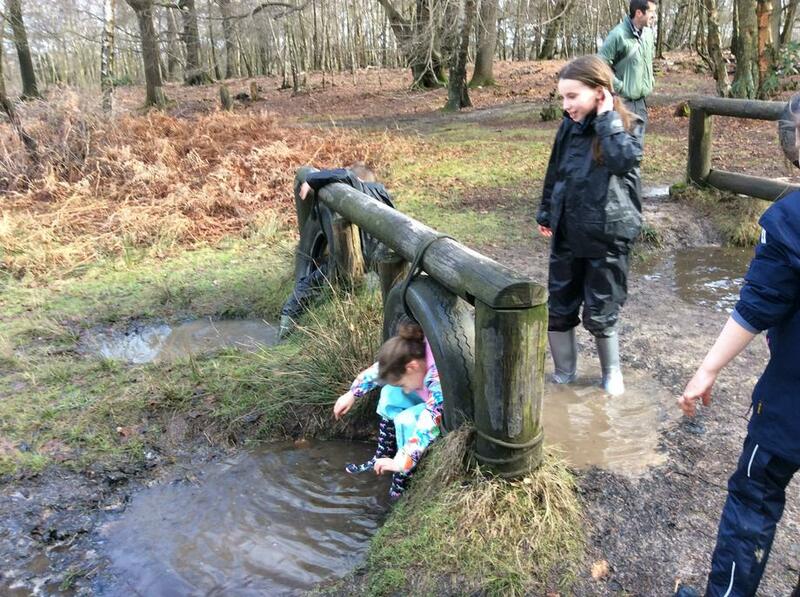 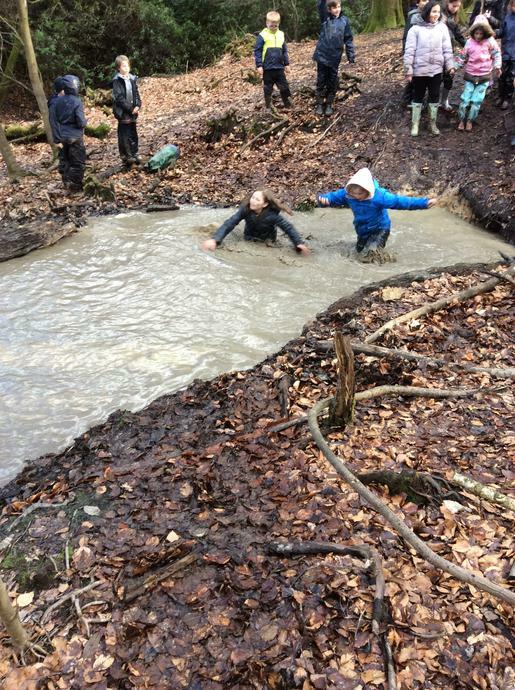 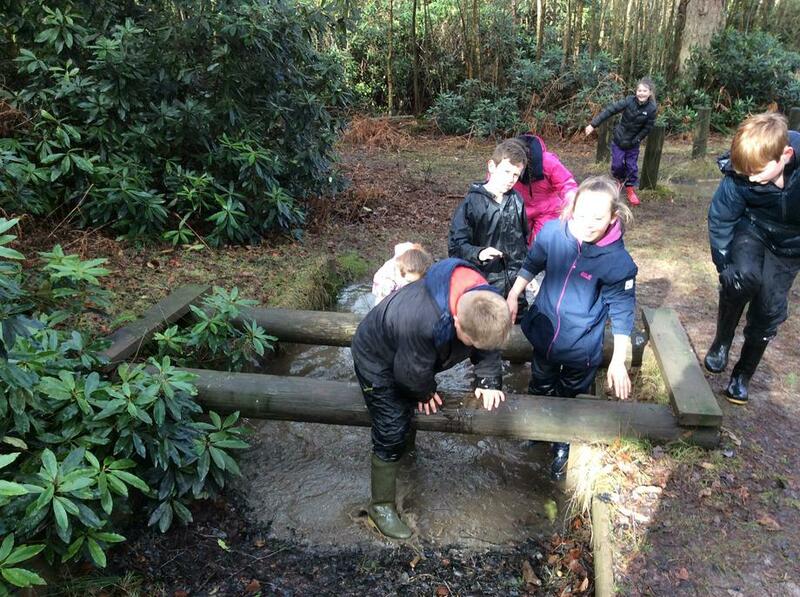 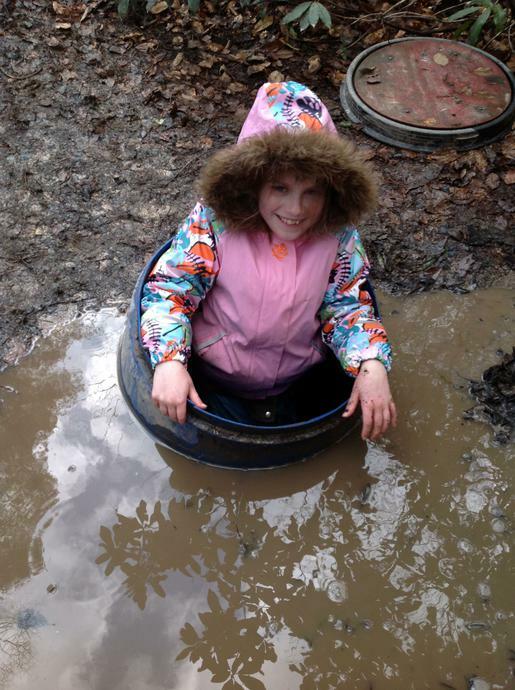 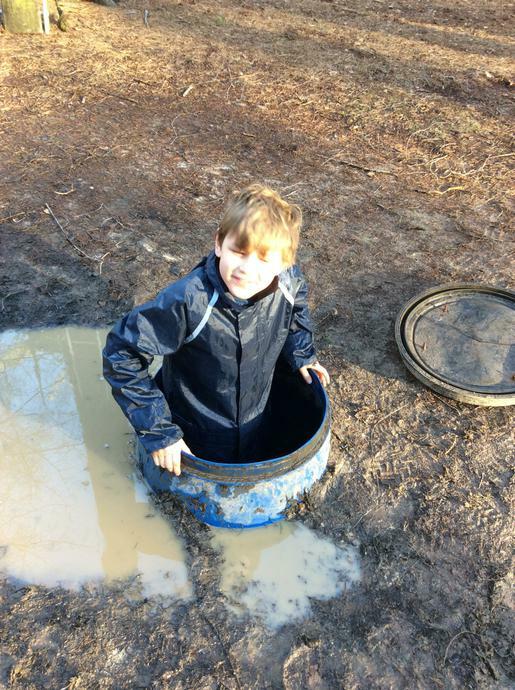 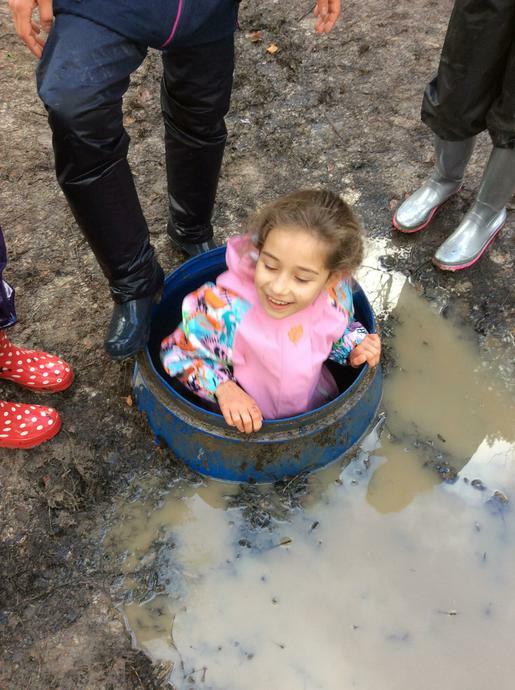 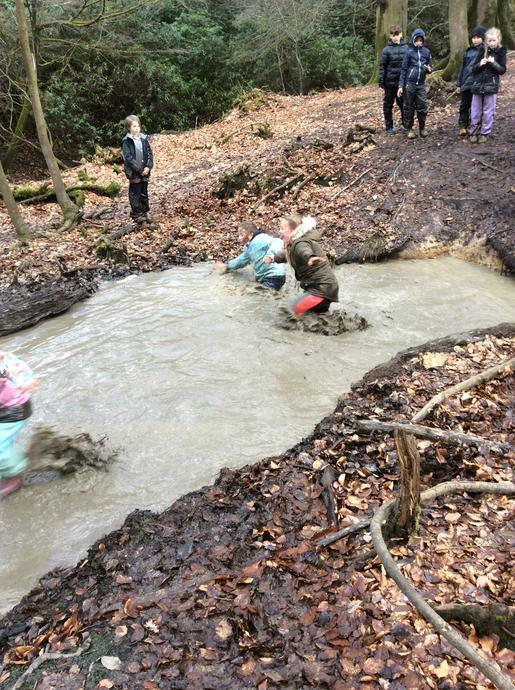 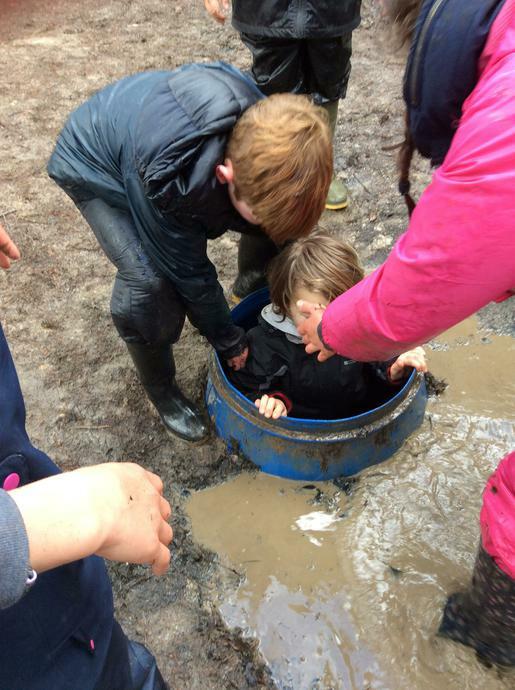 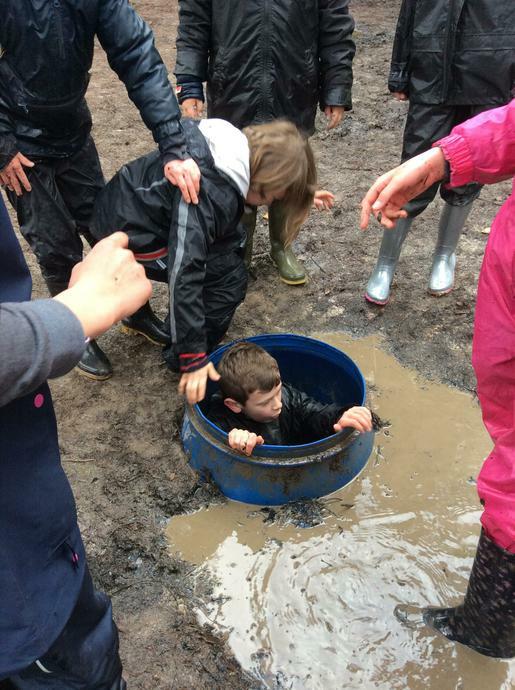 Everybody had a great time, even though some of us got extremely muddy! 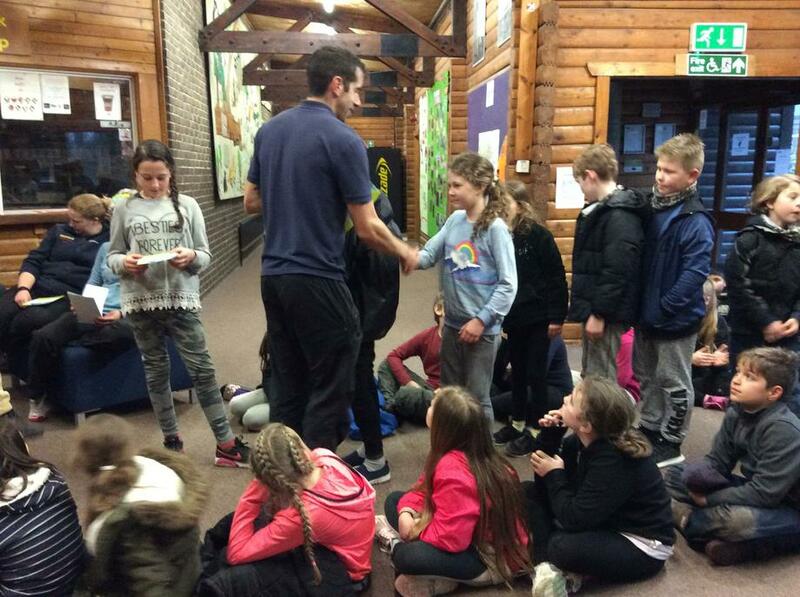 Next we had time for a quick shower, before heading to dinner, followed by team games and a visit to the tuck shop. 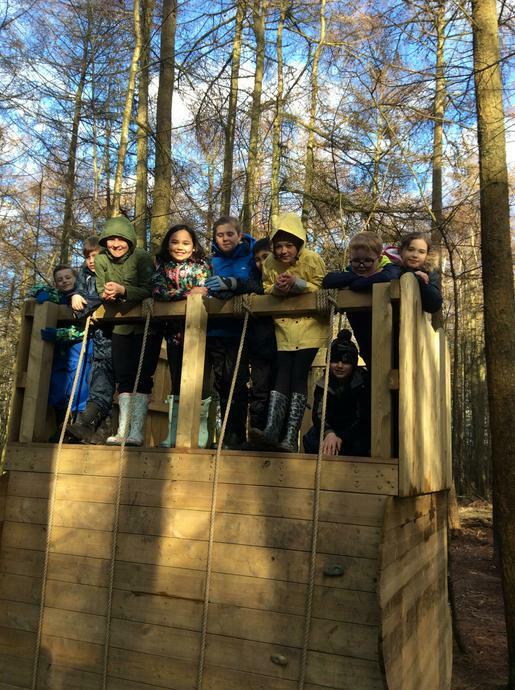 We have been really lucky with the weather, and have even had some sunshine! 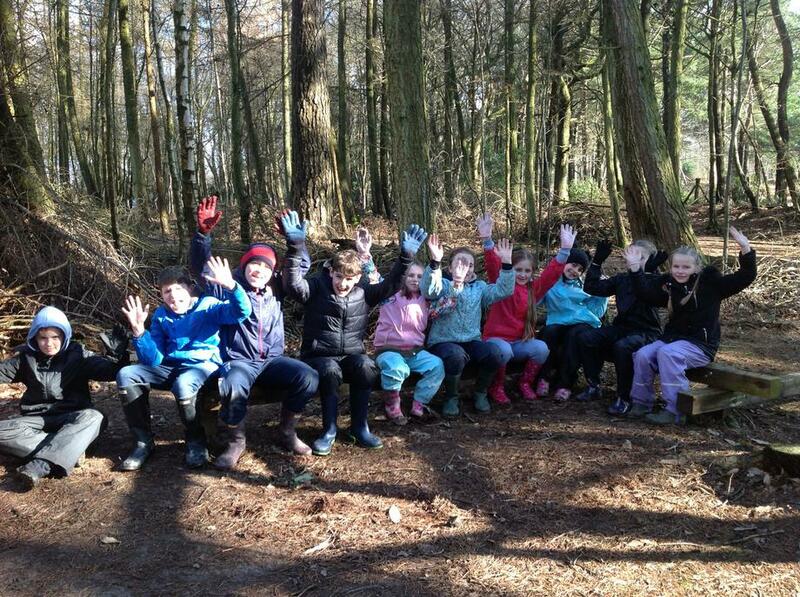 Now, we are all excited for what tomorrow will bring!